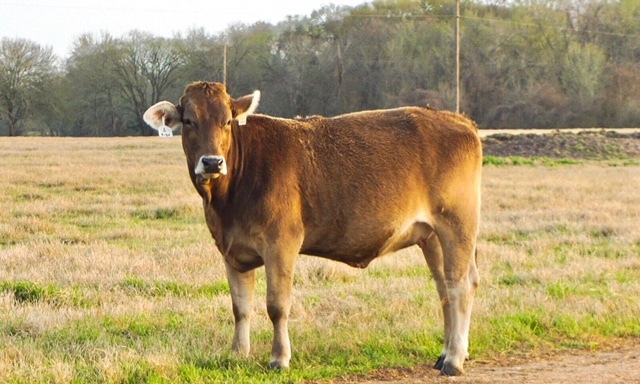 65 hd. 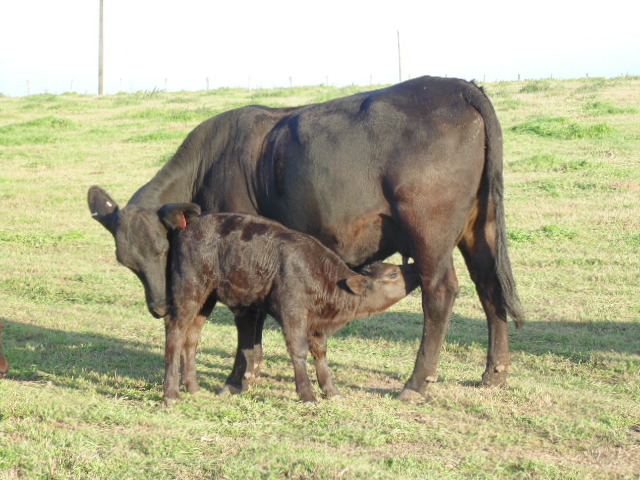 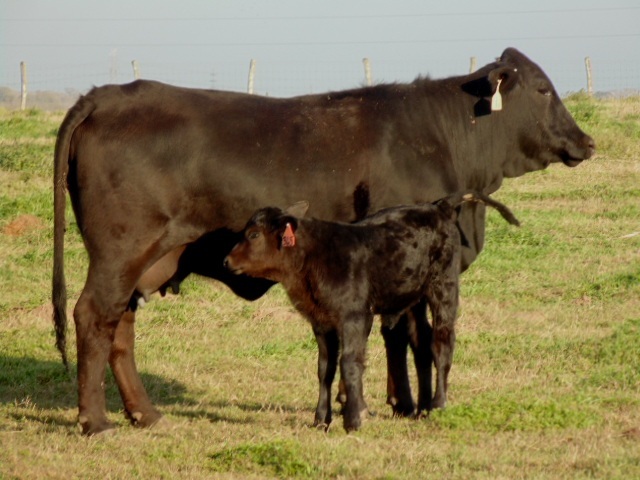 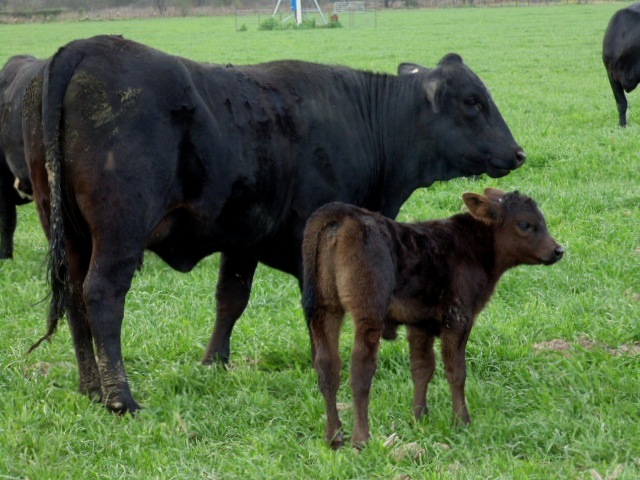 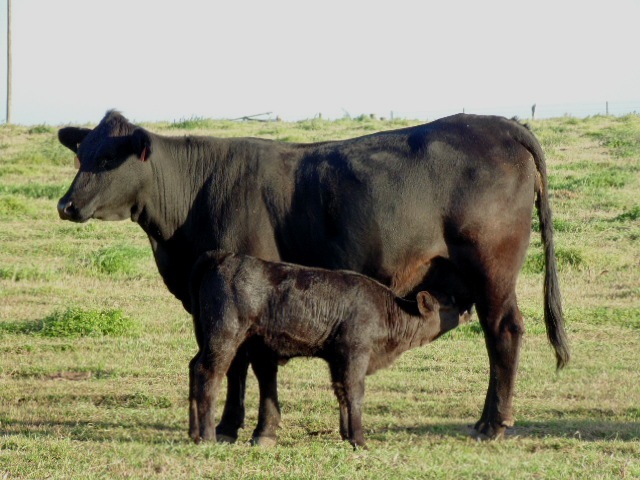 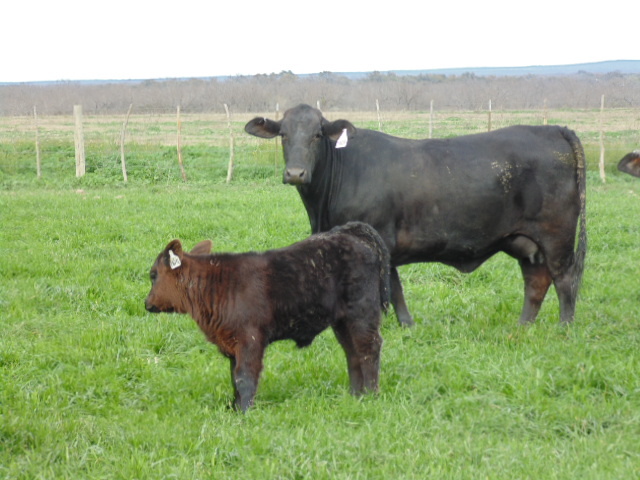 True F1 first calf heifer pairs, calves by Angus bulls. 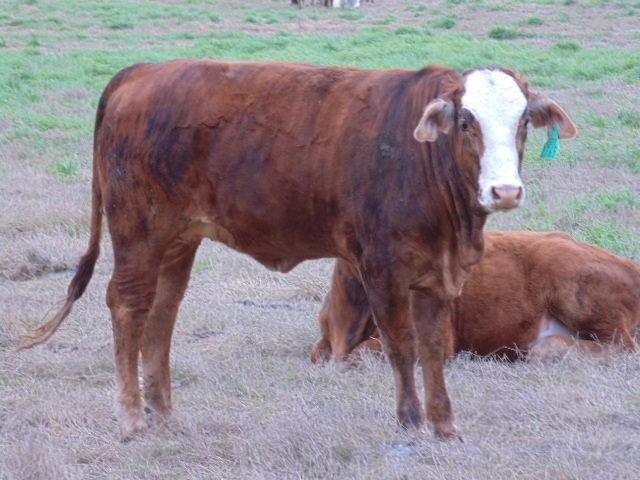 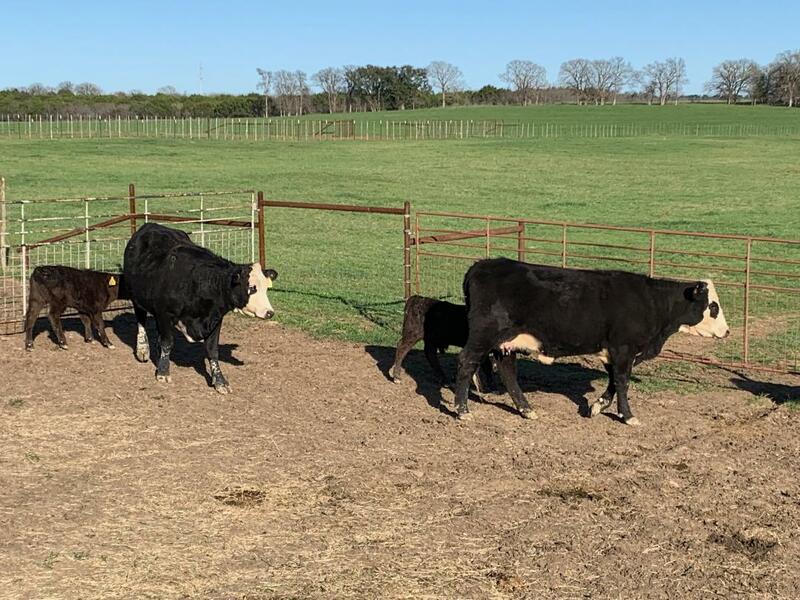 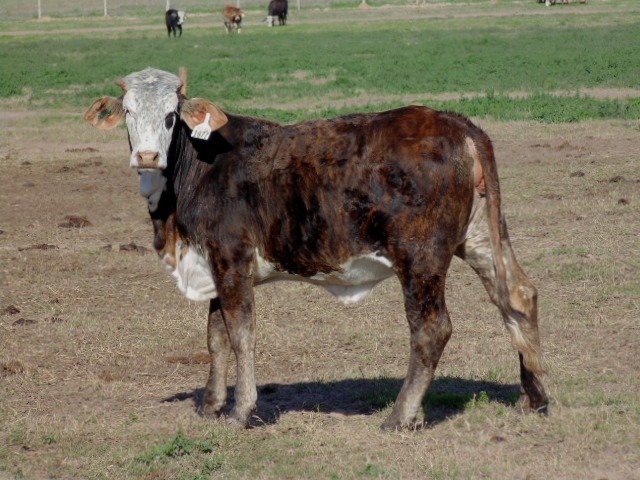 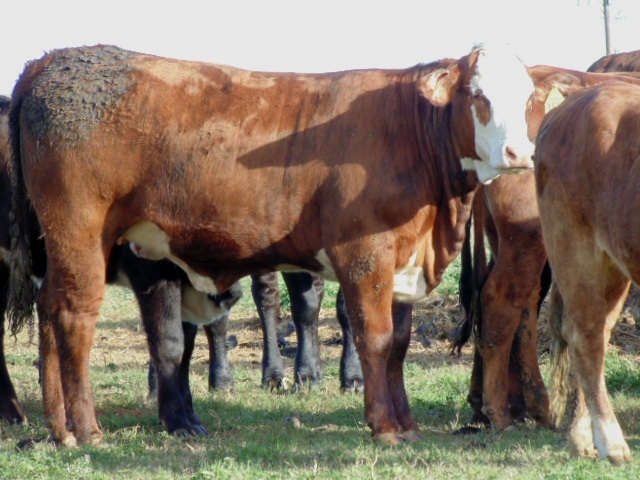 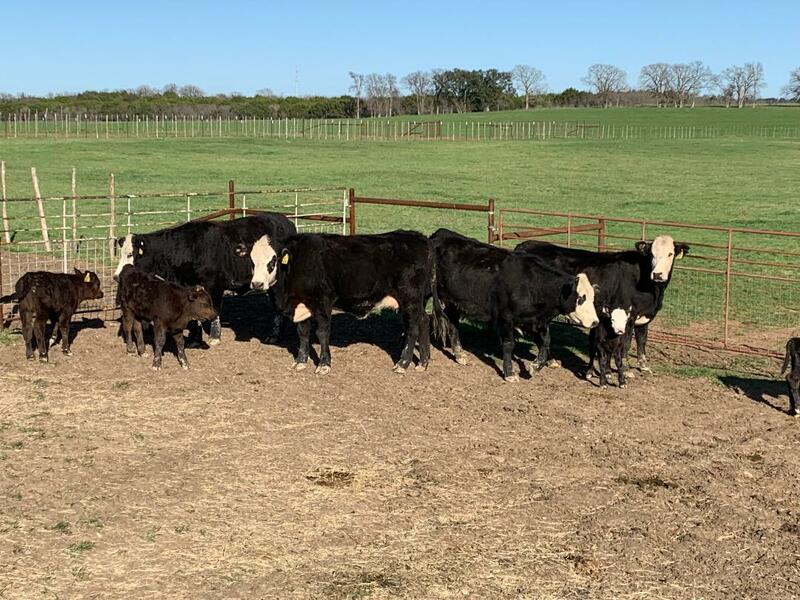 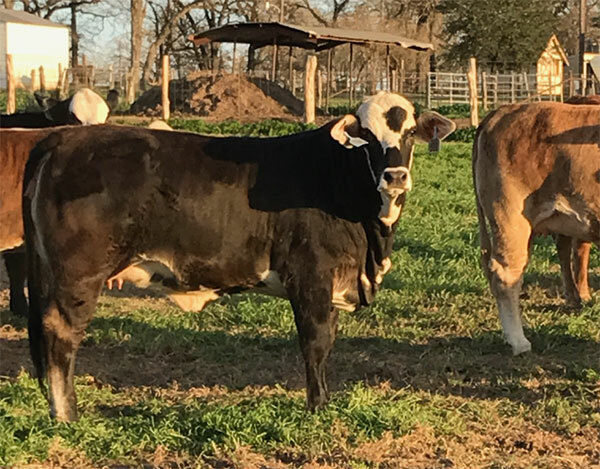 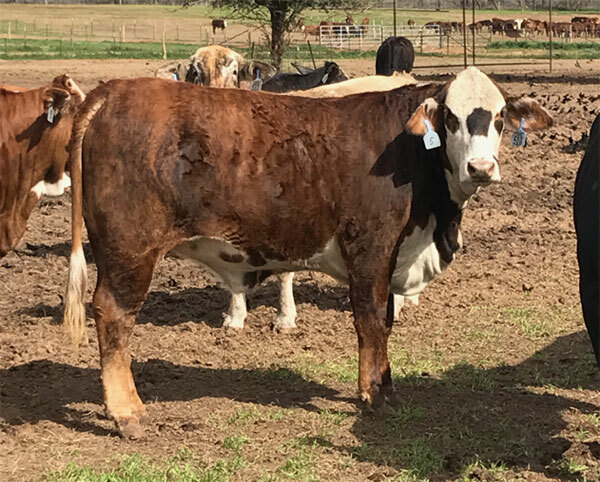 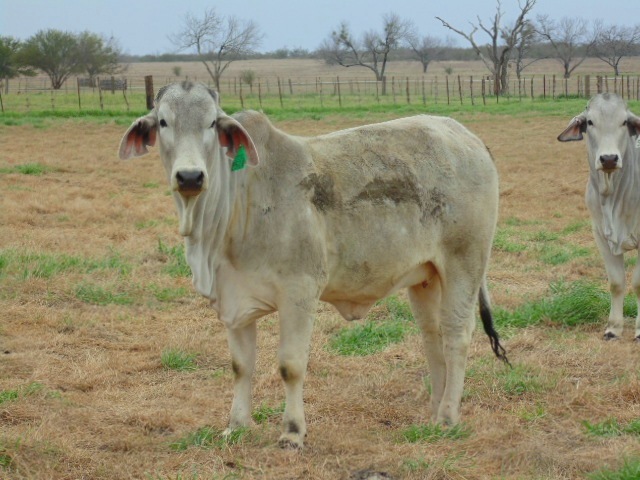 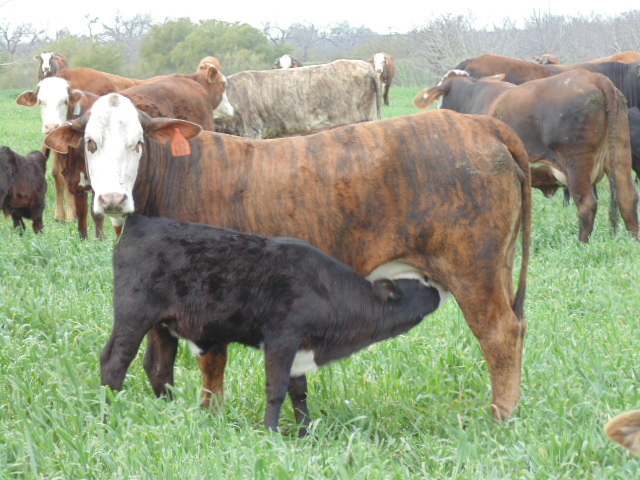 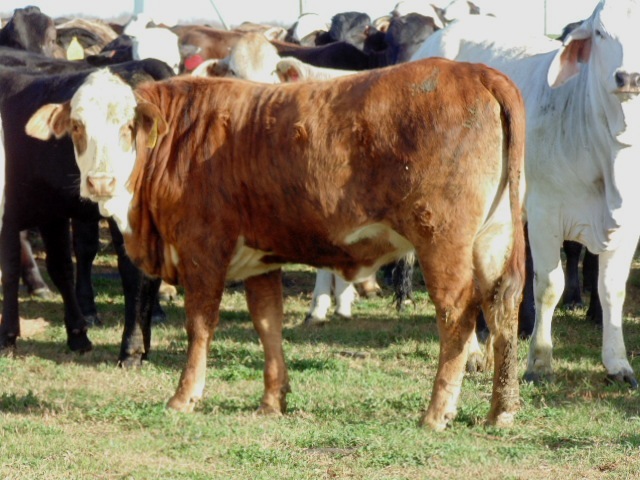 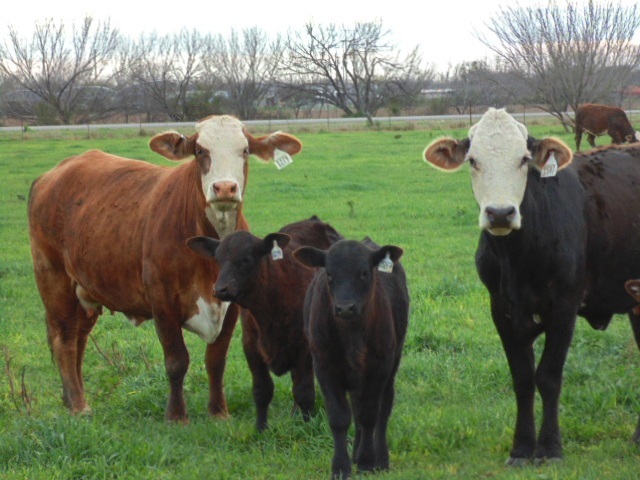 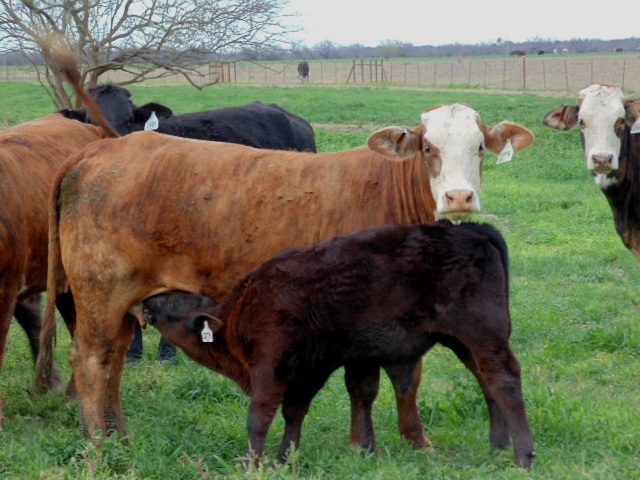 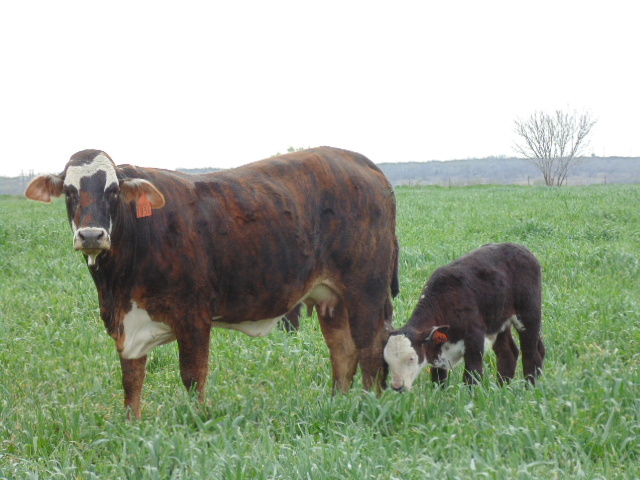 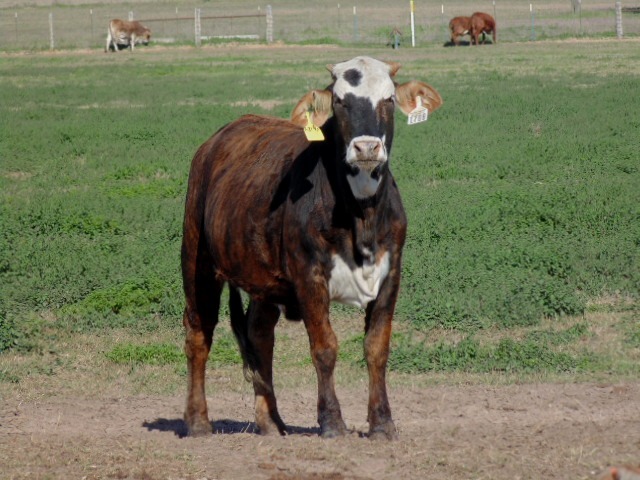 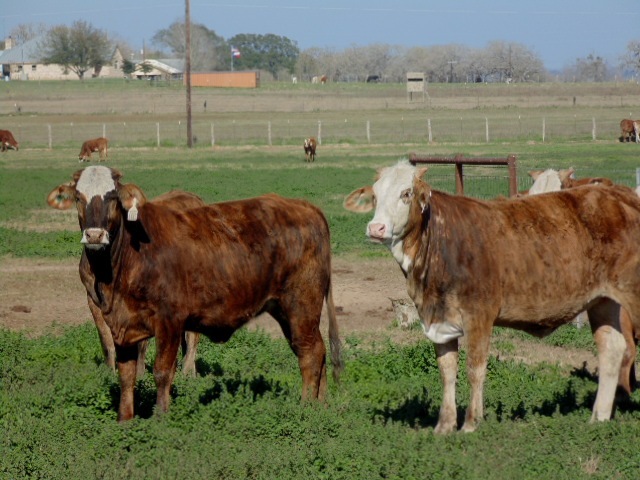 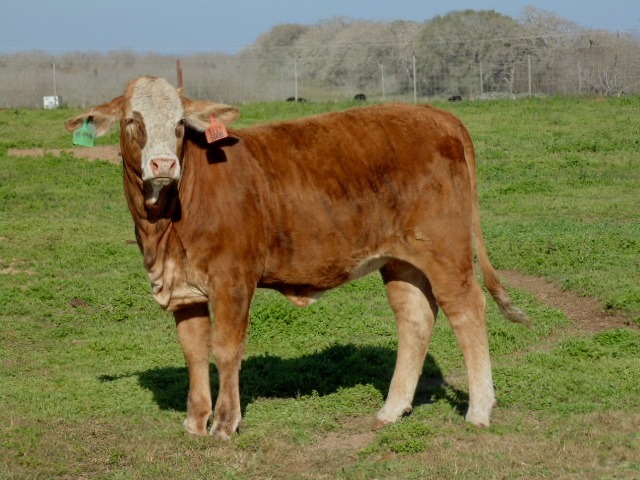 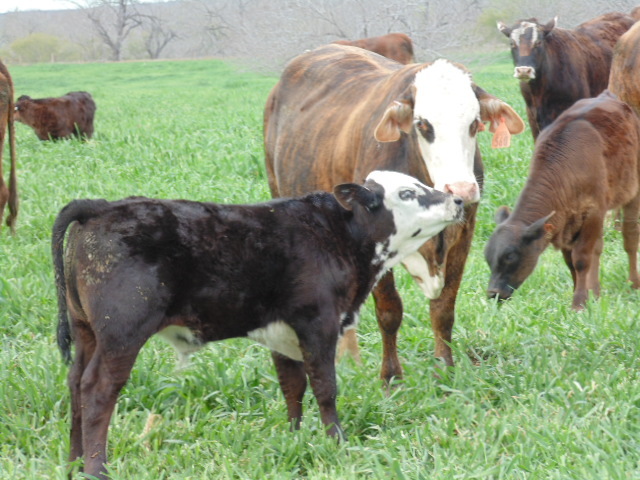 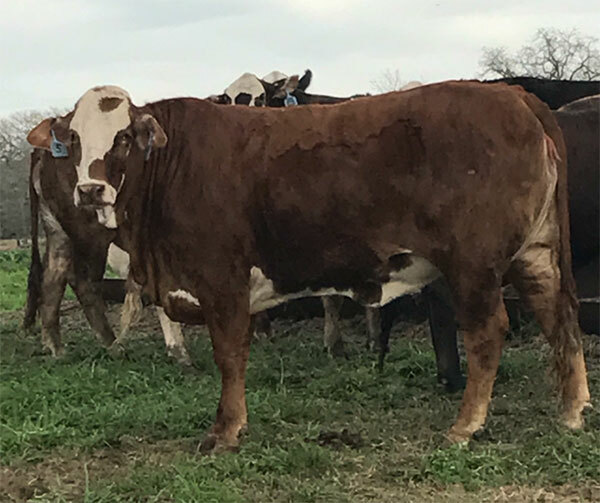 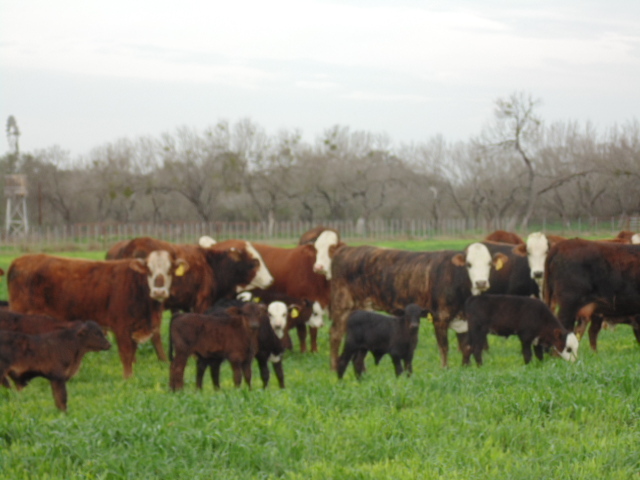 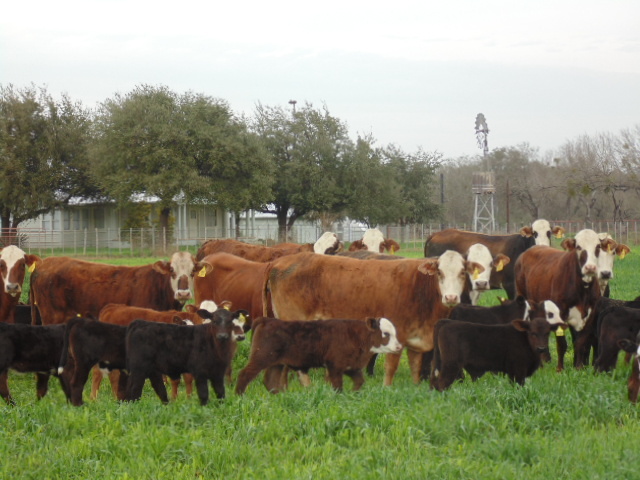 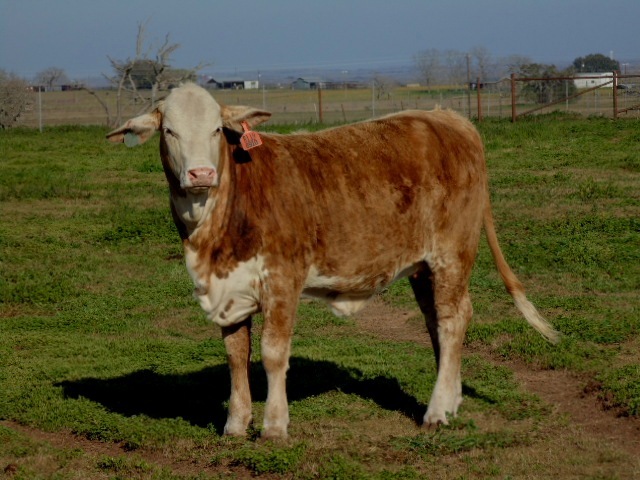 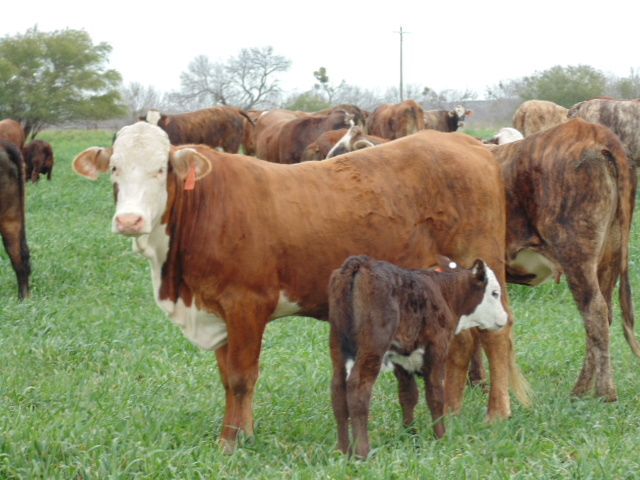 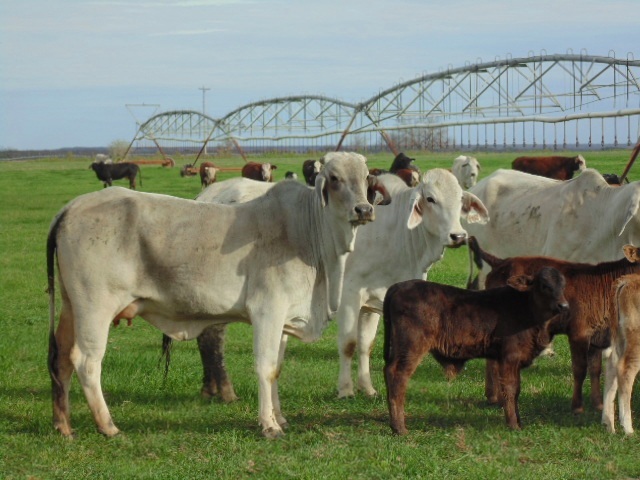 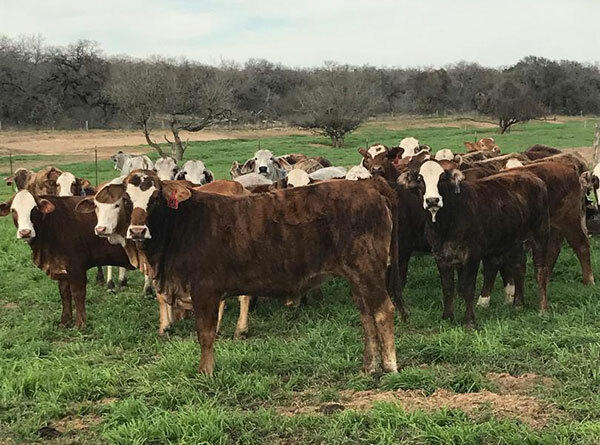 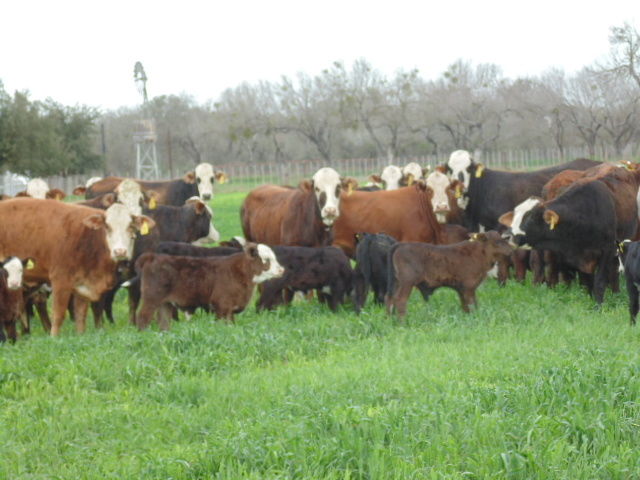 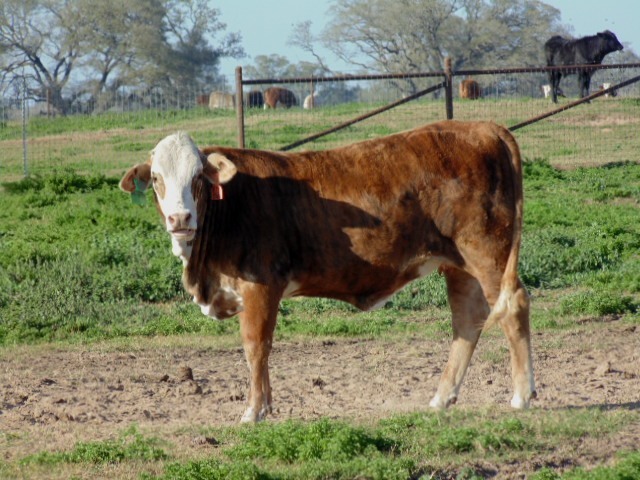 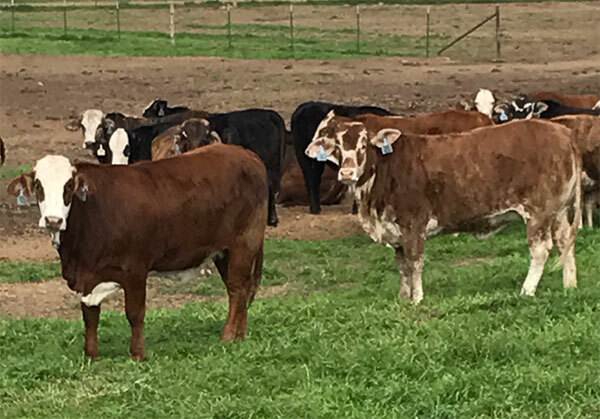 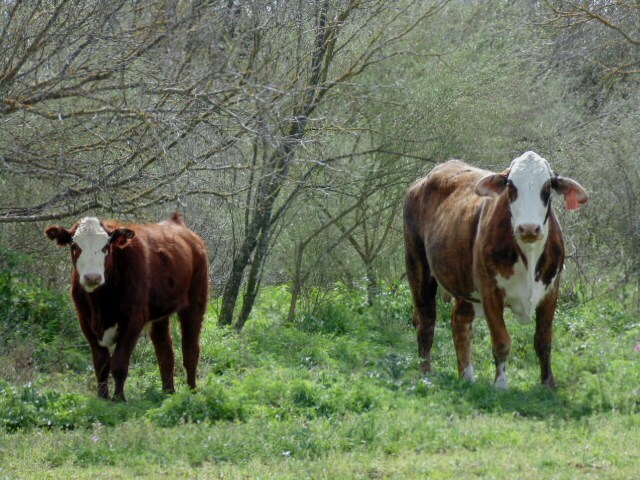 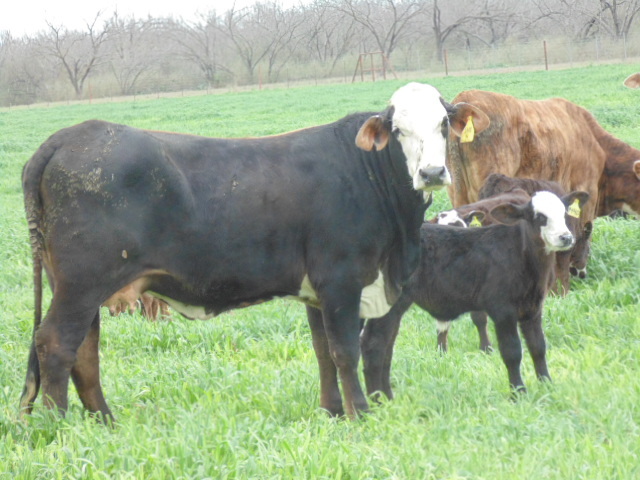 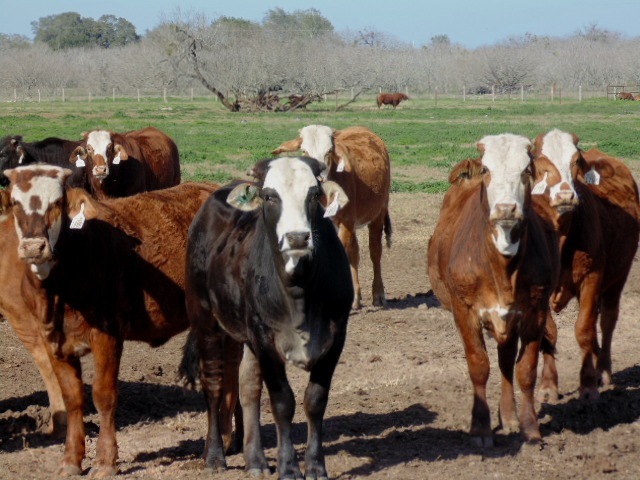 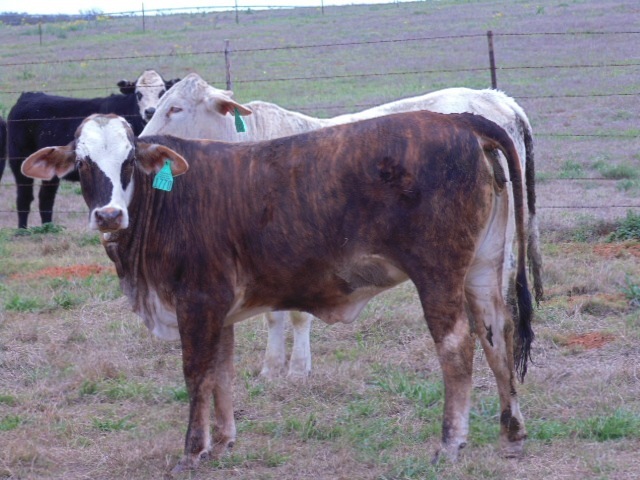 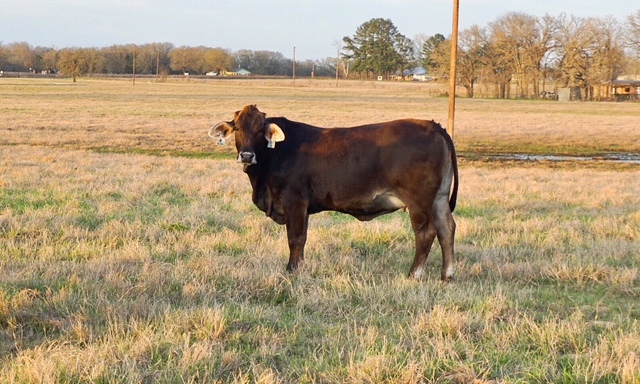 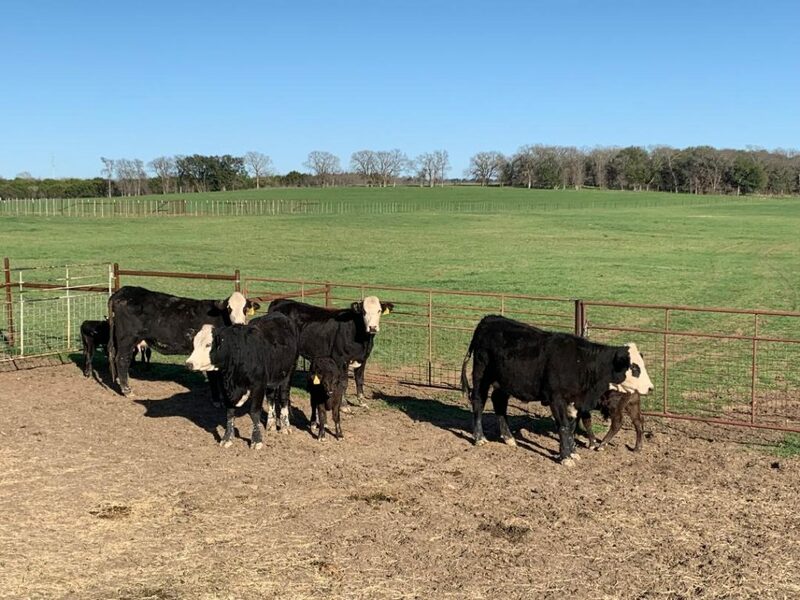 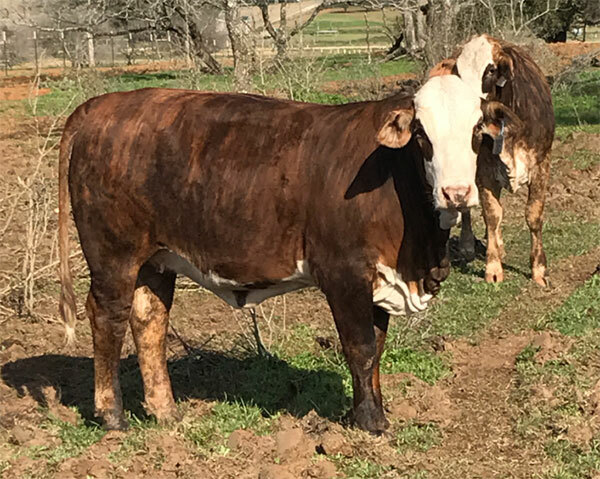 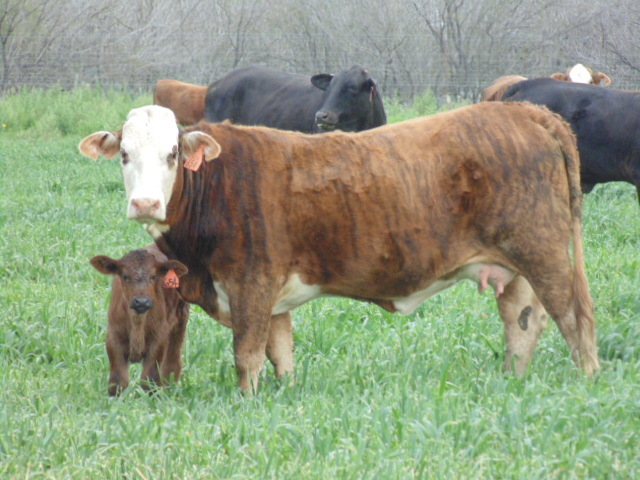 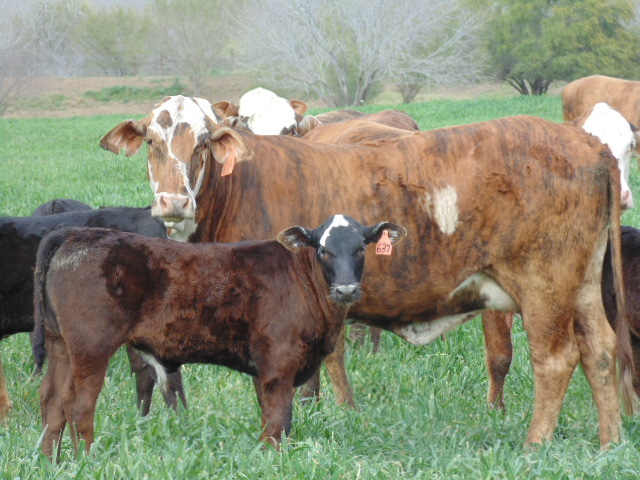 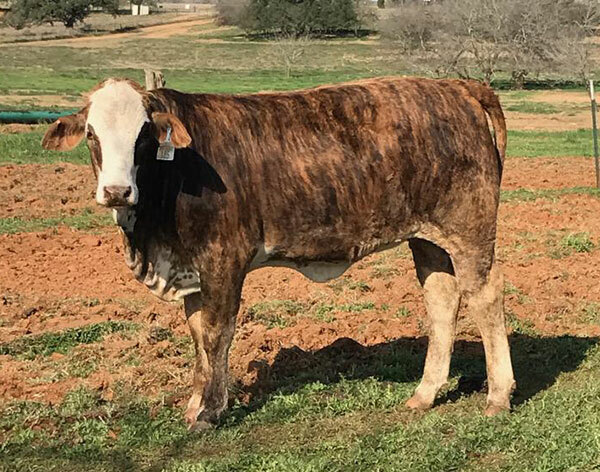 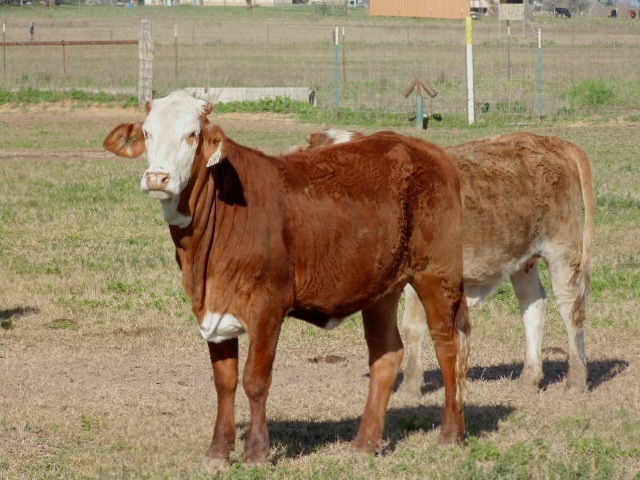 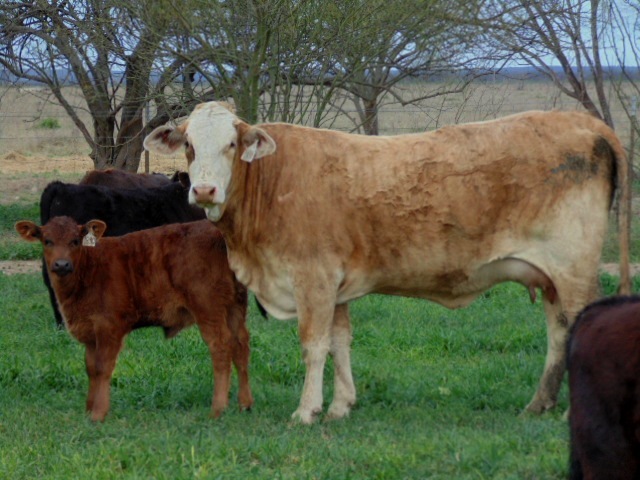 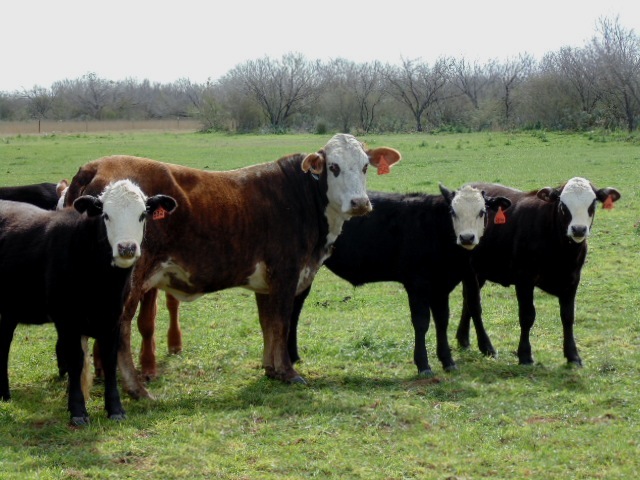 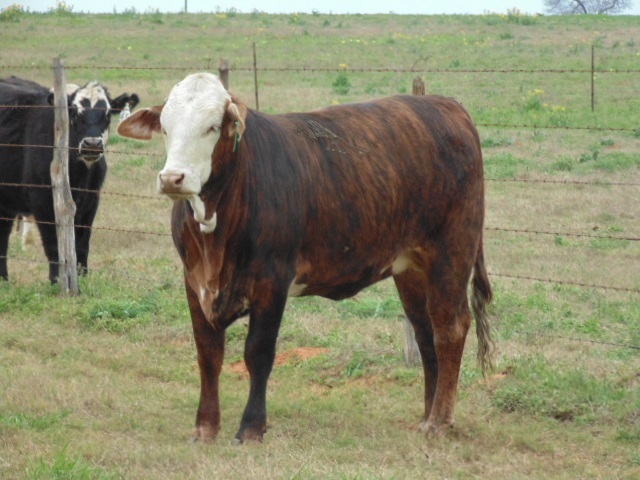 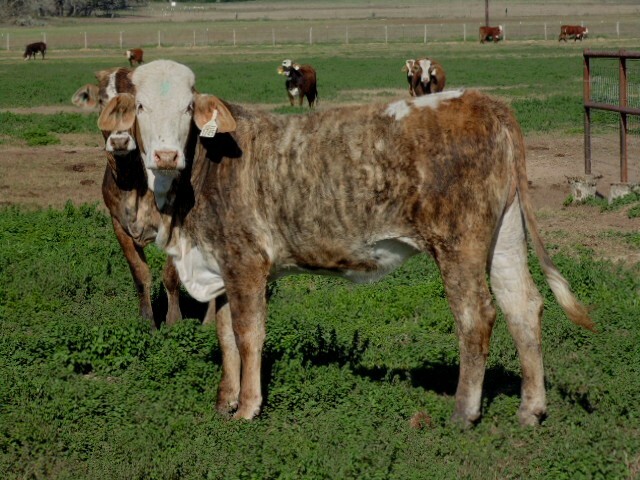 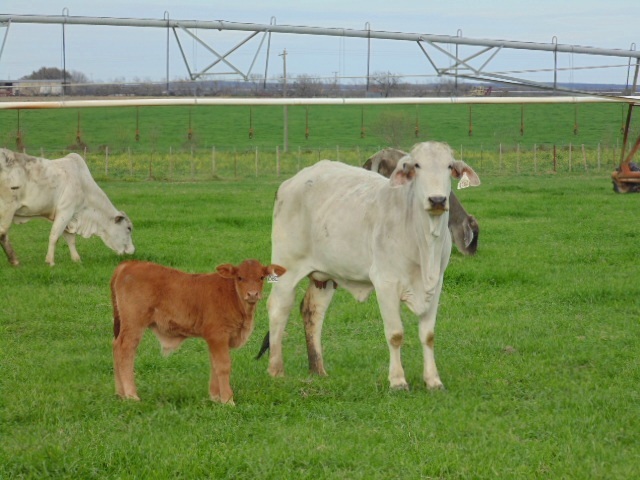 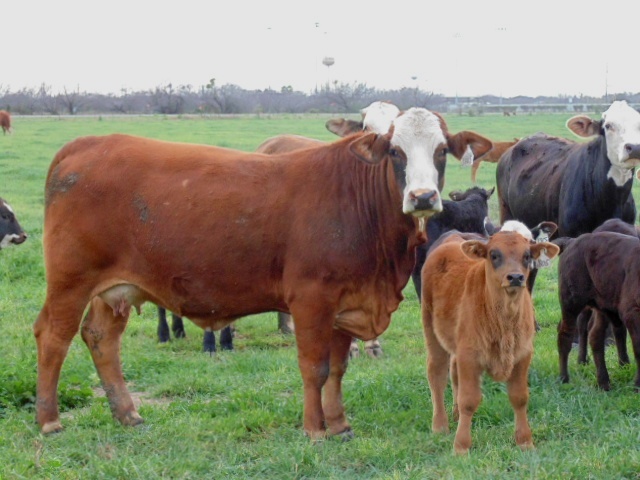 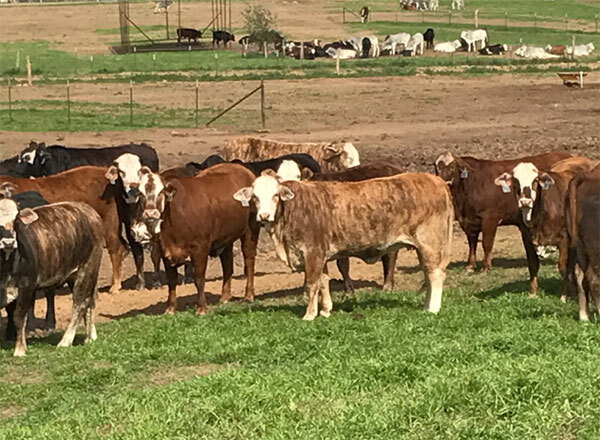 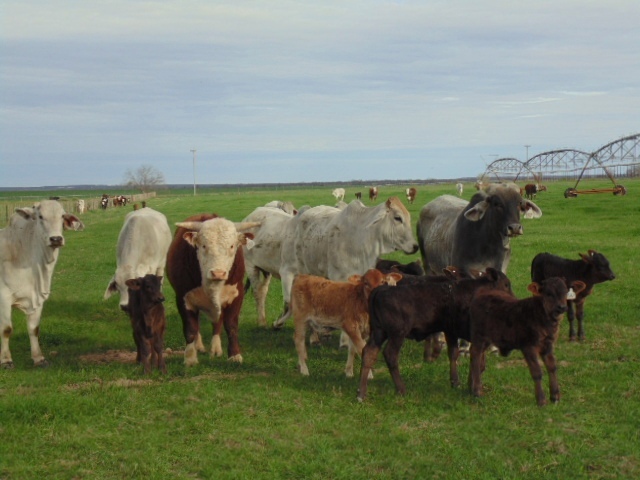 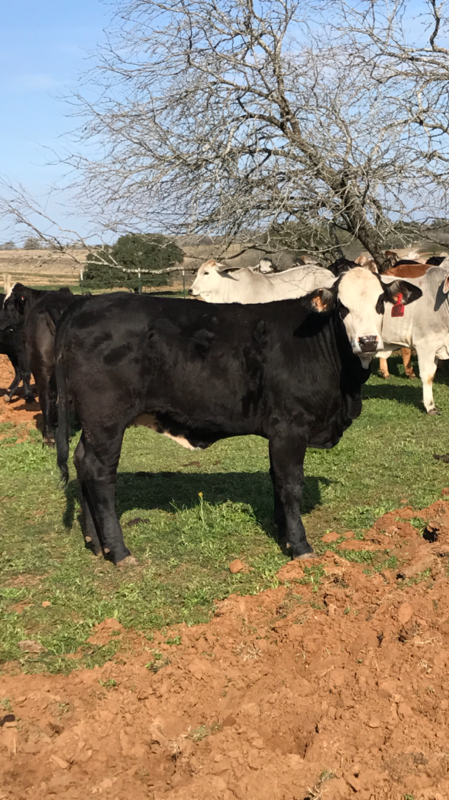 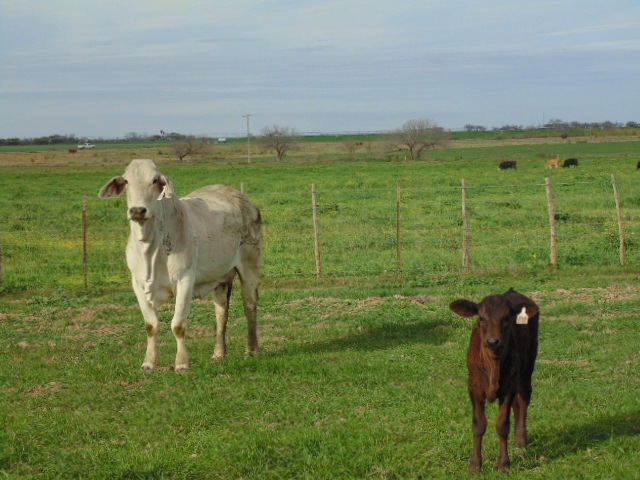 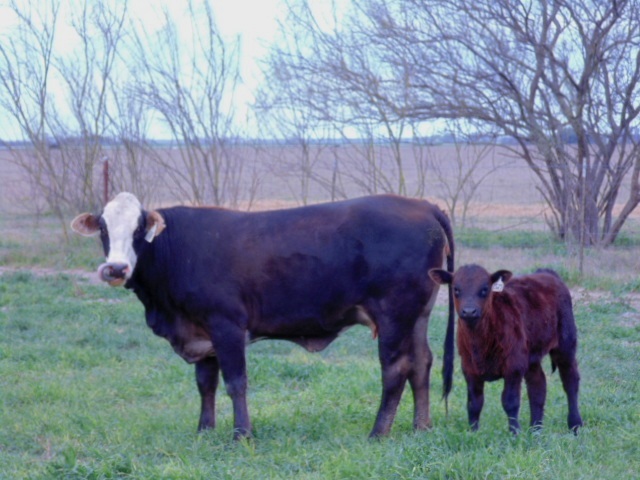 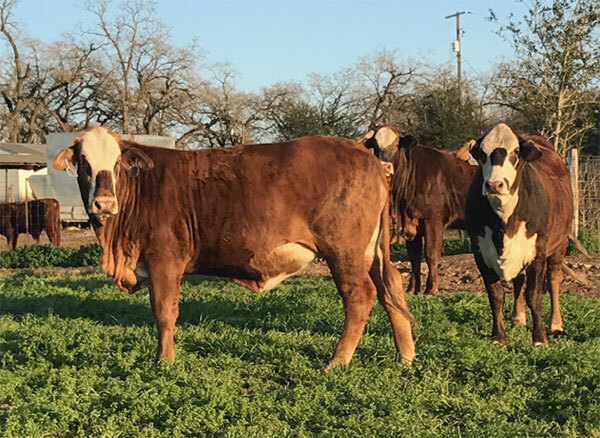 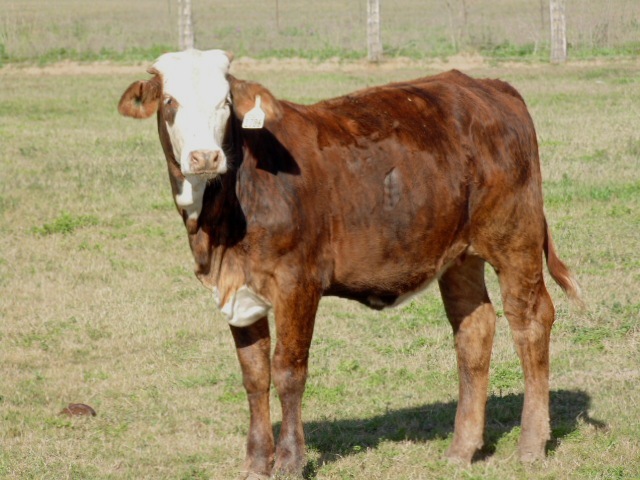 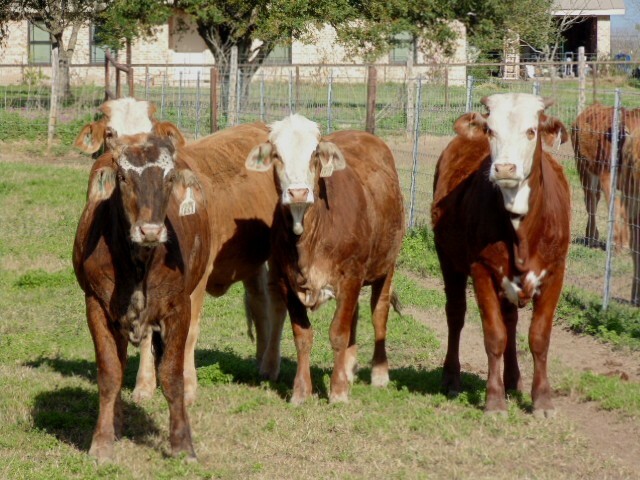 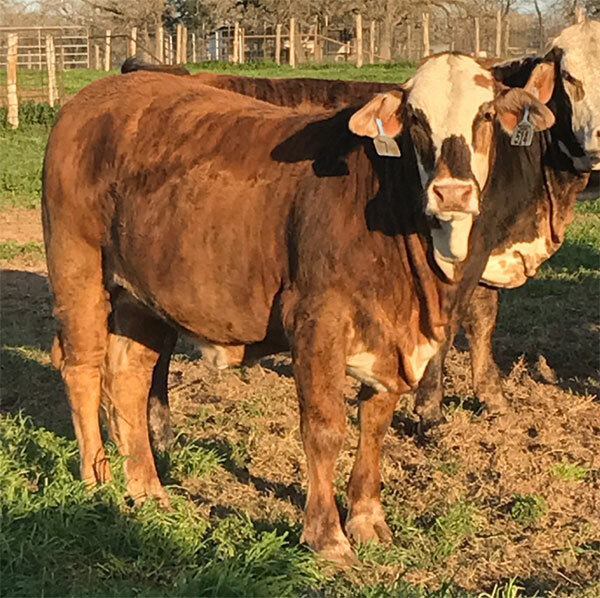 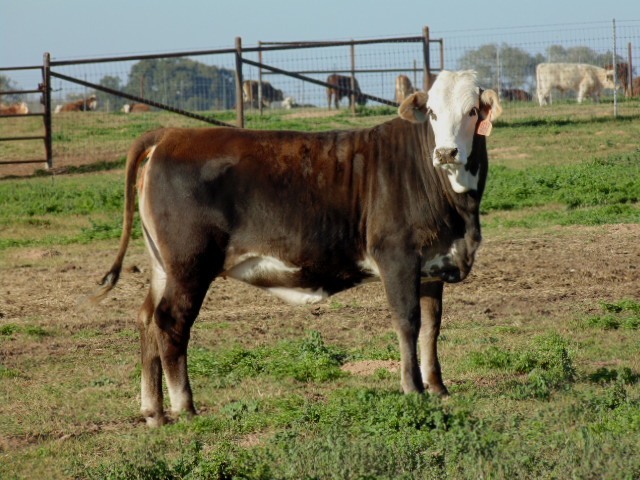 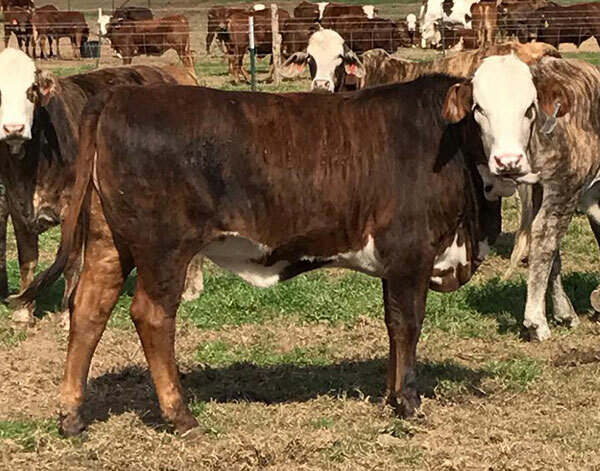 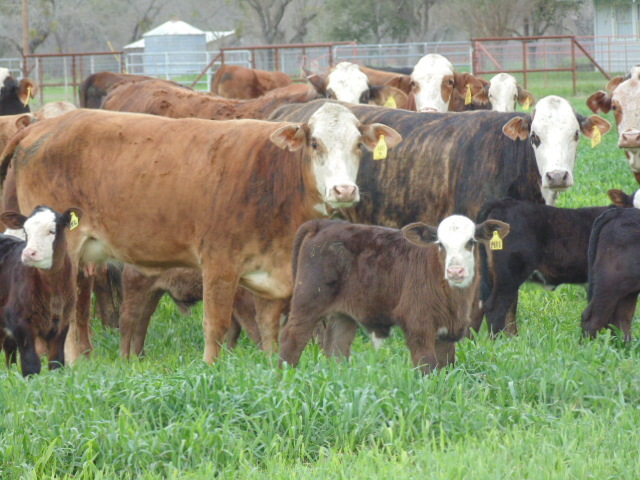 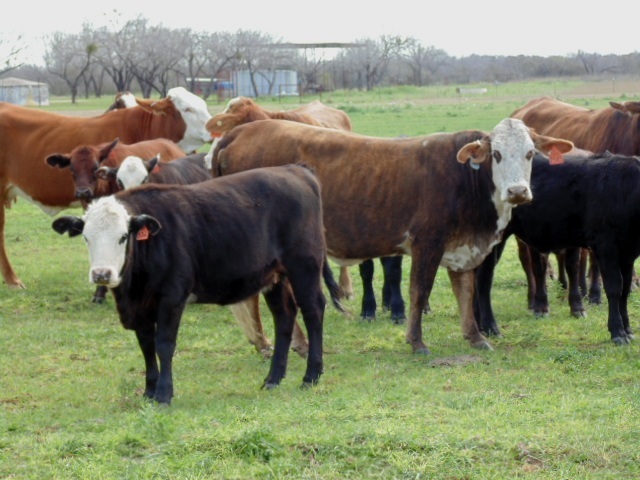 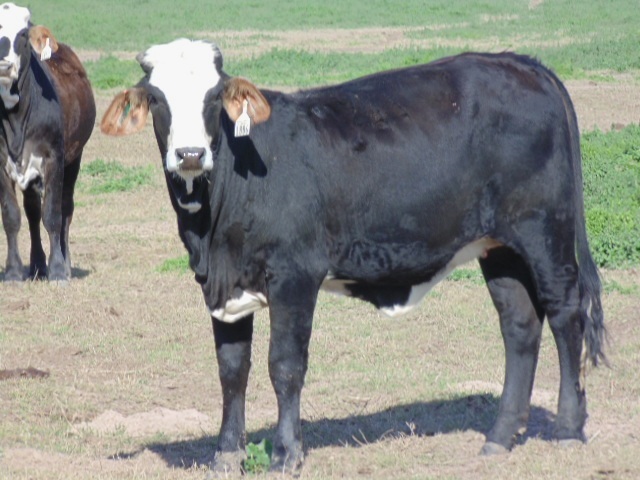 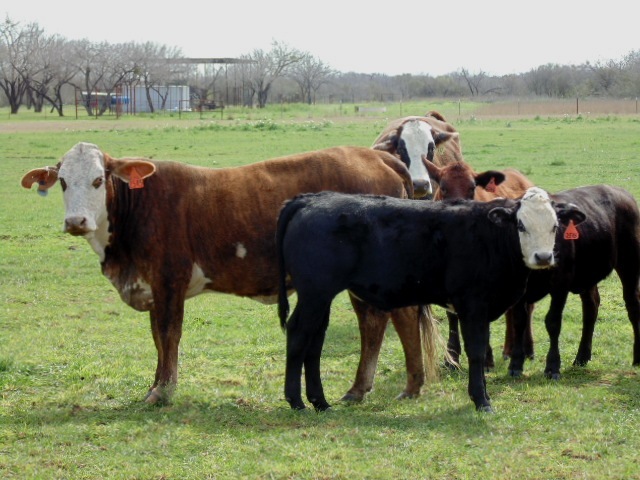 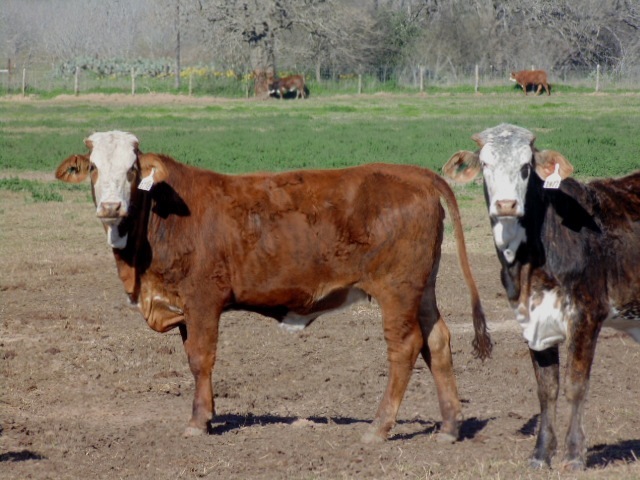 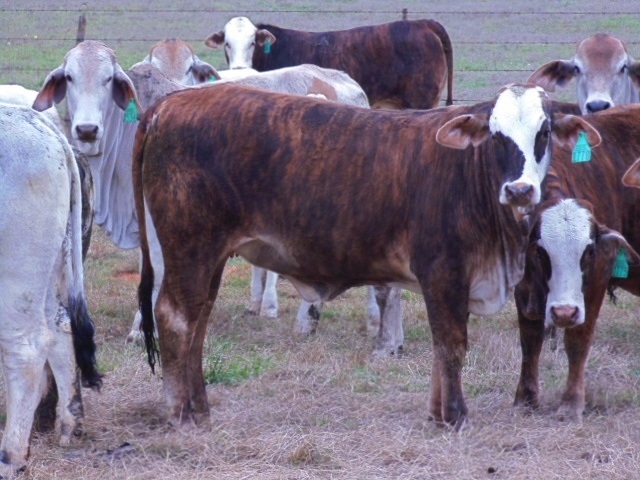 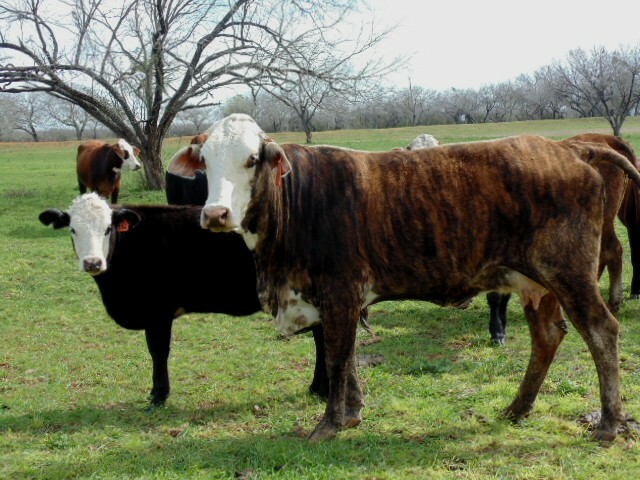 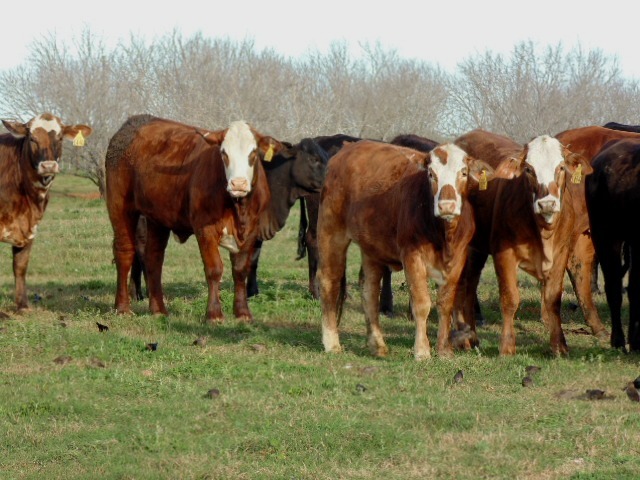 These heifers are out of a tremendous set of Brahman cows and horned Hereford bulls. 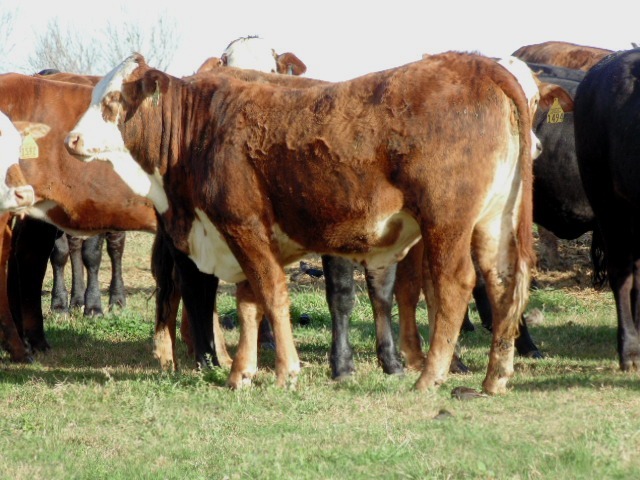 They are very gentle and handle well horseback, will be divided into small uniform groups. 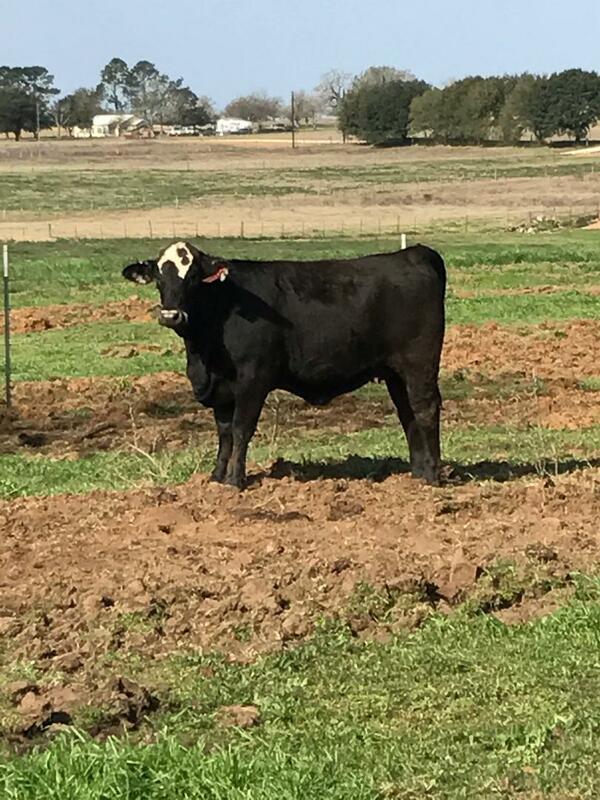 (No brands). 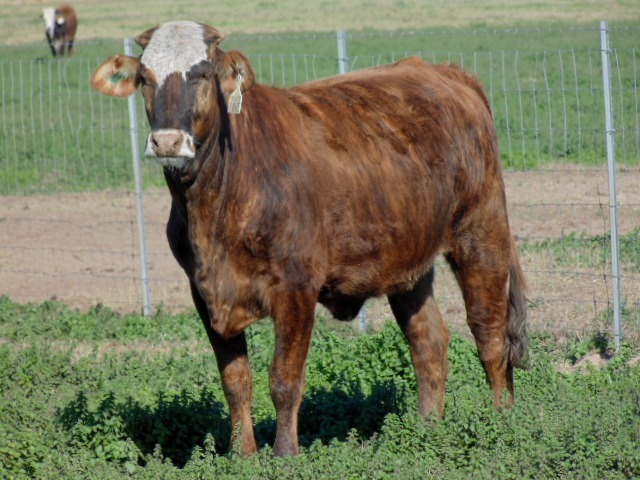 45 hd. 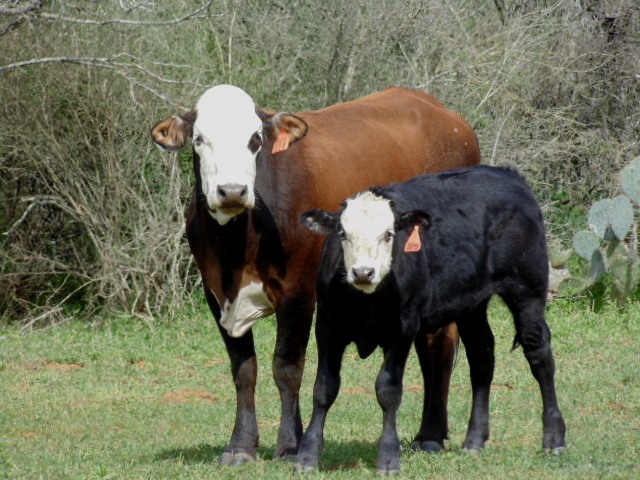 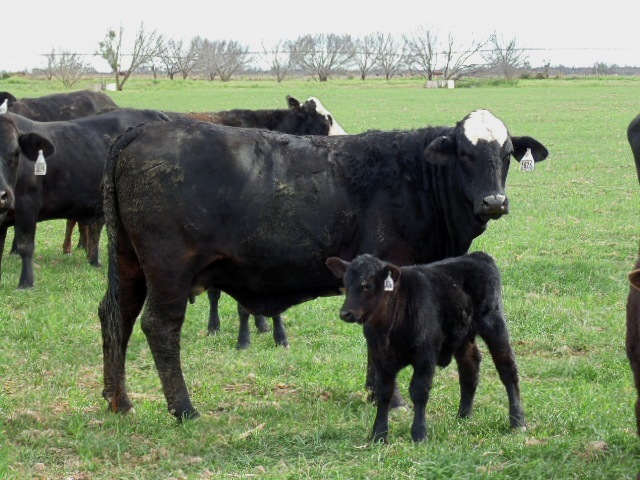 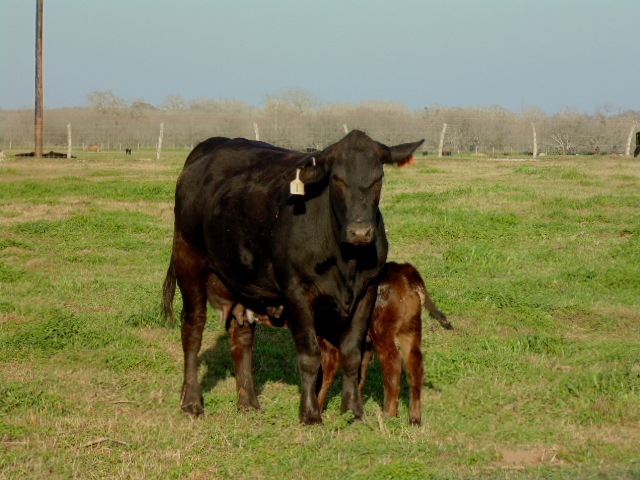 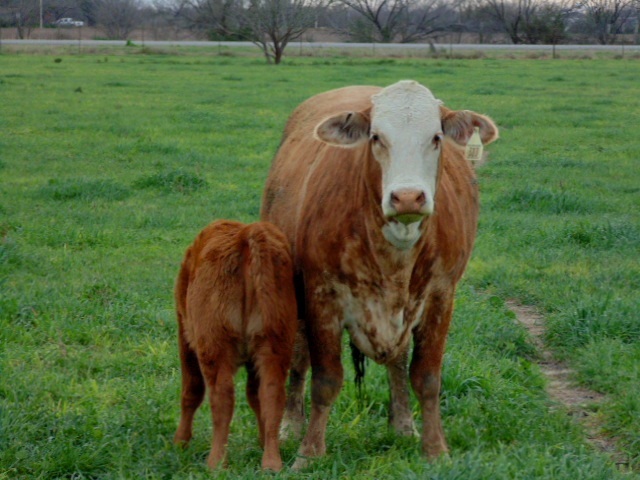 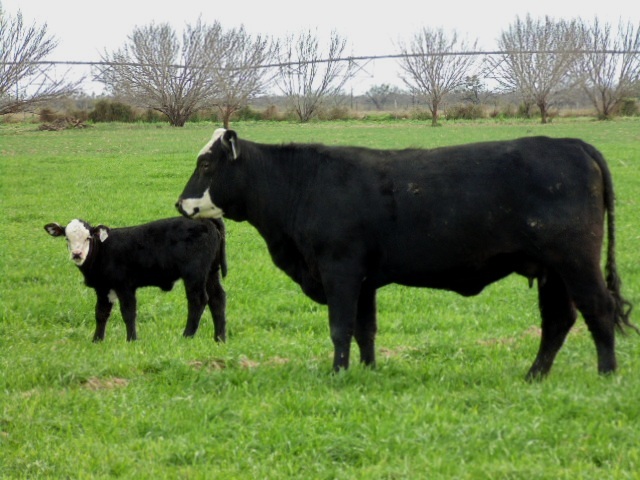 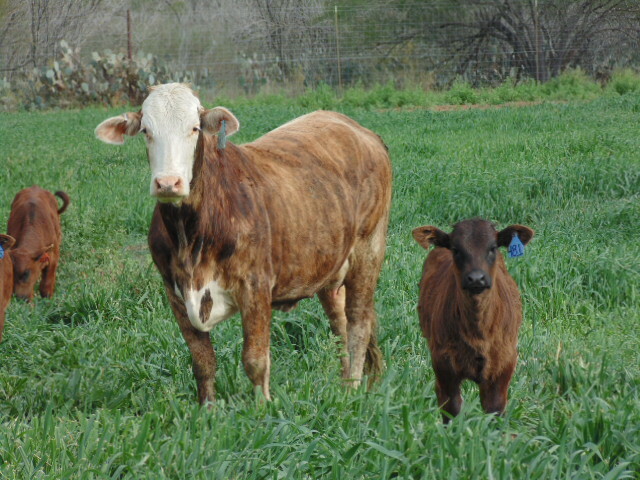 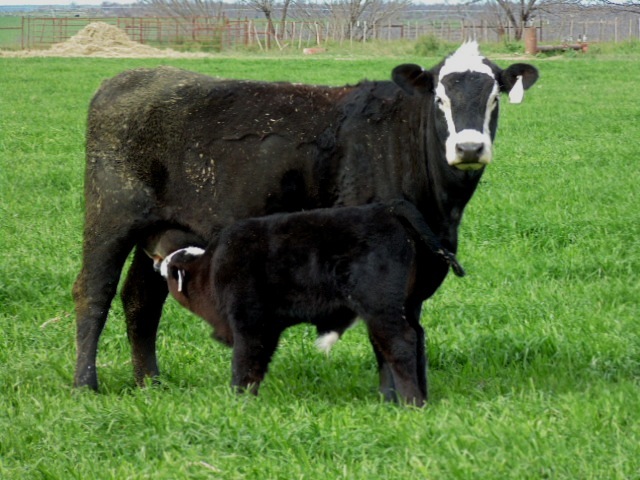 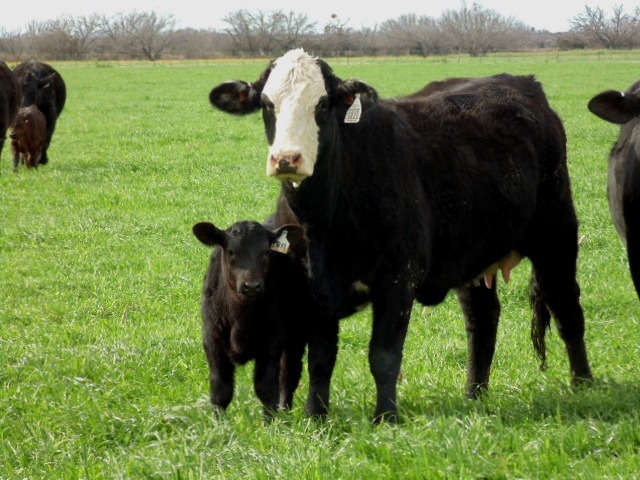 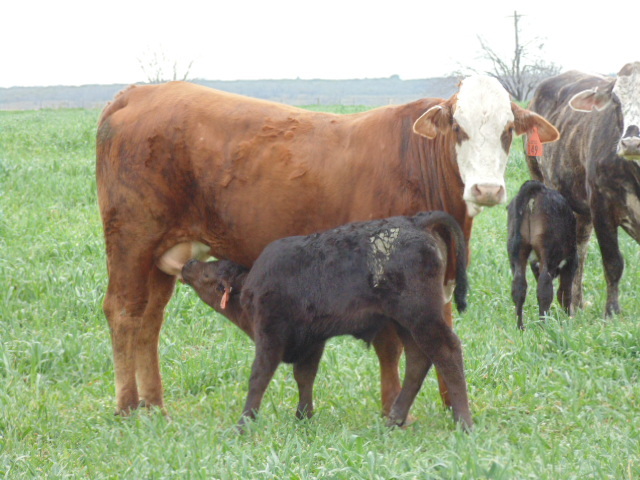 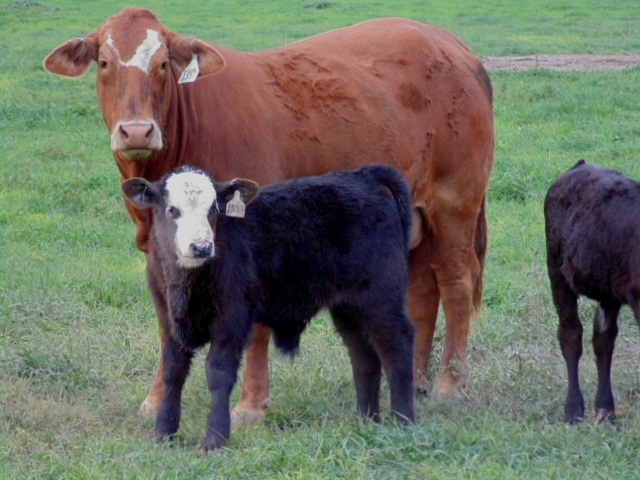 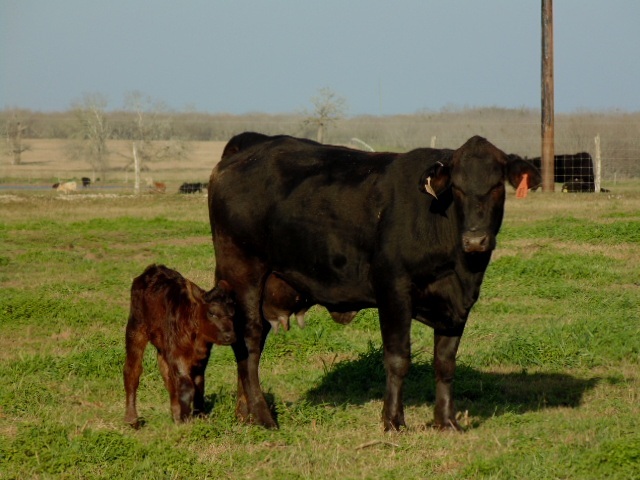 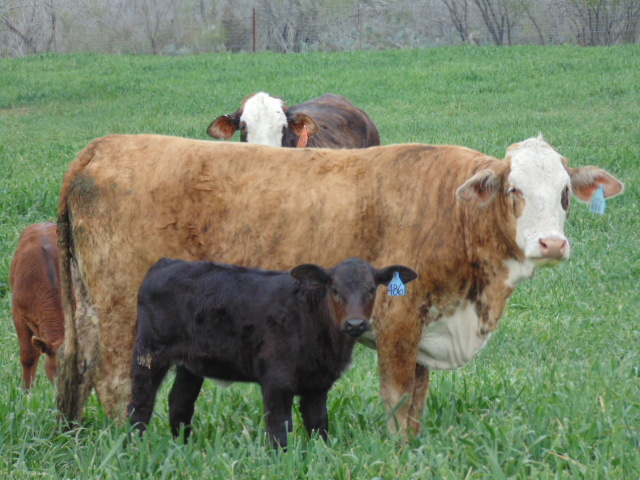 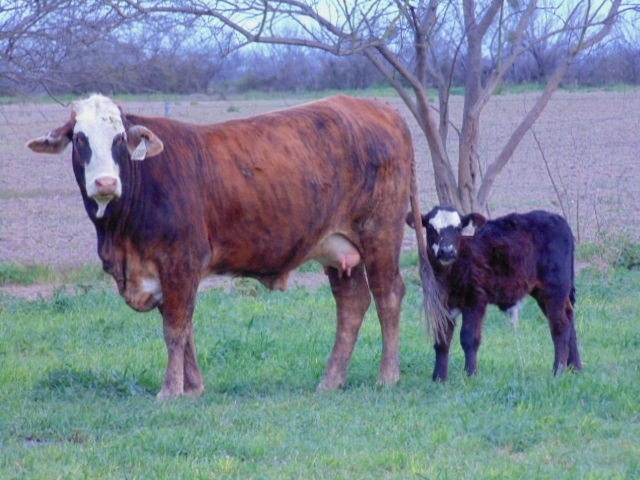 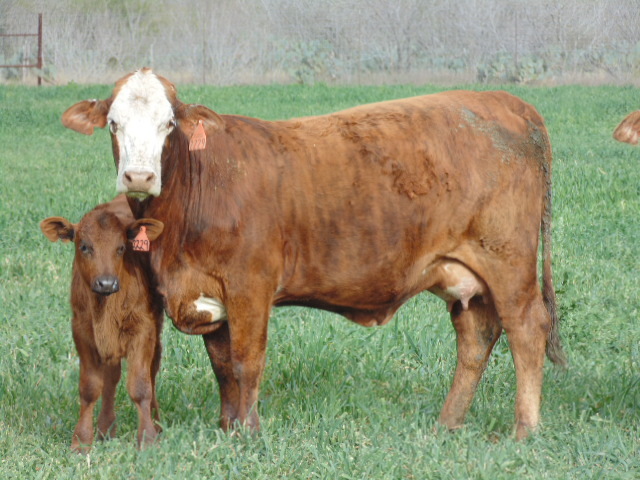 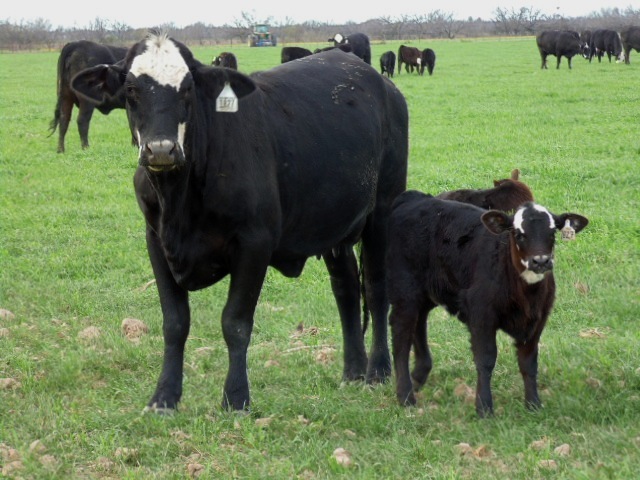 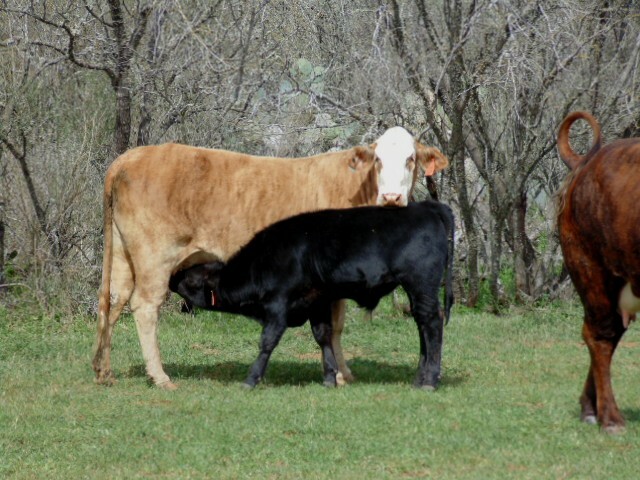 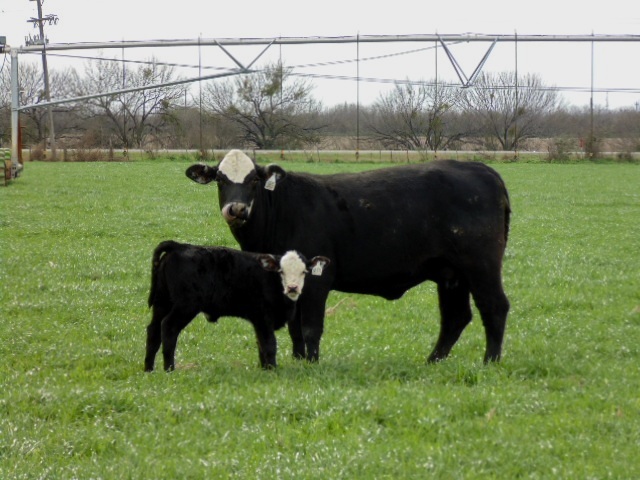 Brangus and Brangus Baldy first calf heifer pairs, calves by Angus bulls. 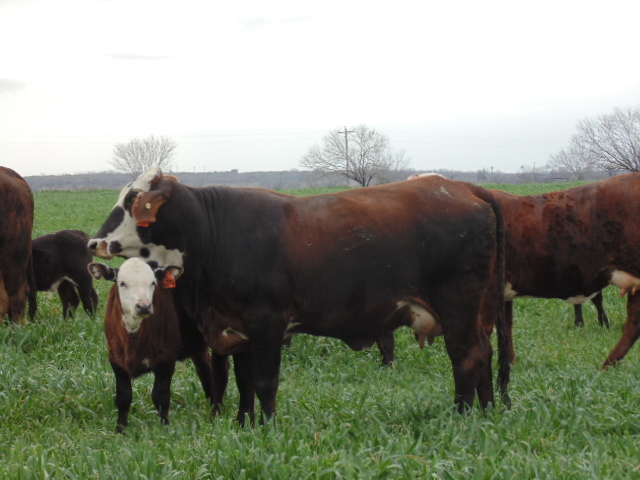 These heifers will weigh 1050 lbs plus, and are running on irrigated pasture. 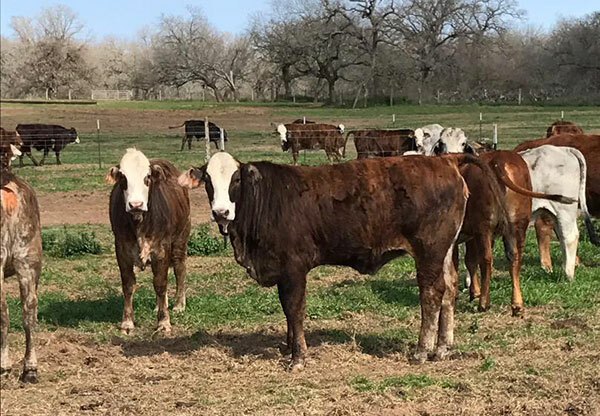 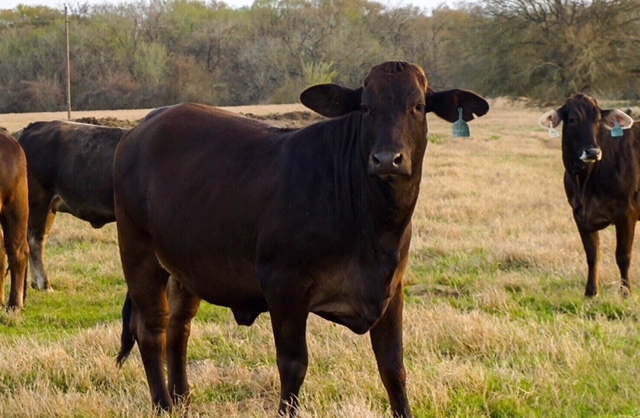 These are some of the best Brangus and Brangus Baldly pairs we’ve ever had. 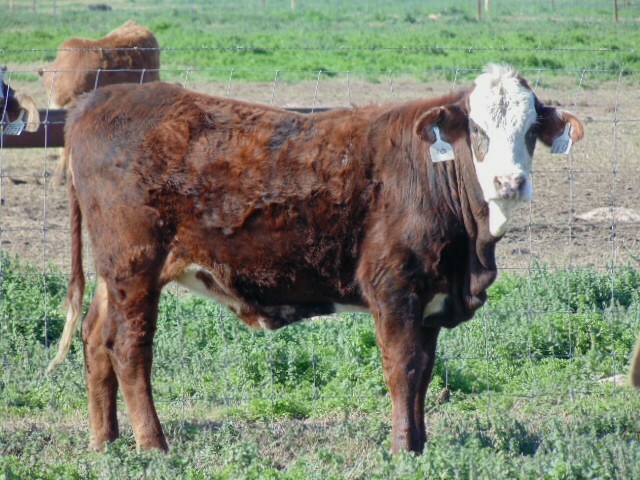 60 hd. 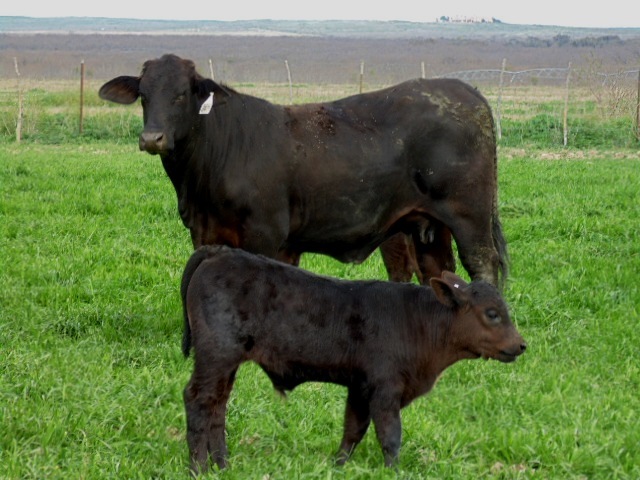 True F1 first calf heifer pairs, calves by Angus bulls. 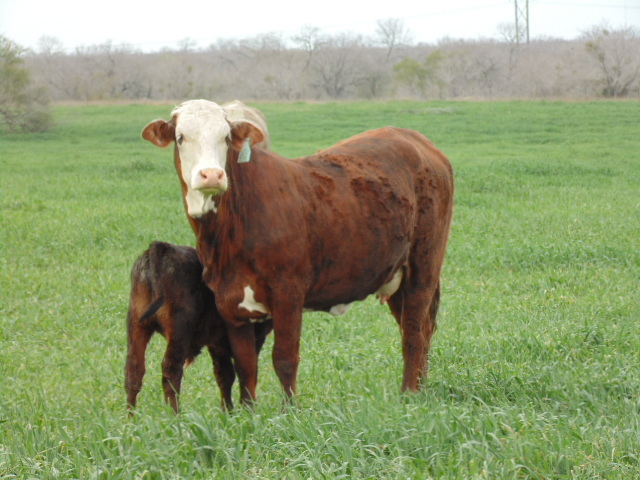 Coming from a repeat consigner who always brings good cattle. 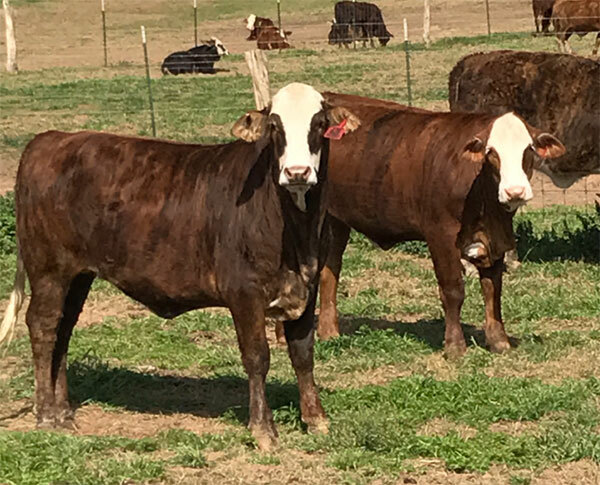 These heifers are in great body condition. 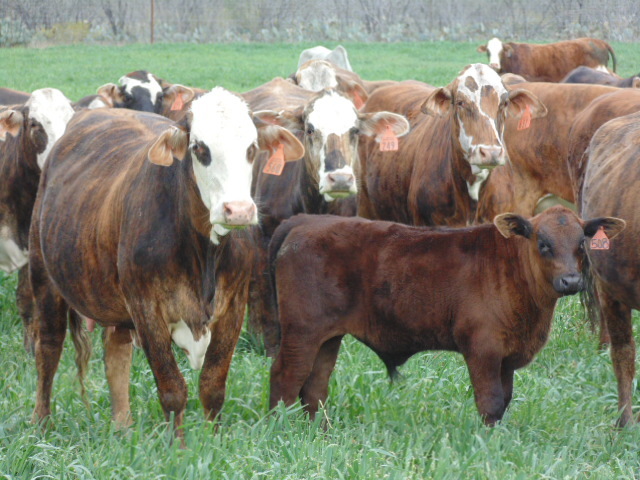 15 hd. 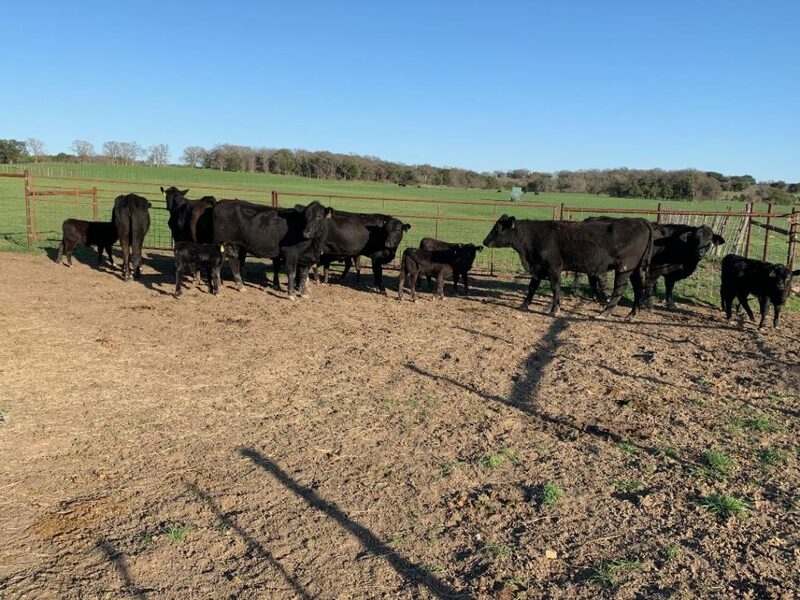 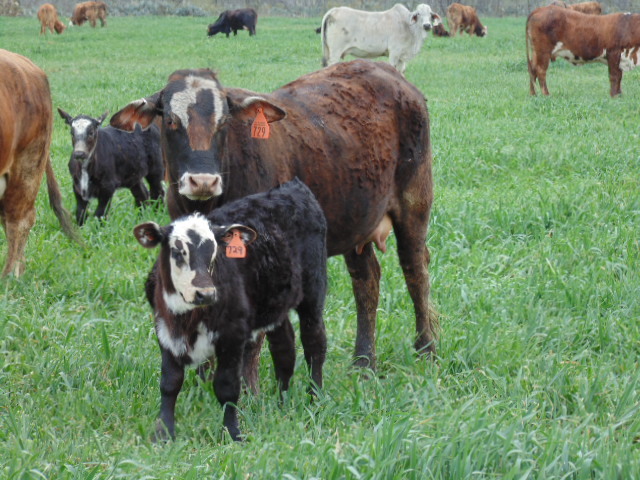 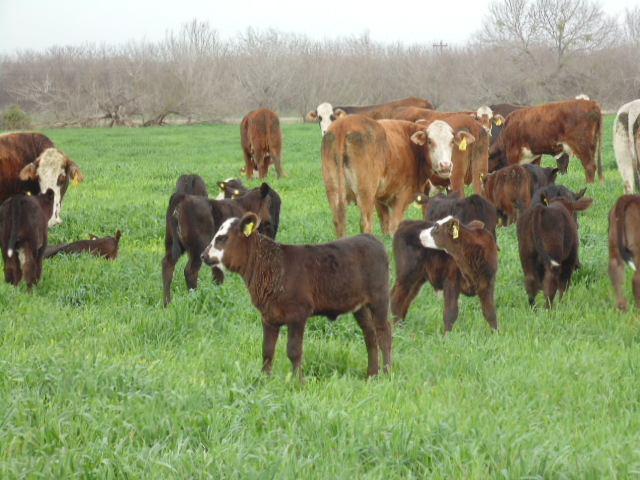 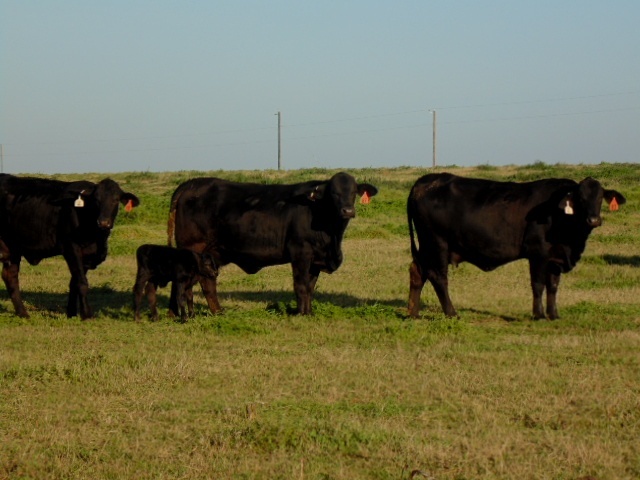 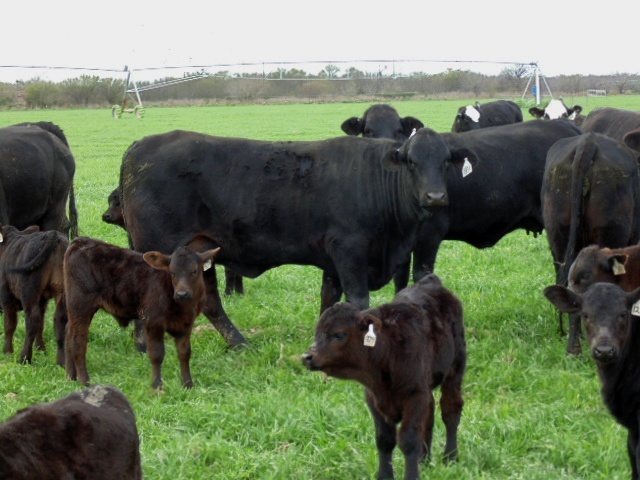 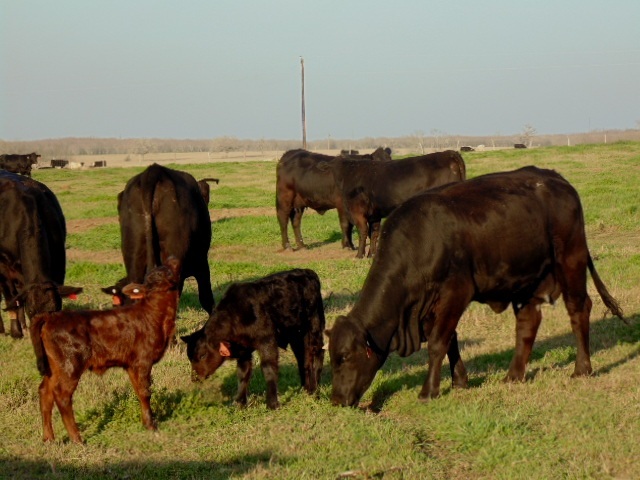 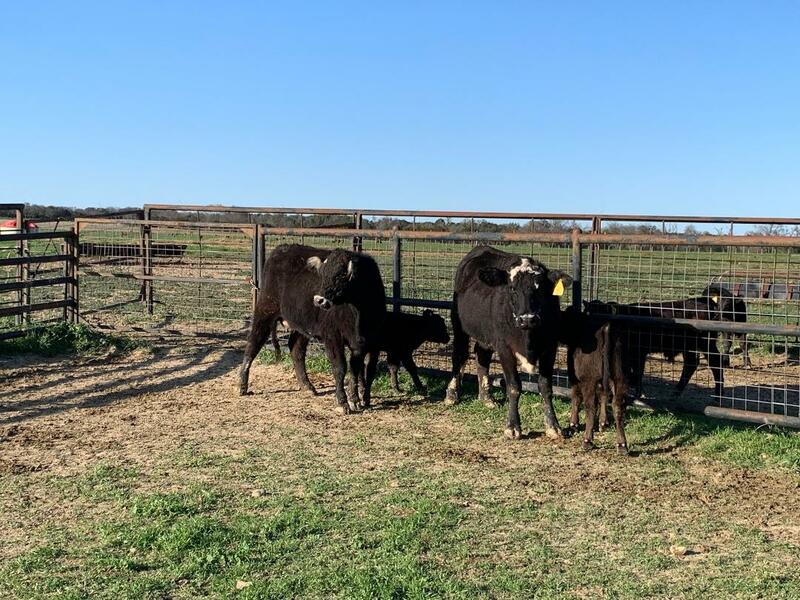 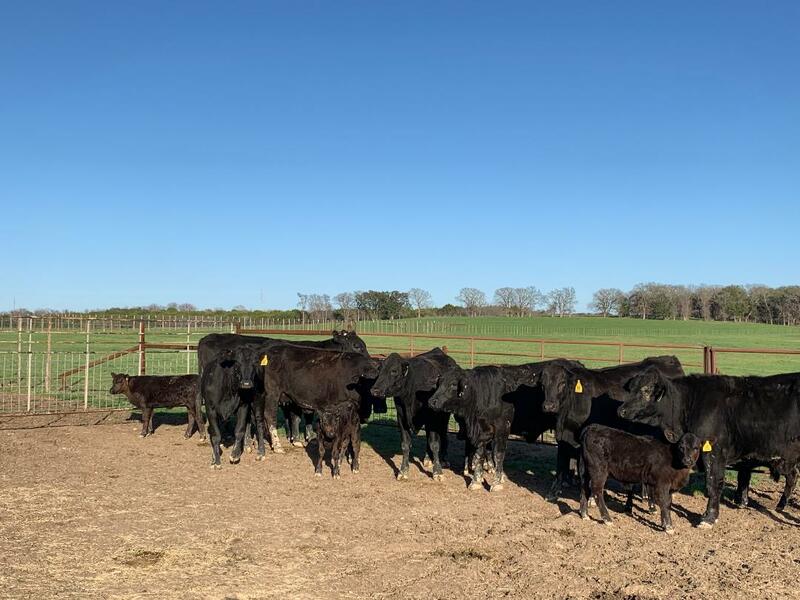 First calf Brangus heifers, calves by Angus bulls. 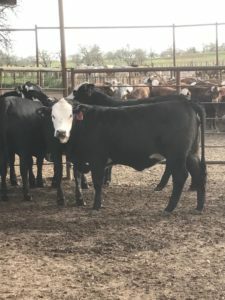 Very fancy and coming from a repeat consigner who always brings the best. 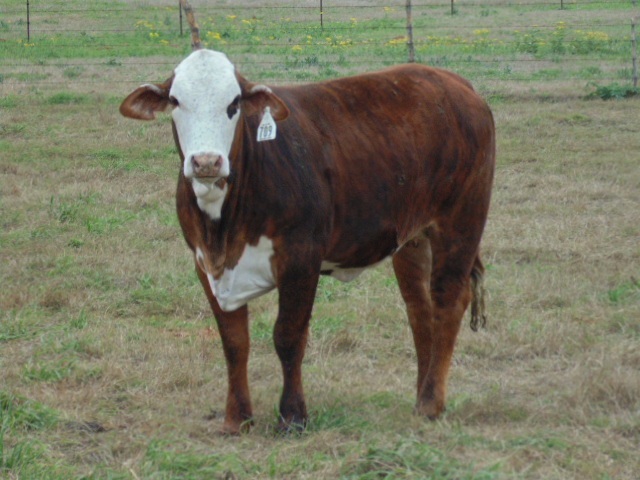 20 hd. 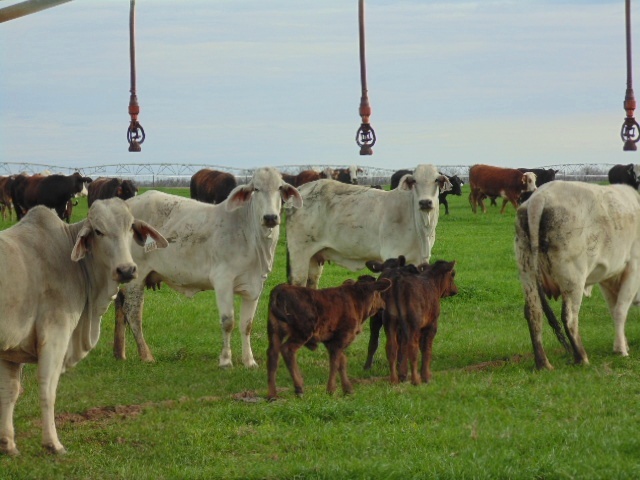 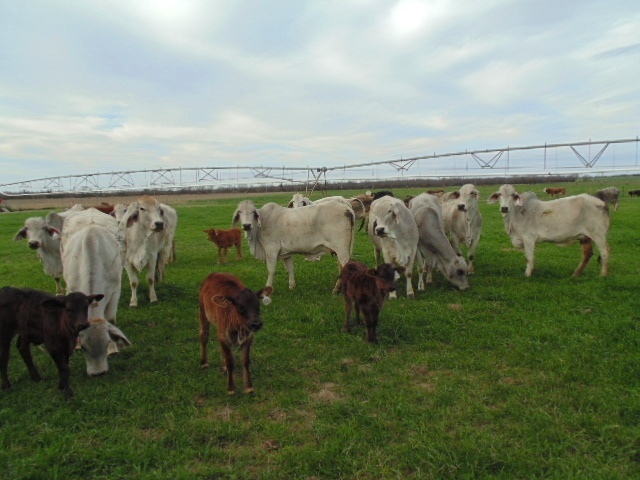 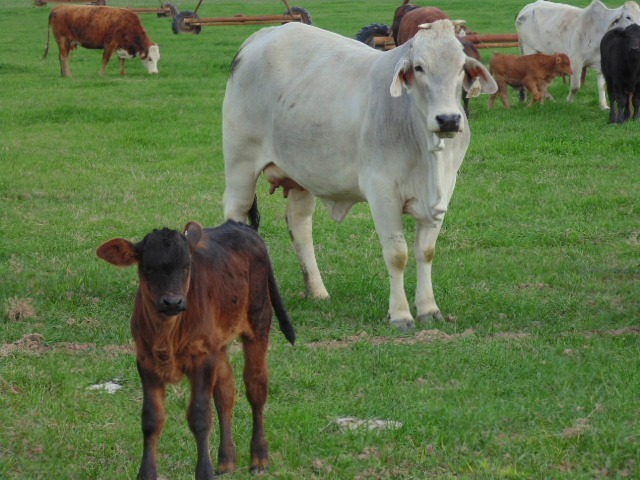 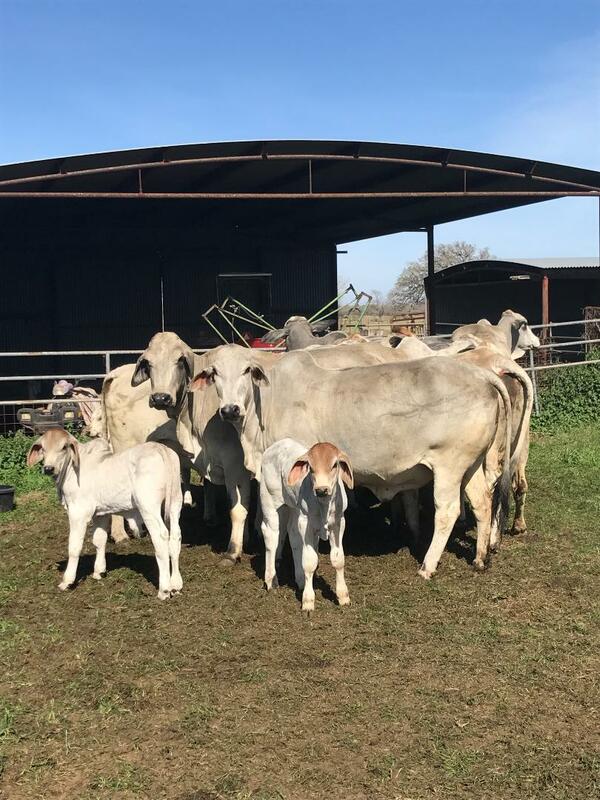 first calf Brahman heifers, calves by Angus bulls. 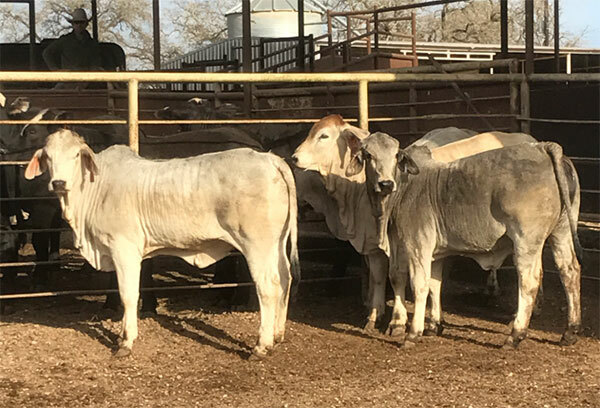 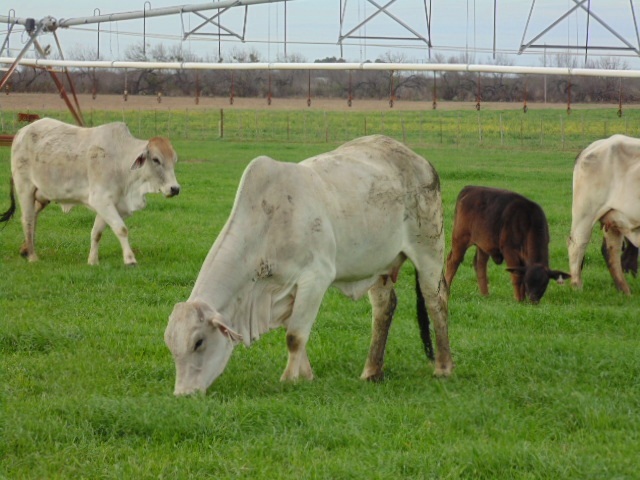 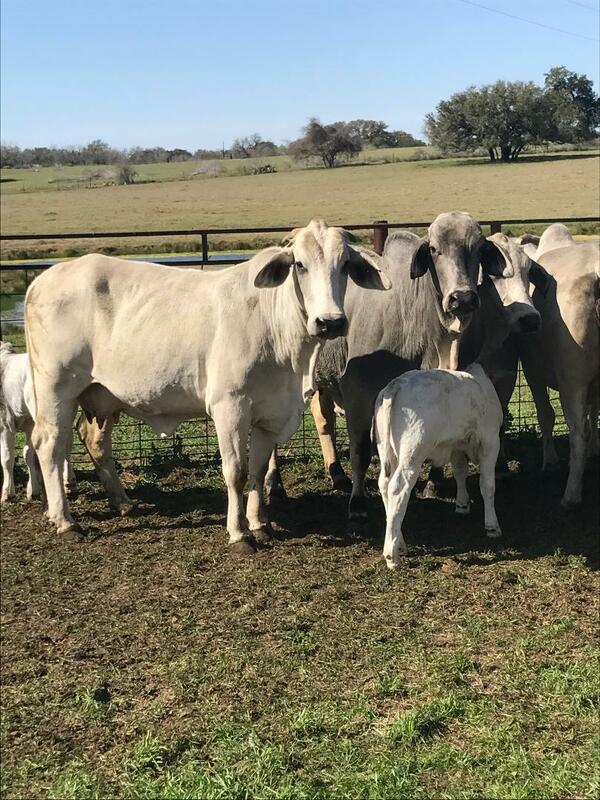 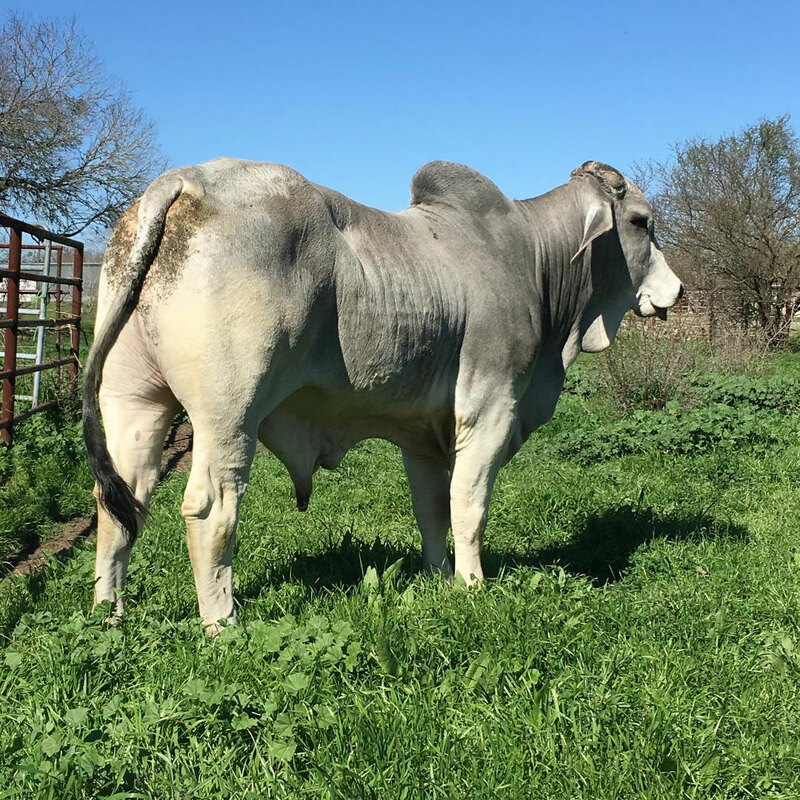 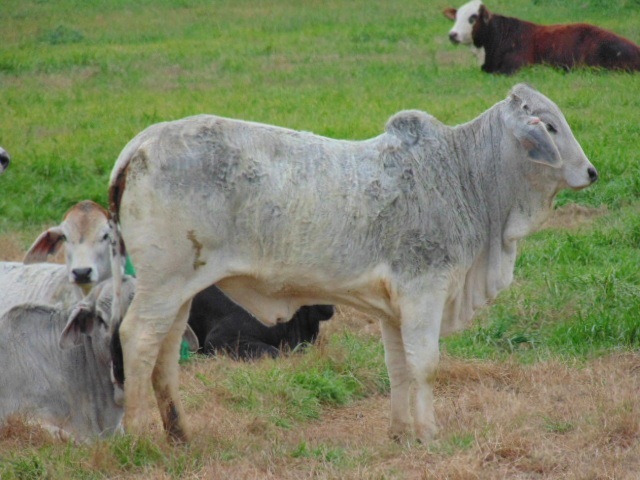 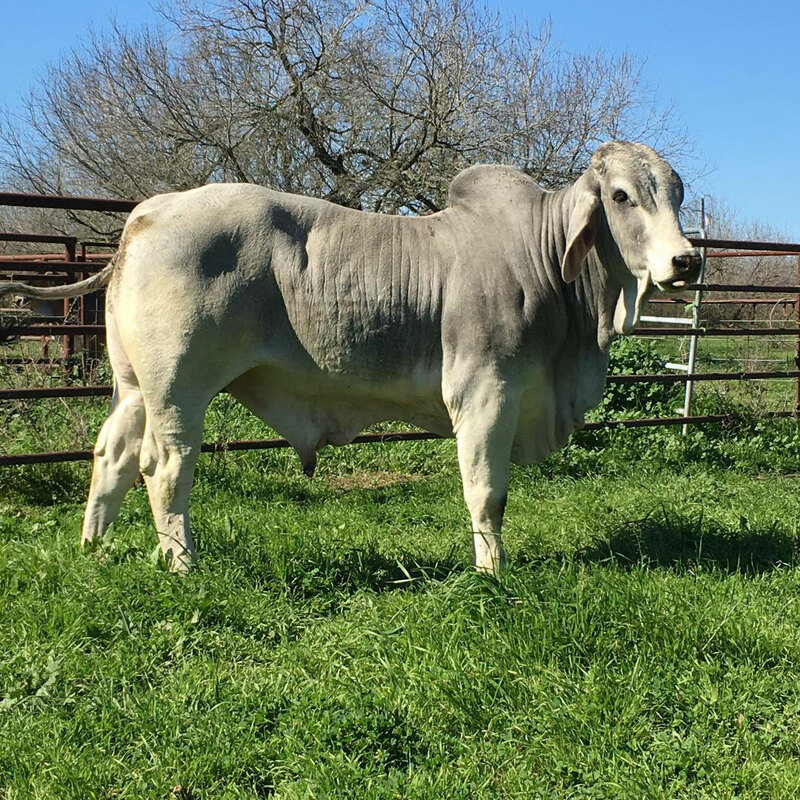 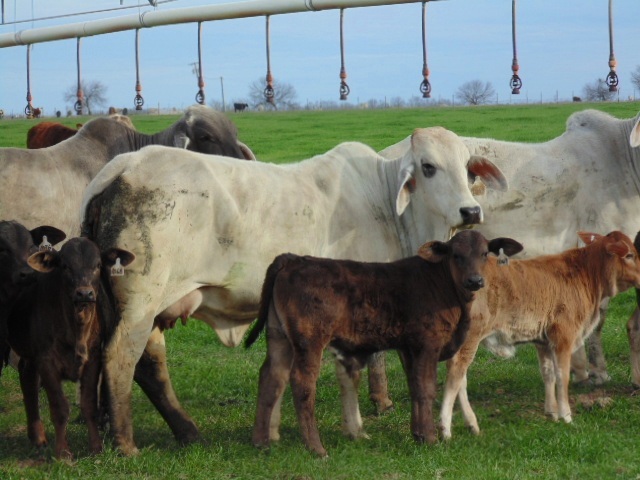 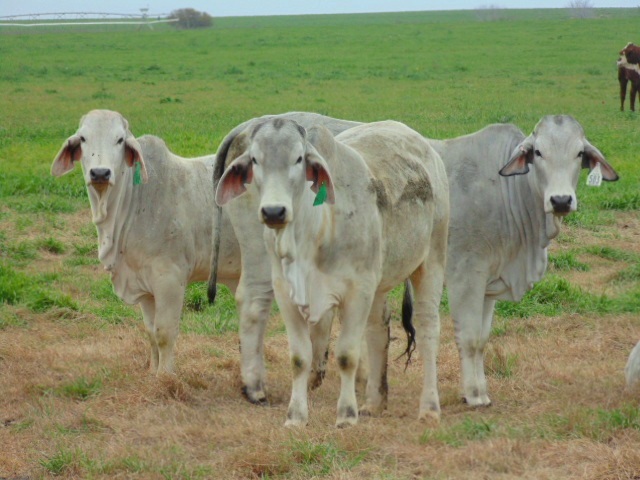 These Brahman heifer pairs have been running on irrigated pasture and will be ready for the bulls for your choice. 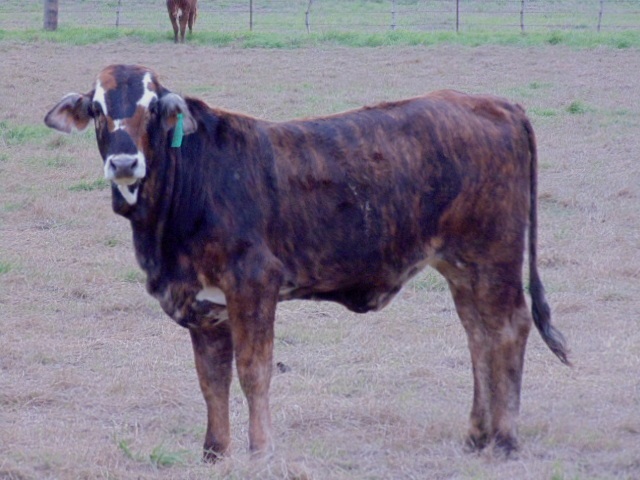 65 hd. 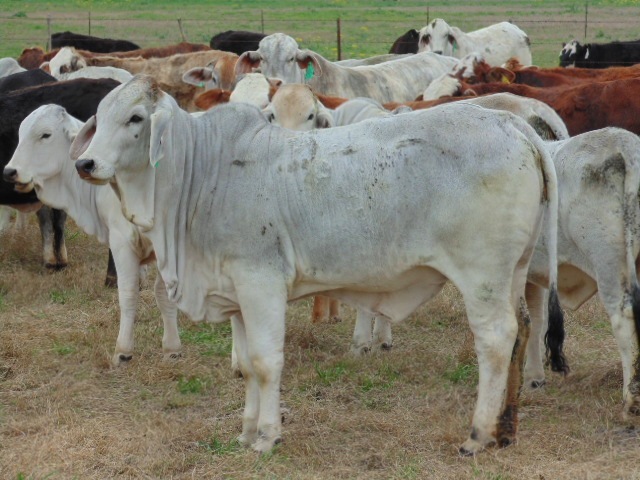 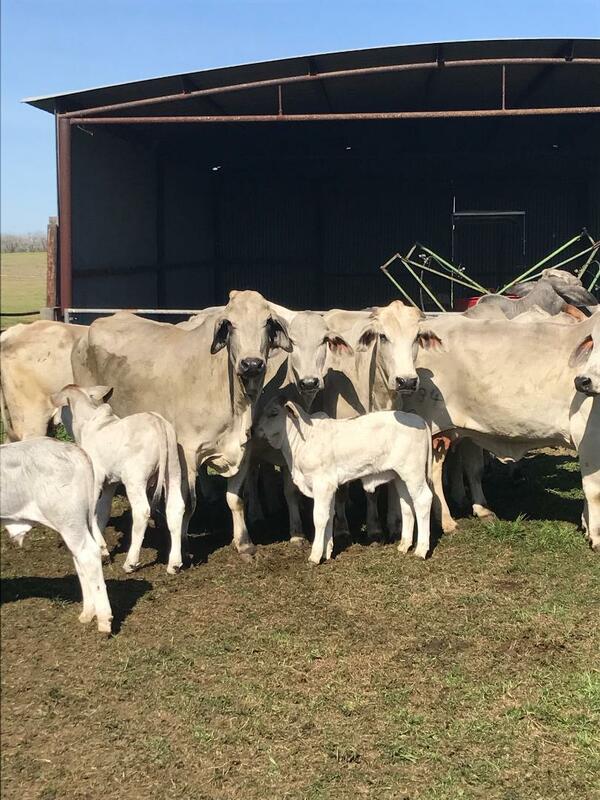 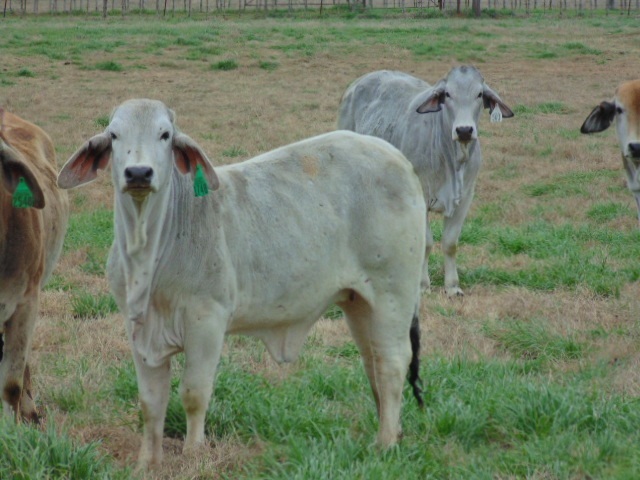 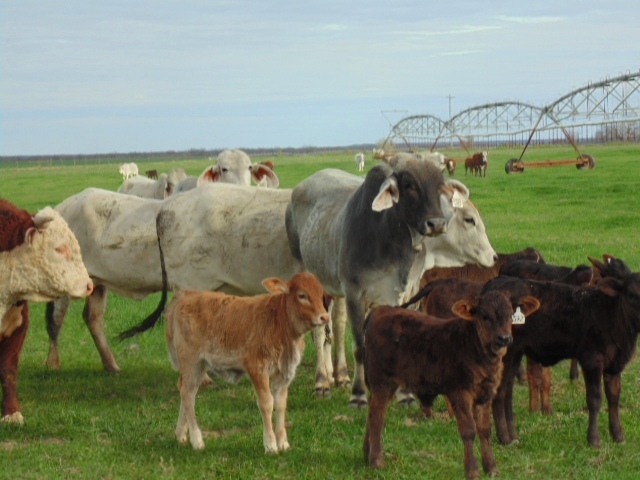 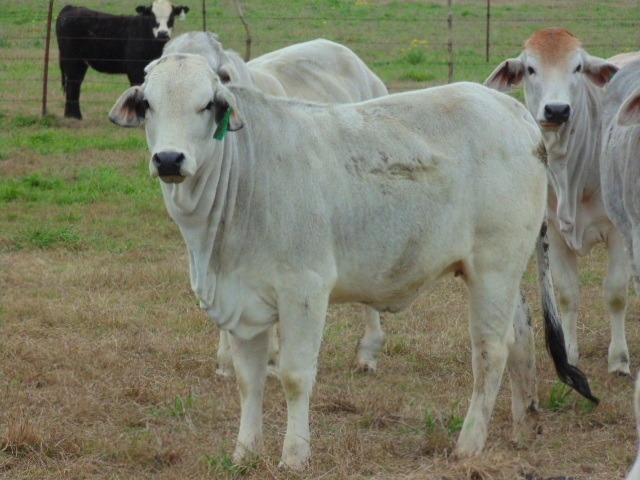 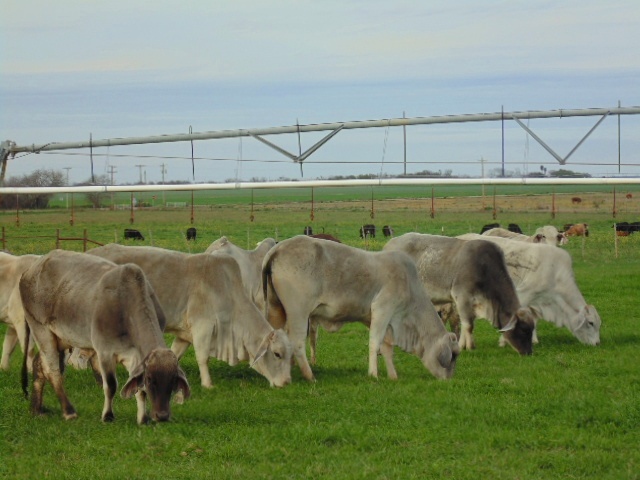 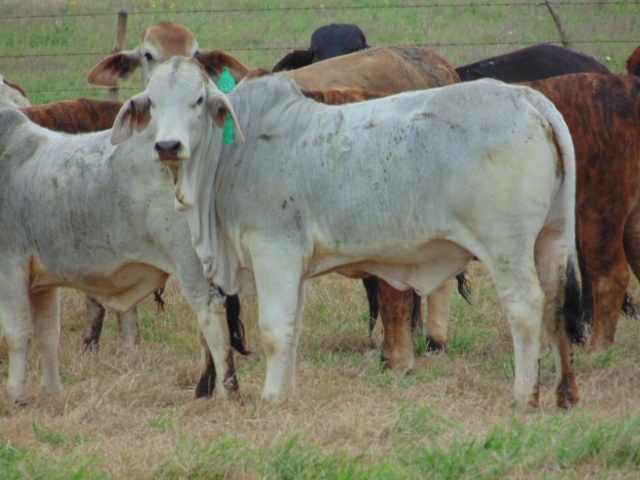 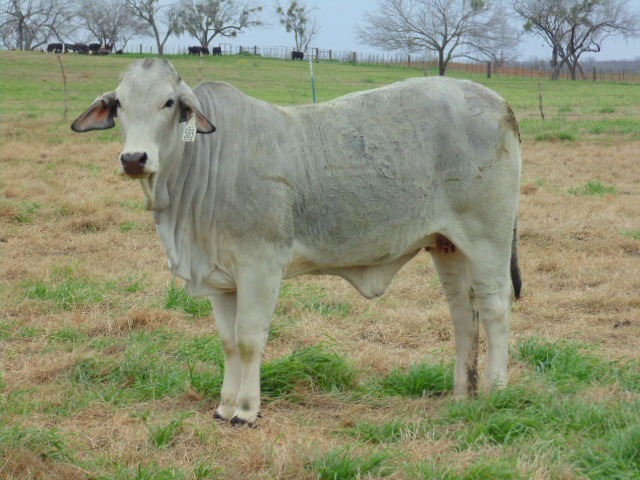 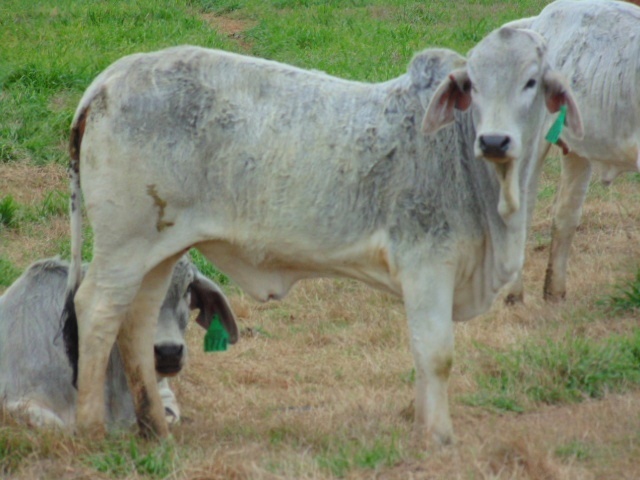 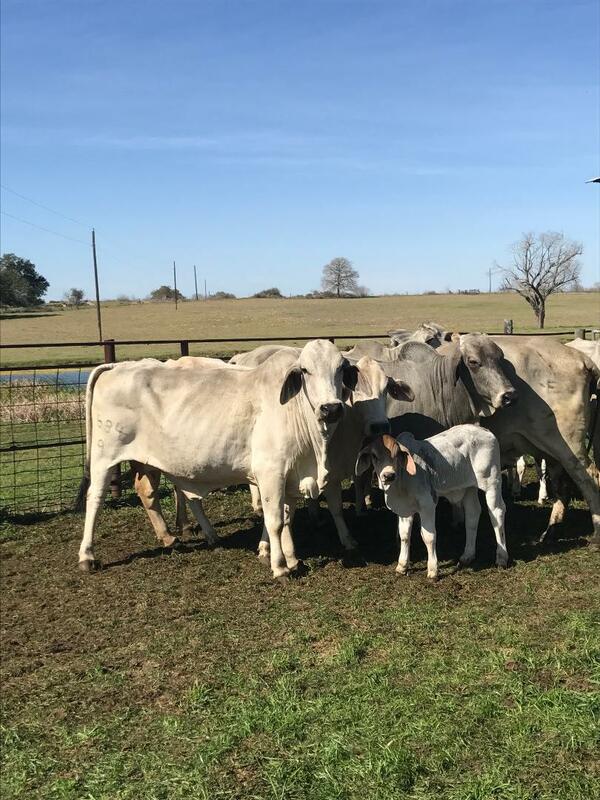 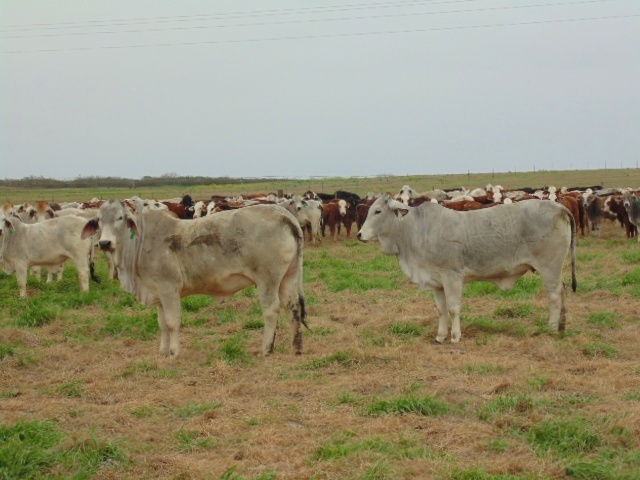 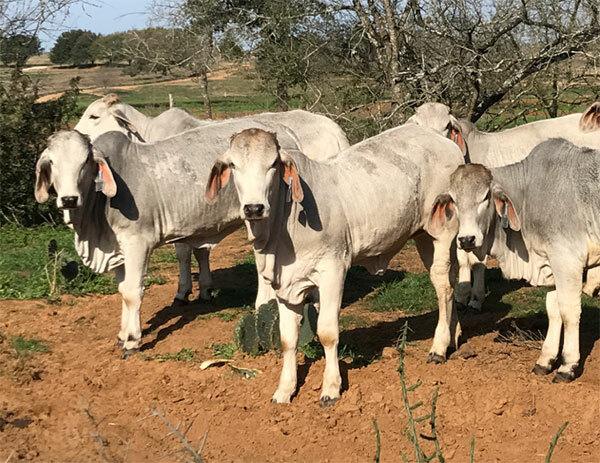 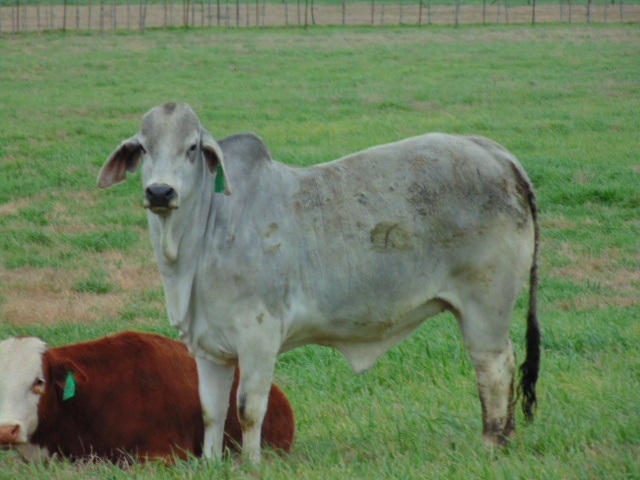 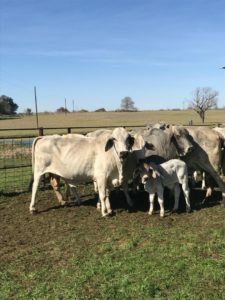 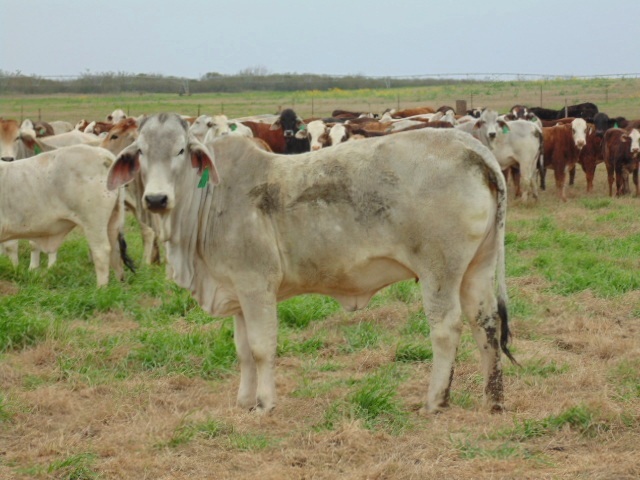 Grey Brahman heifers, out of commercial Brahman cows and sired by Kallion Farms high marbling bulls. 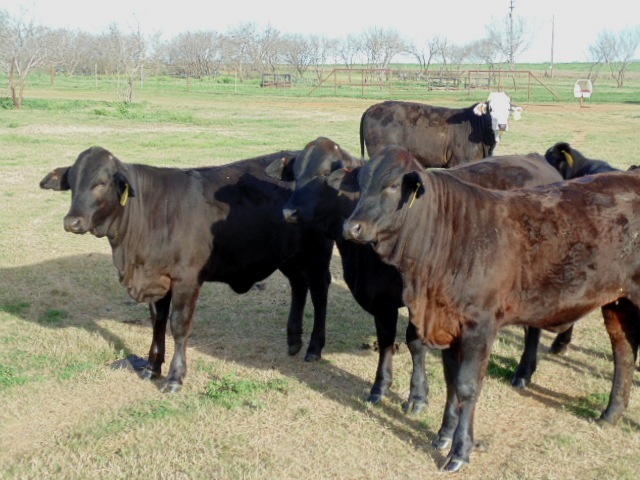 These heifers will weigh 600-800 lbs and will be divided into small uniform groups. 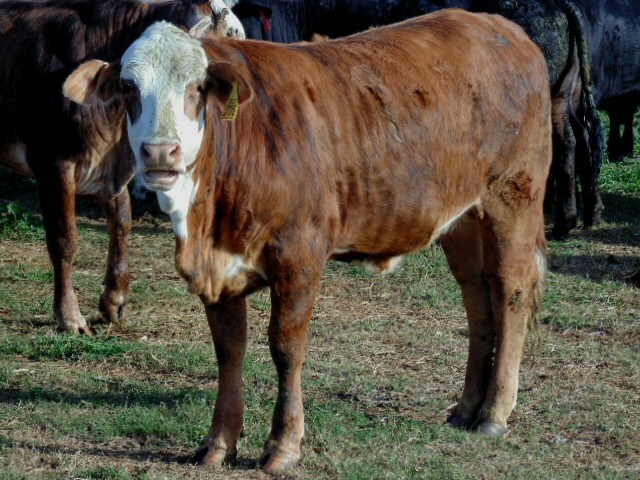 10 hd. 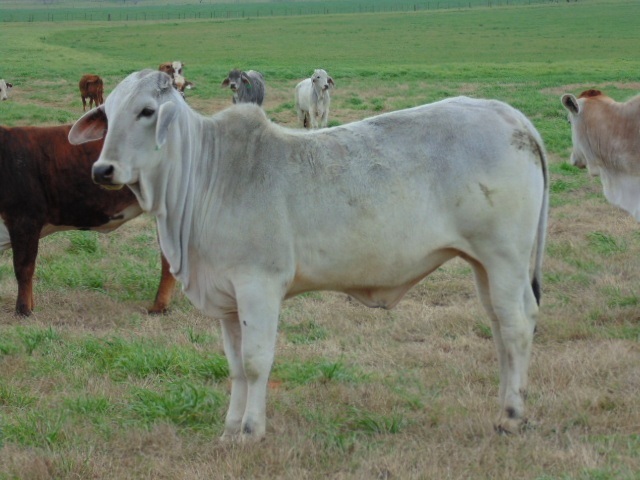 Middle aged commercial Brahman cows, heavy bred to Brahman bulls. 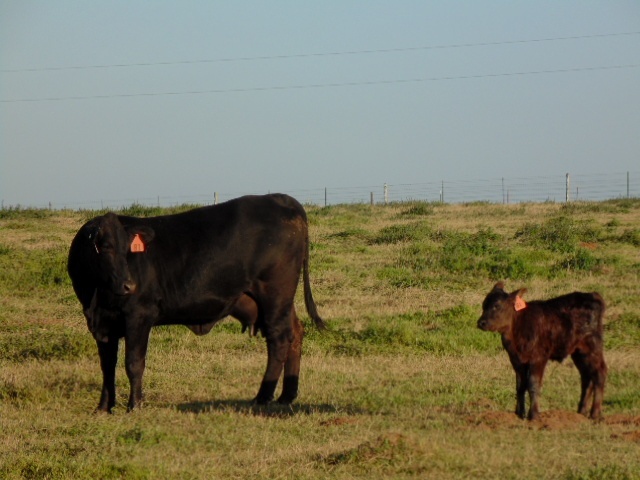 Will have a few calves by sale day. 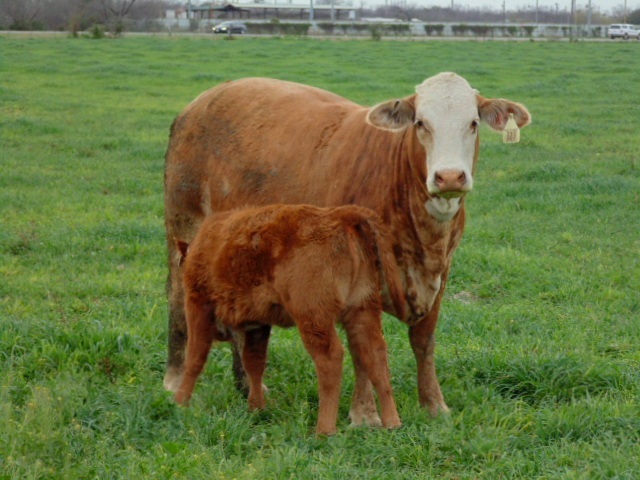 10 hd. 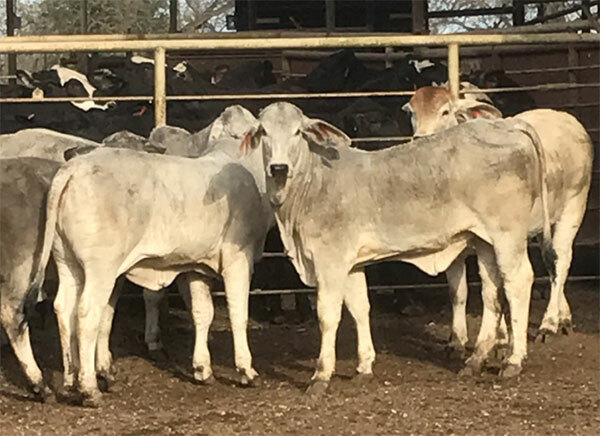 Open Brahman heifers, weighing 650-750 lbs. 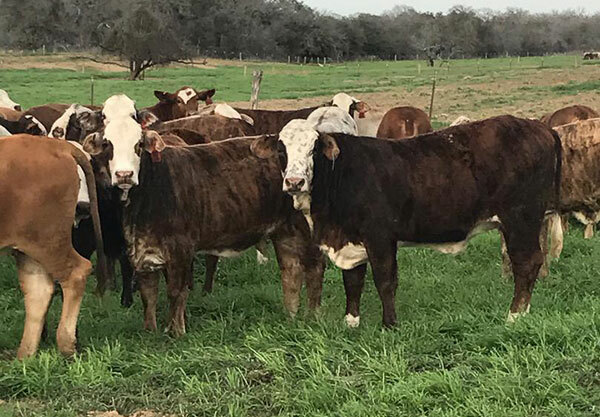 Very fancy set of heifers. 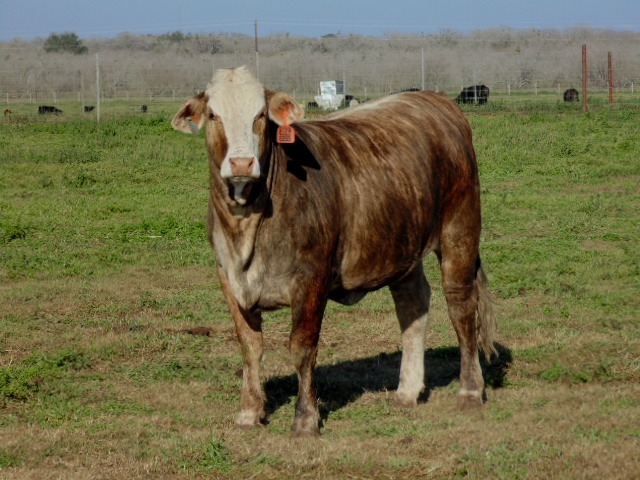 35 hd. 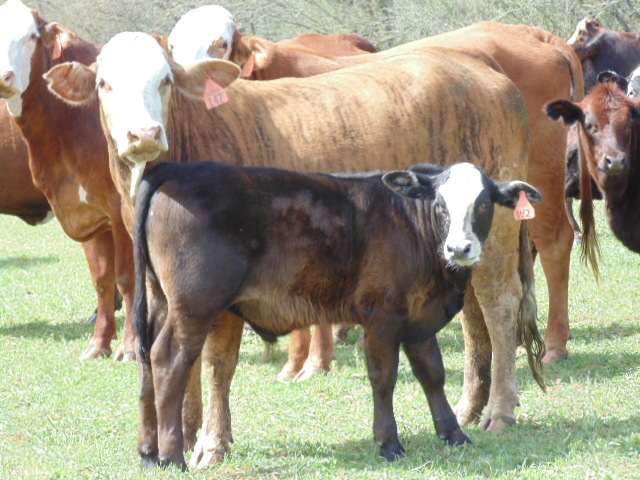 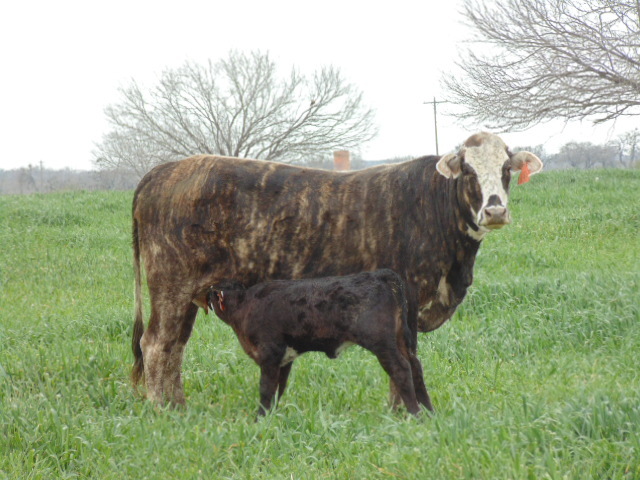 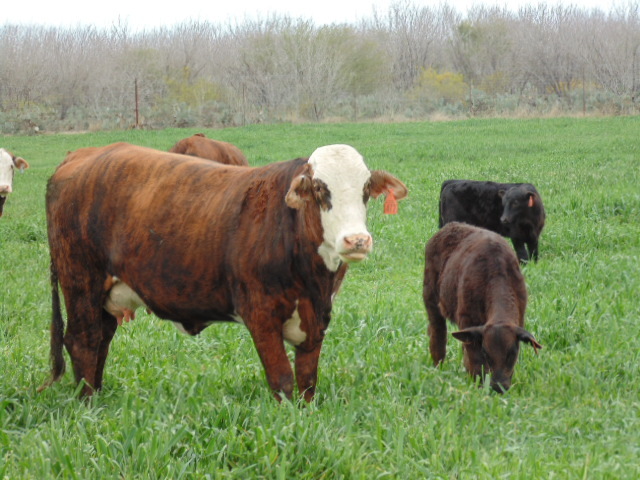 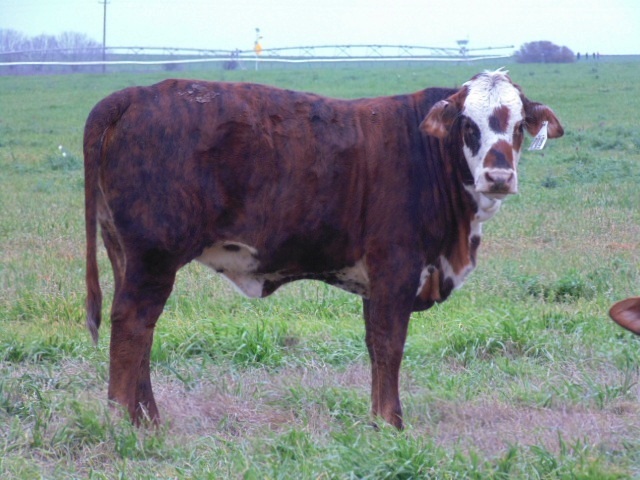 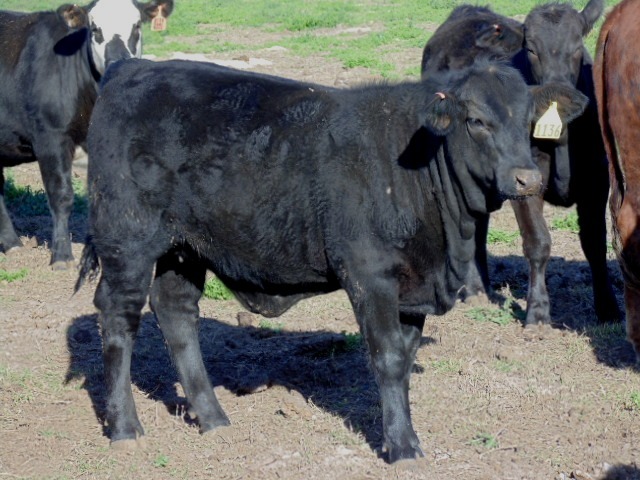 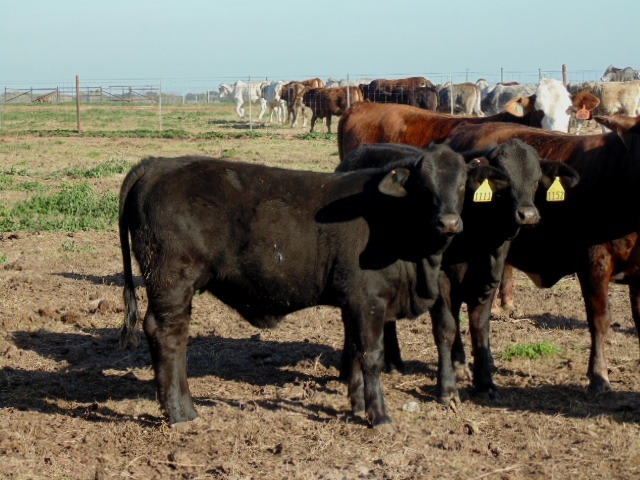 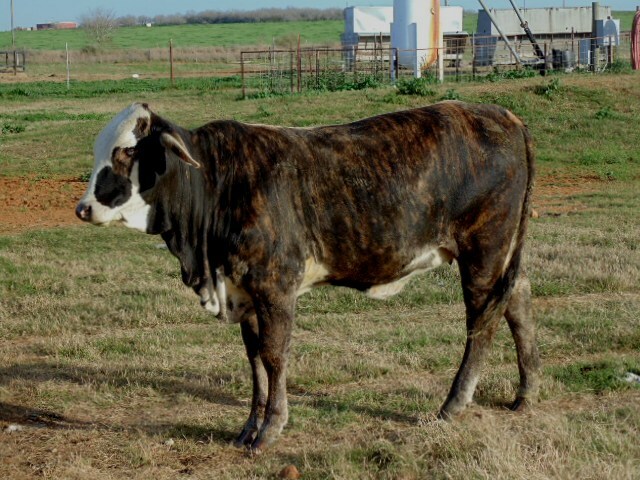 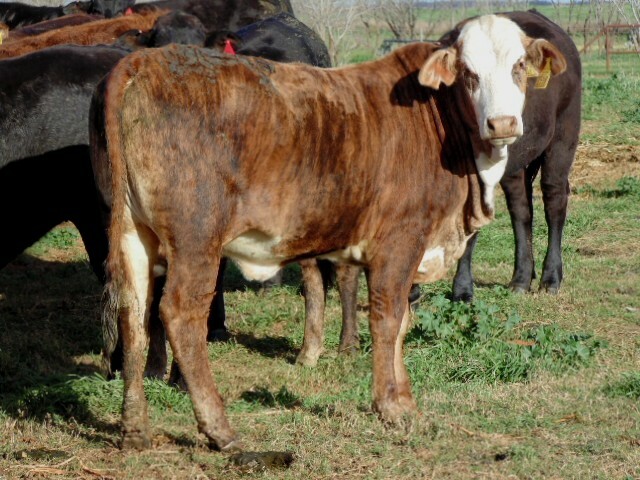 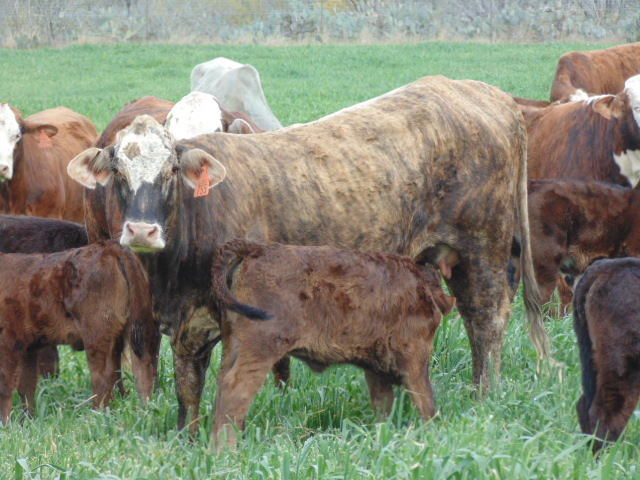 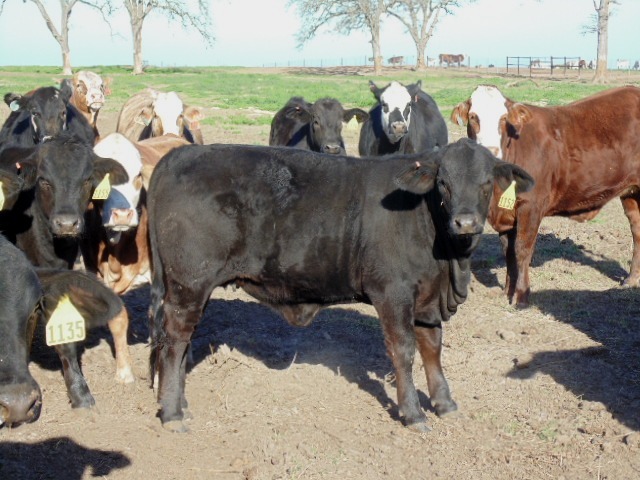 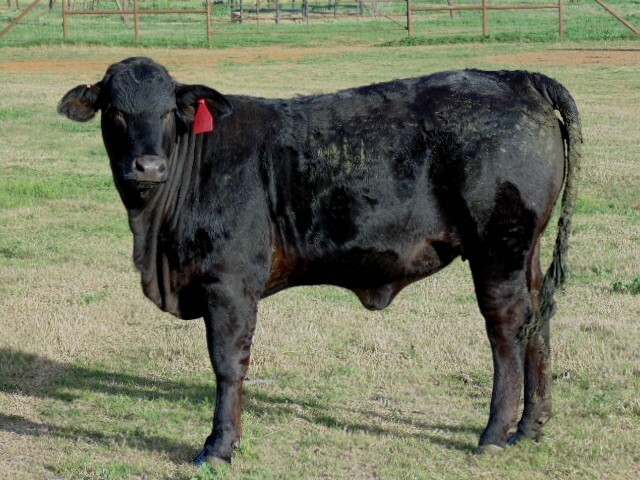 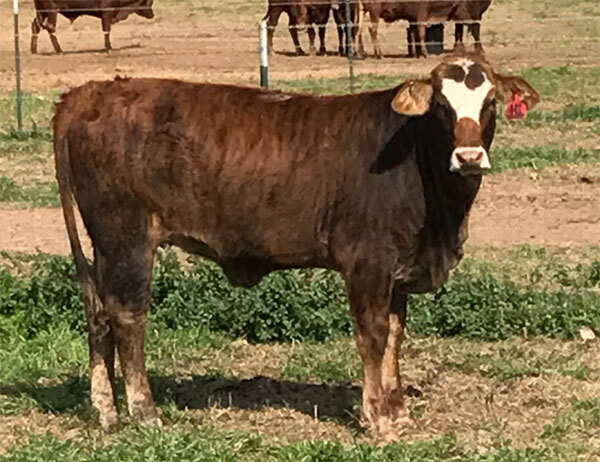 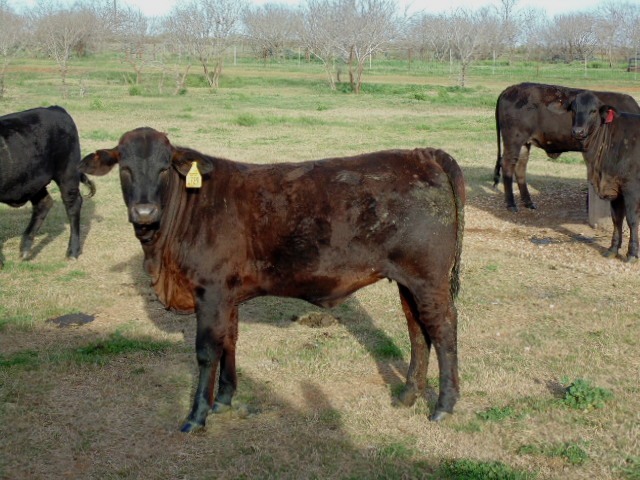 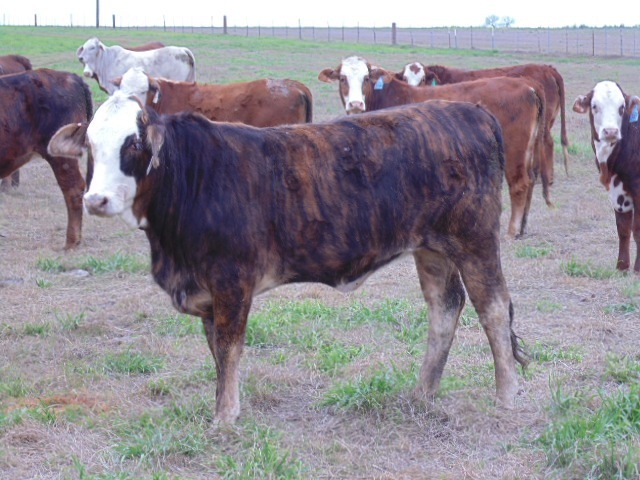 True F1 open Tiger-Stripe and Brown-White face heifers, weighing 650–850 lbs. 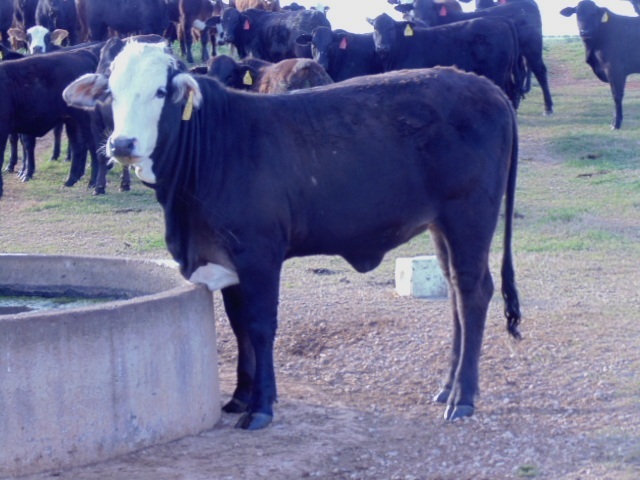 30 hd. 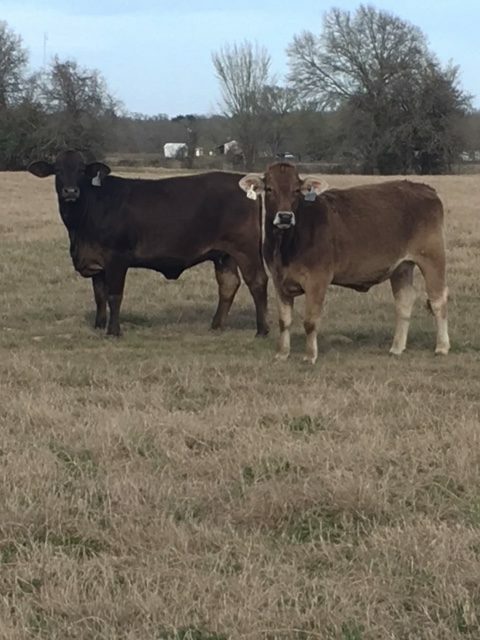 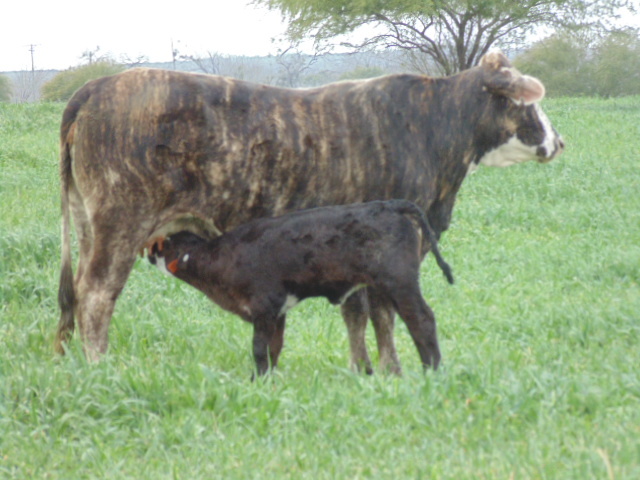 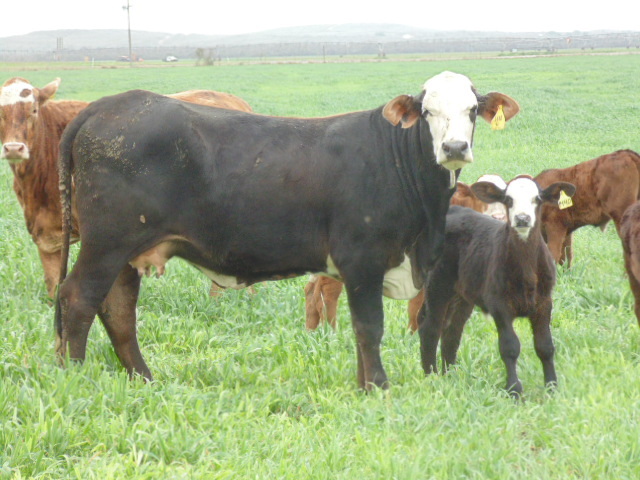 True F1 short and medium bred Tiger-Stripe and Brown-White face heifers. 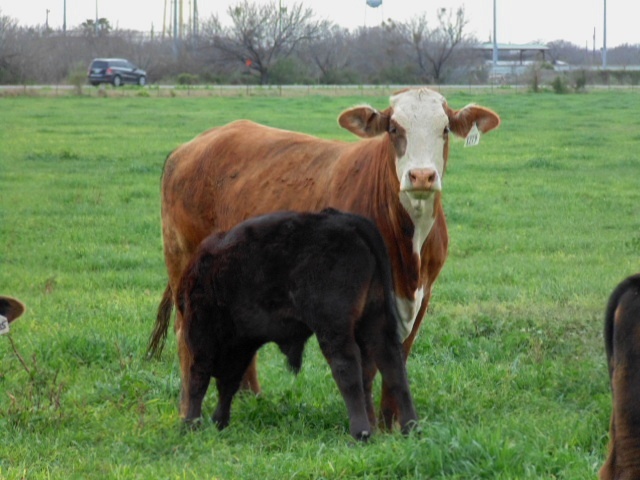 This will be a tremendous set of Fall calving heifers. 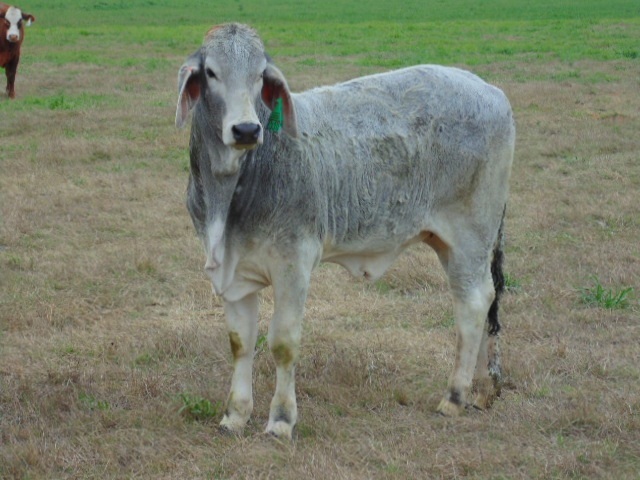 20 hd. 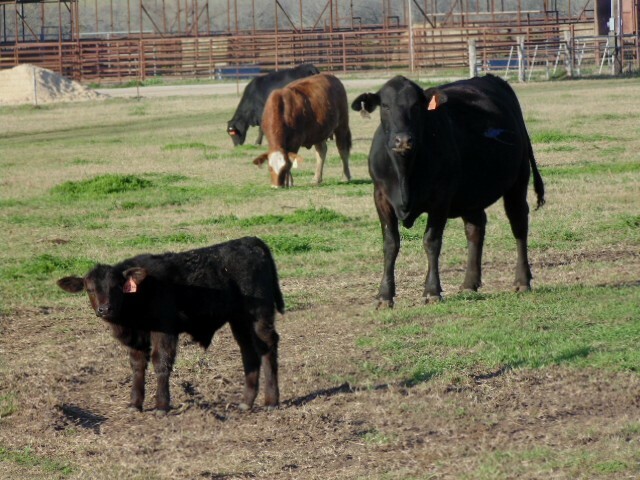 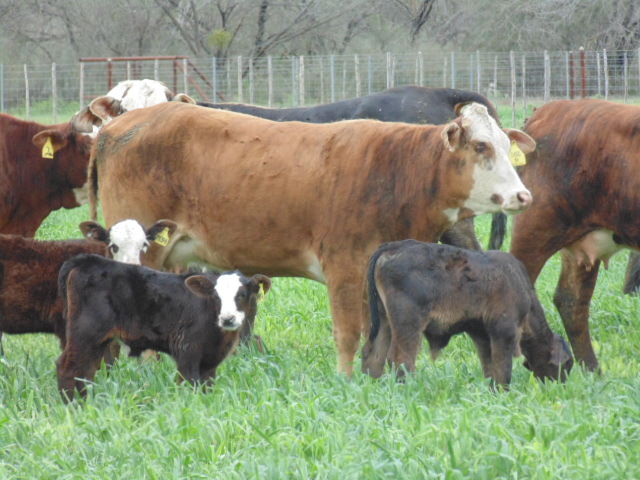 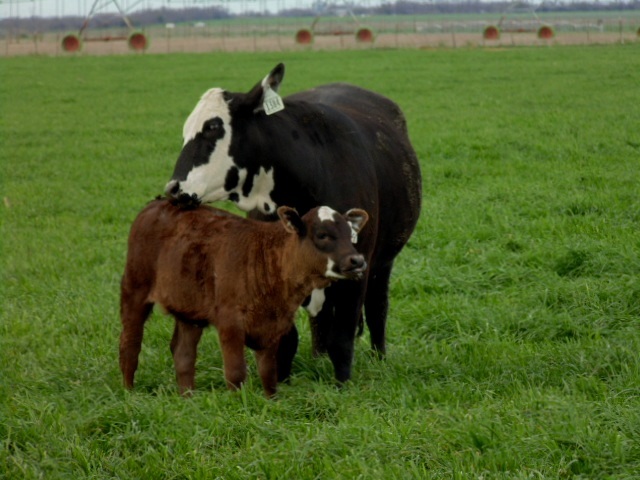 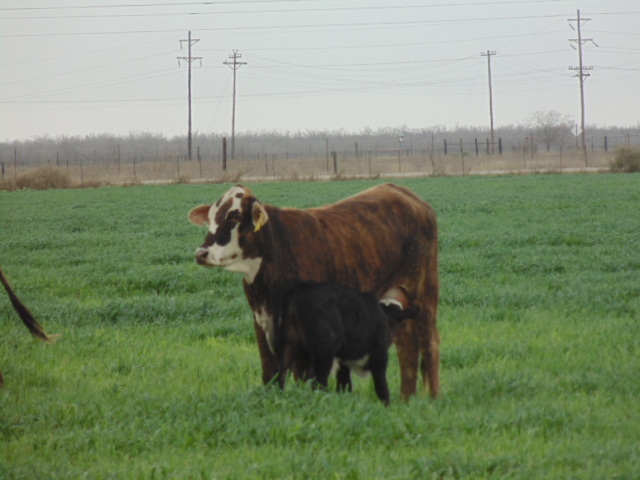 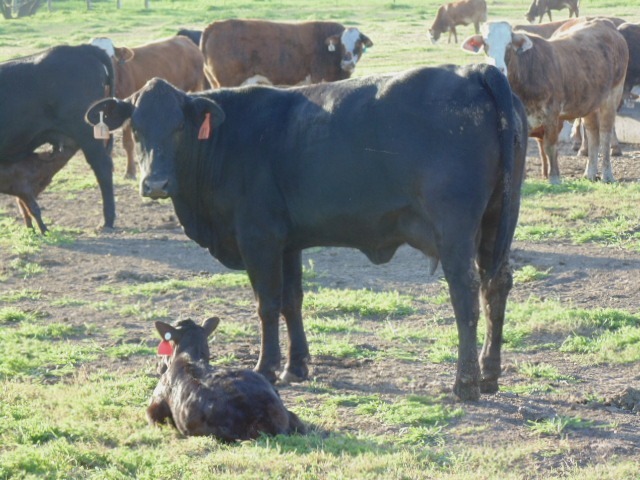 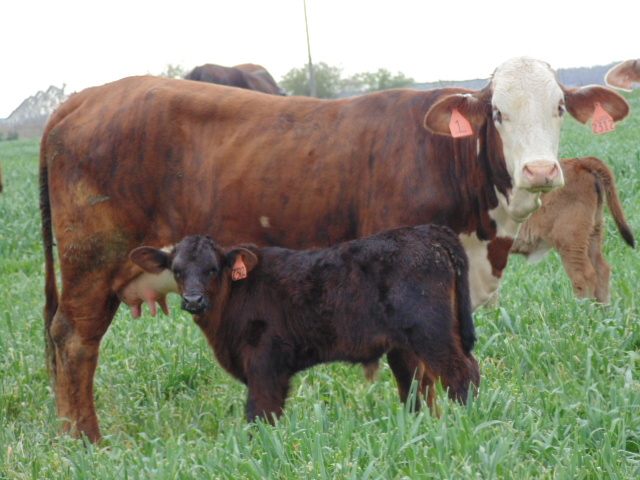 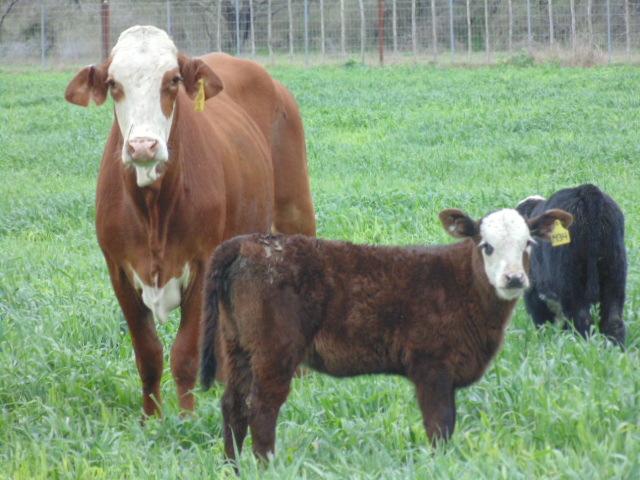 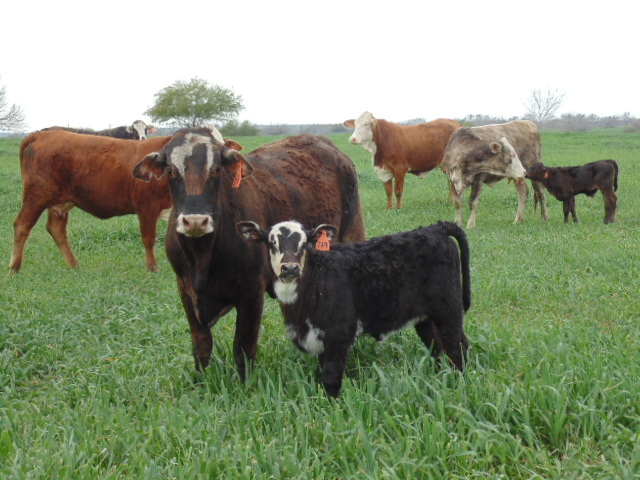 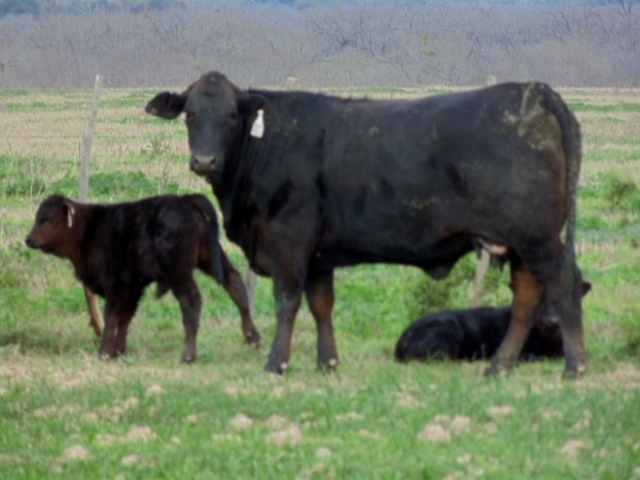 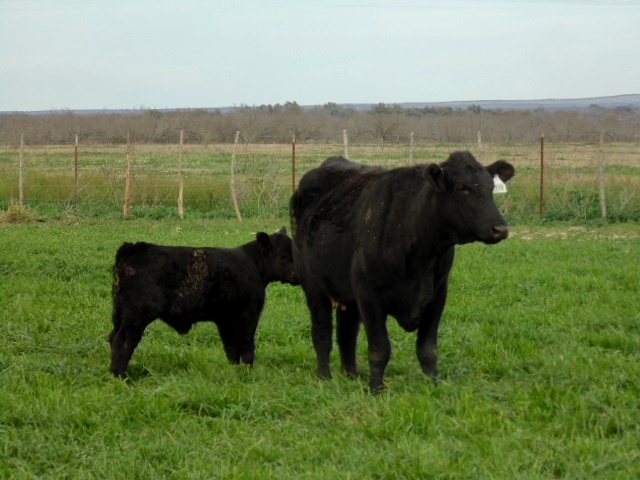 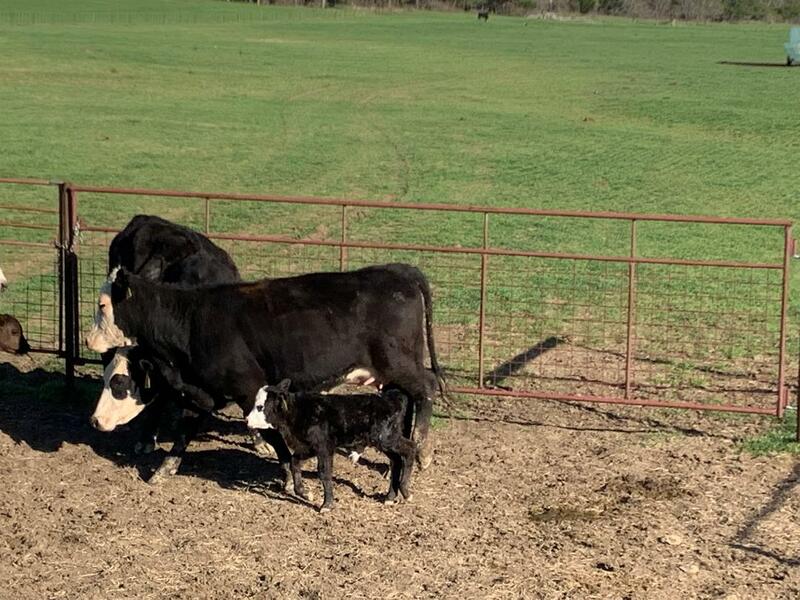 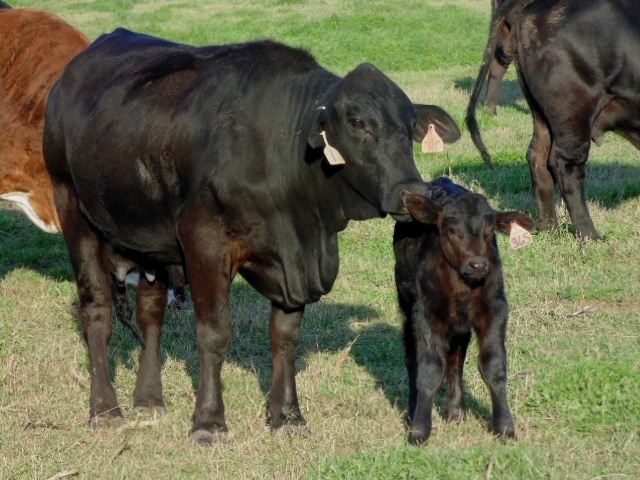 First calf Brangus heifer pairs, calves by Angus bulls. 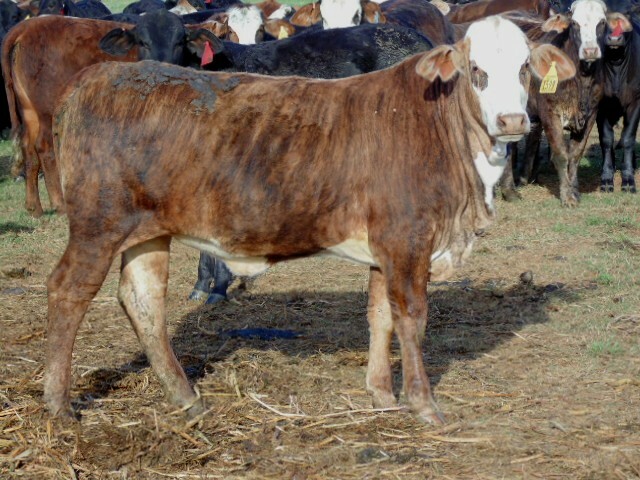 25 hd. 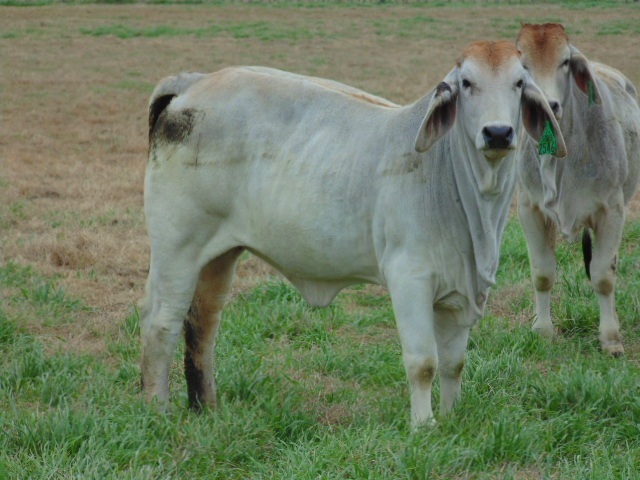 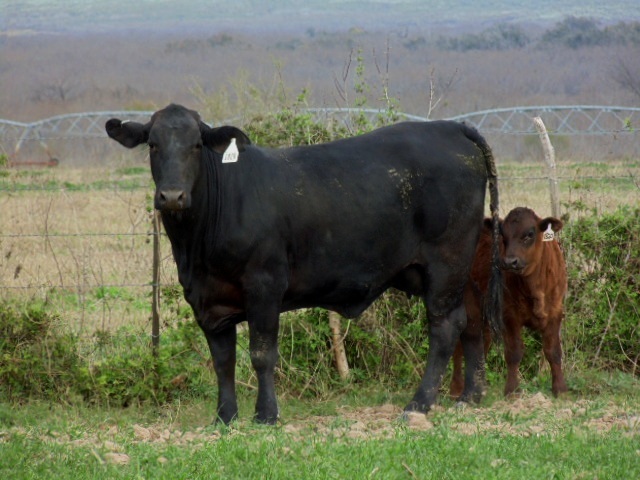 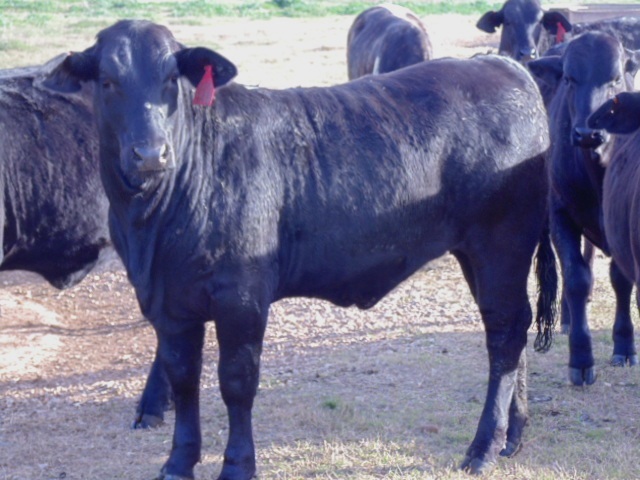 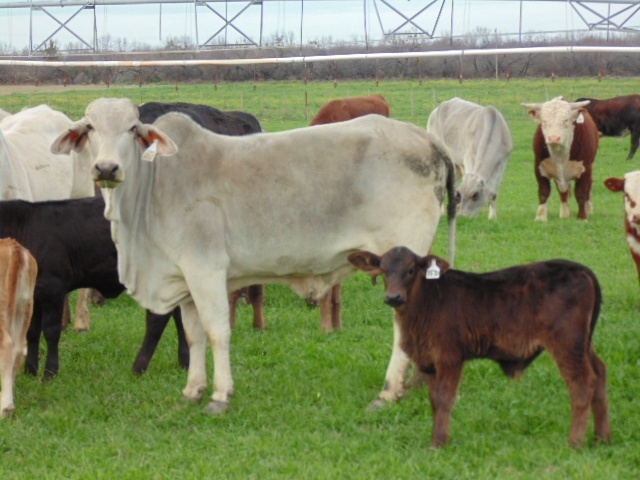 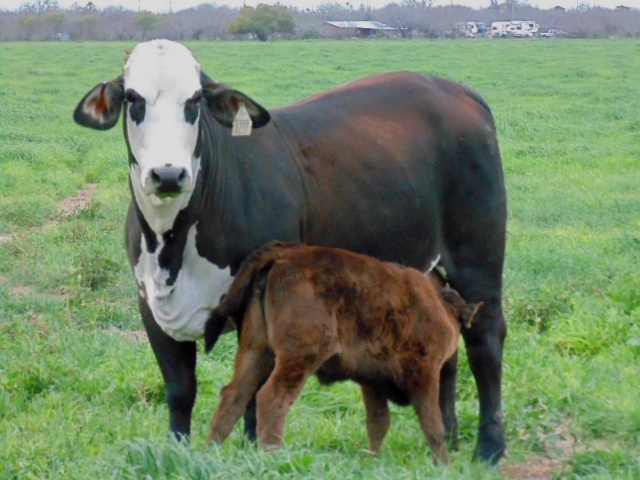 True F1 Brangus heifers, out of Angus cows and sired by Kallion Farms Brahman bulls. 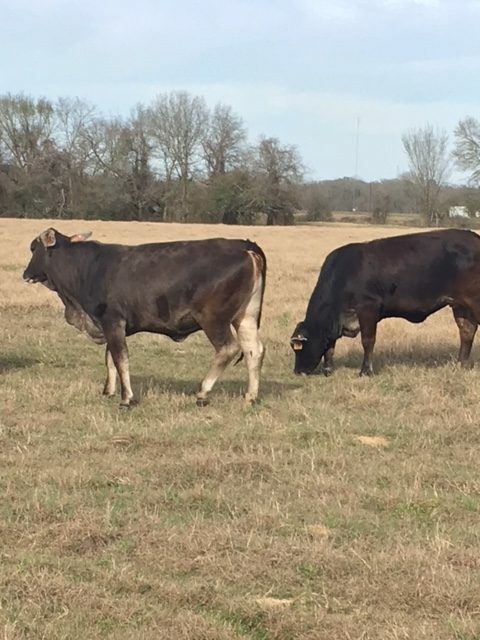 Big growthy heifers that are cycling and will be ready for the bulls of your choice. 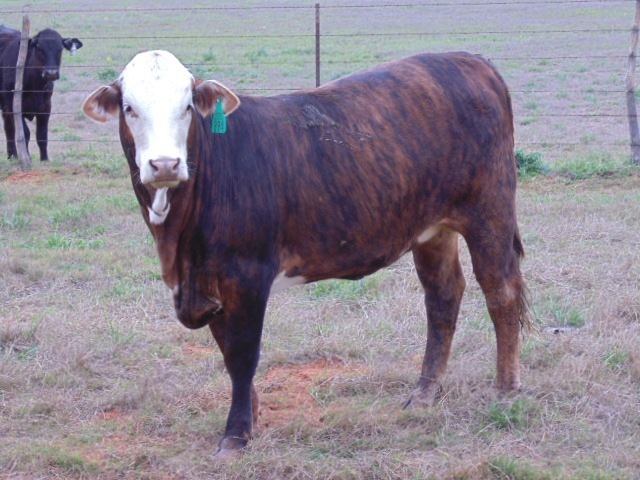 25 hd. 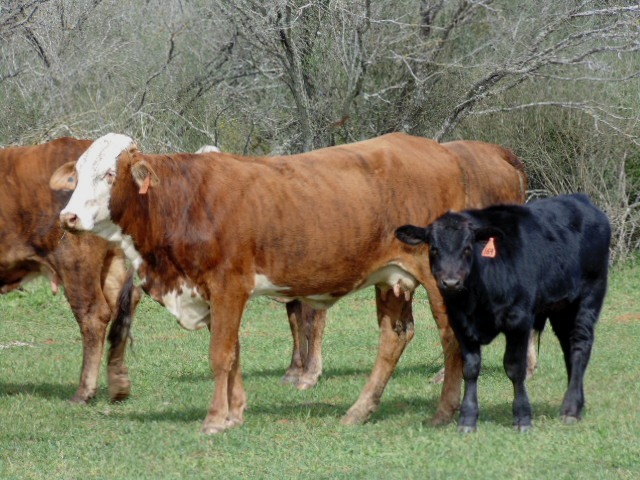 True F1 Brangus heifers, weighing 700-800 lbs. 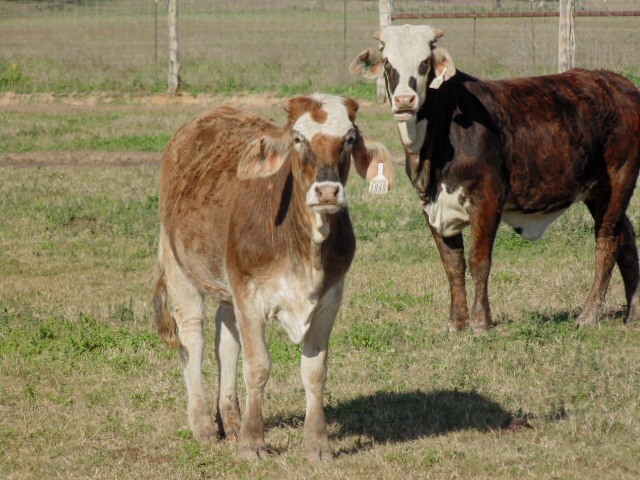 These heifers are out of Angus cows and registered Brahman bulls, very fancy. 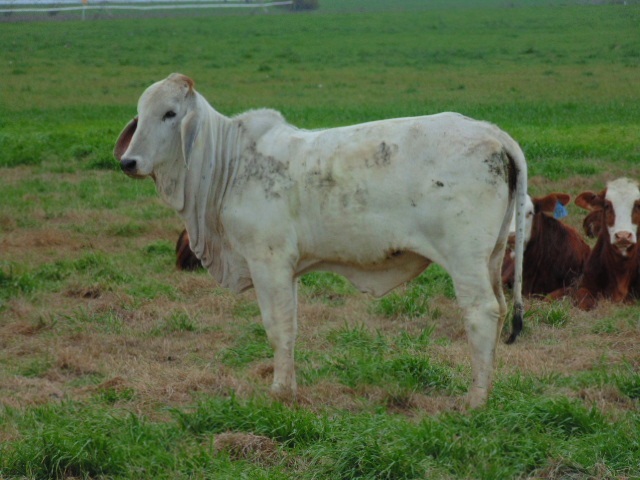 30 hd. 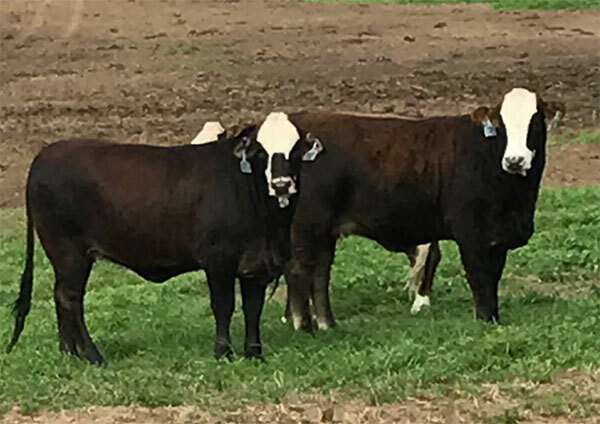 True F1 Tiger- Stripe and Brown-White face heifers, these heifers weigh 650-750 lbs. 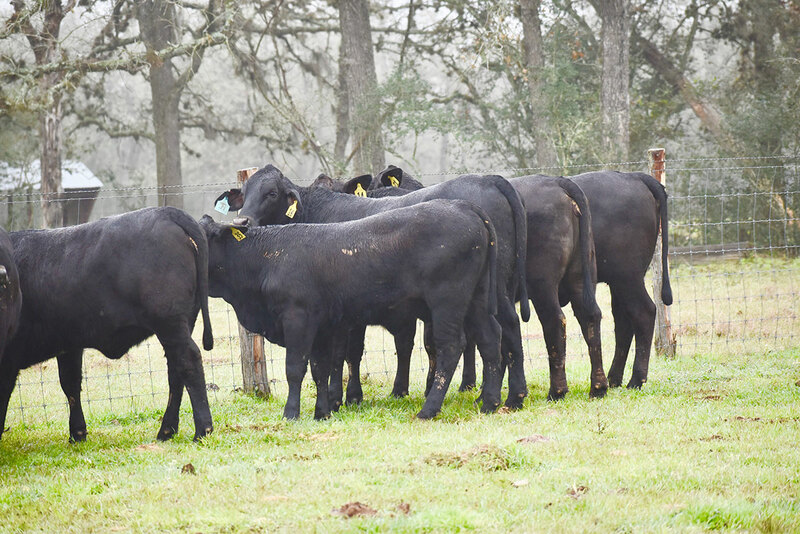 They have all been to cutting school, and will be divided into small uniform groups. 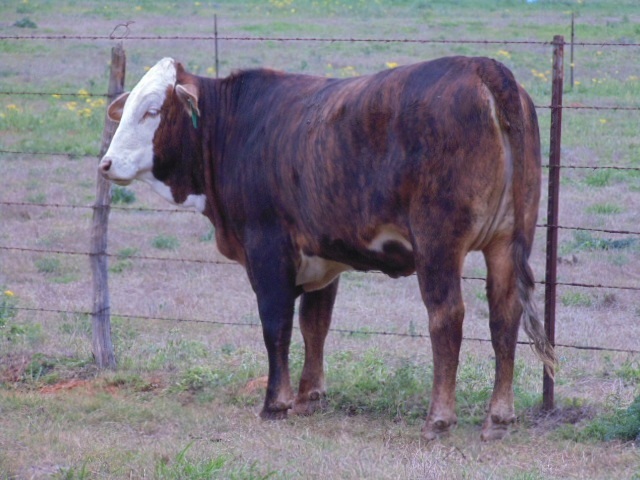 97 hd. 3/8 Hereford 5/8 Brahman heifers. 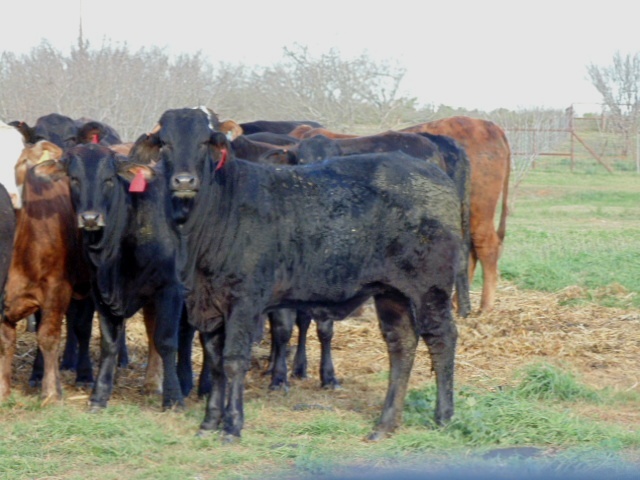 These heifers have been exposed for 90 days to Trinity River LBW Red Angus bulls. 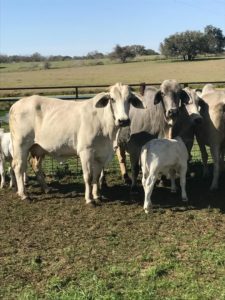 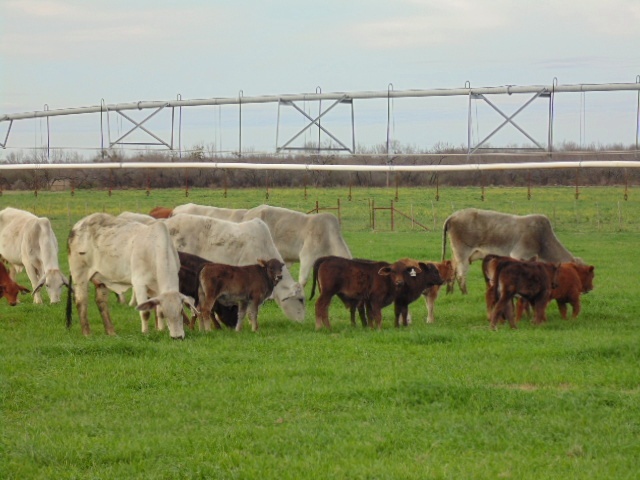 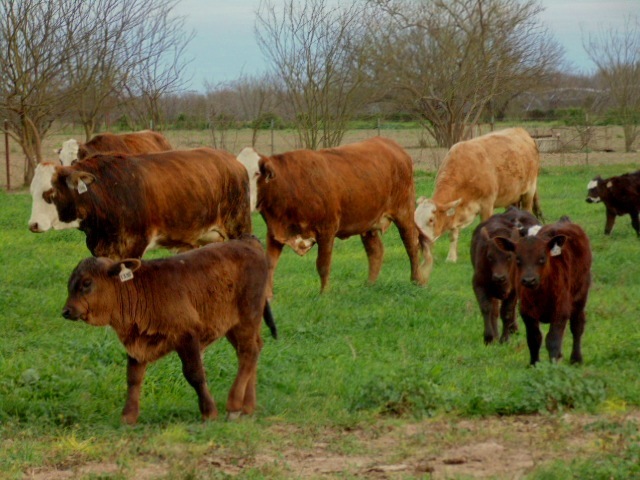 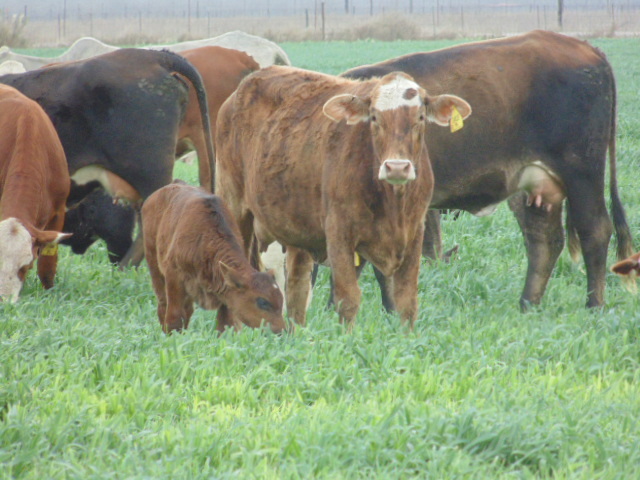 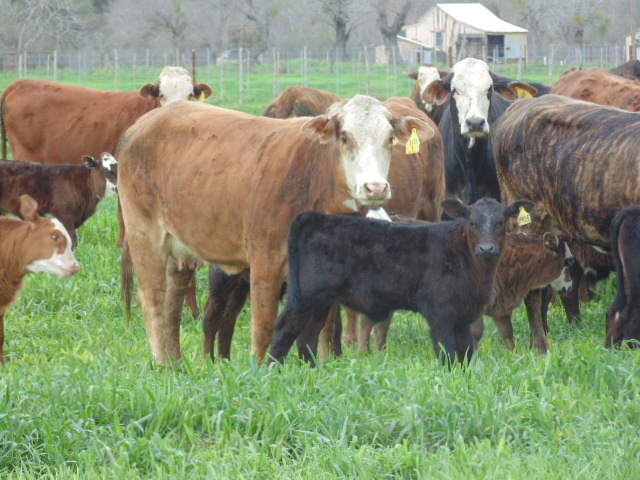 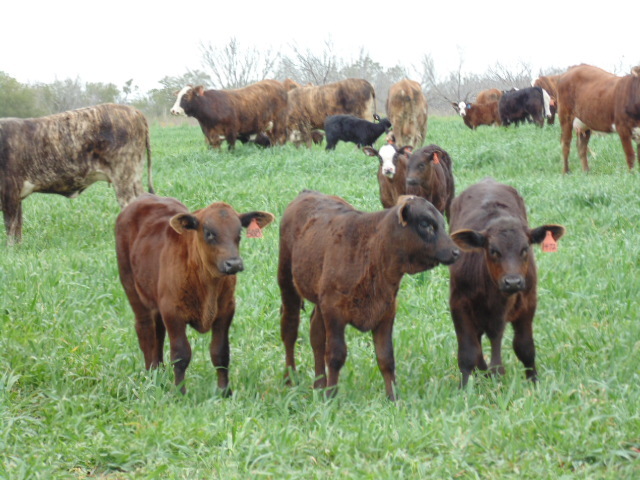 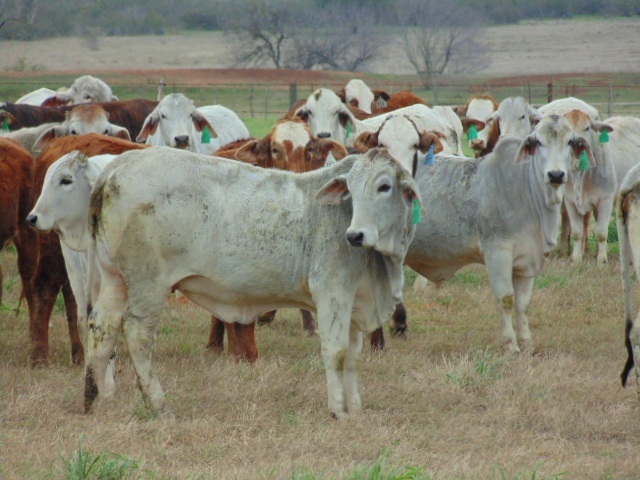 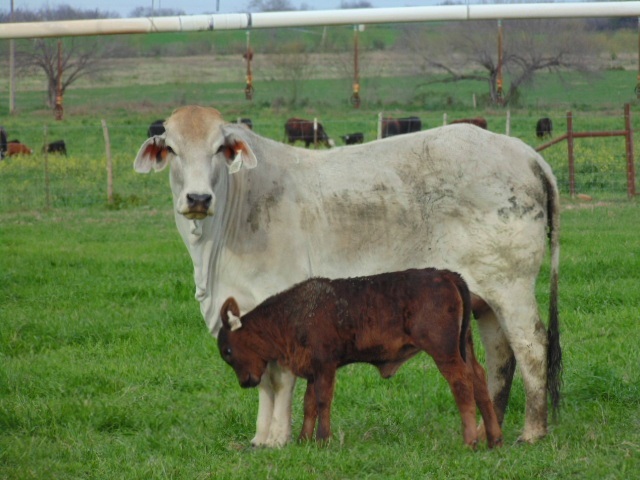 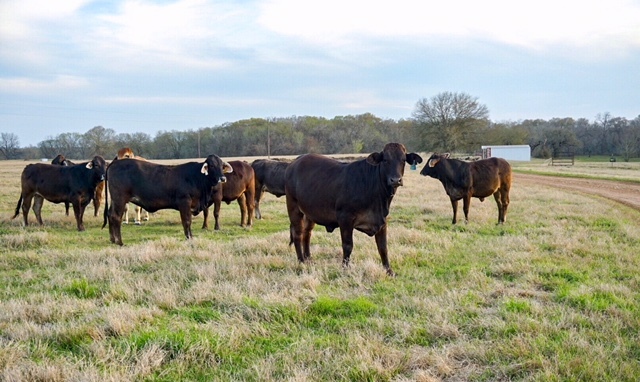 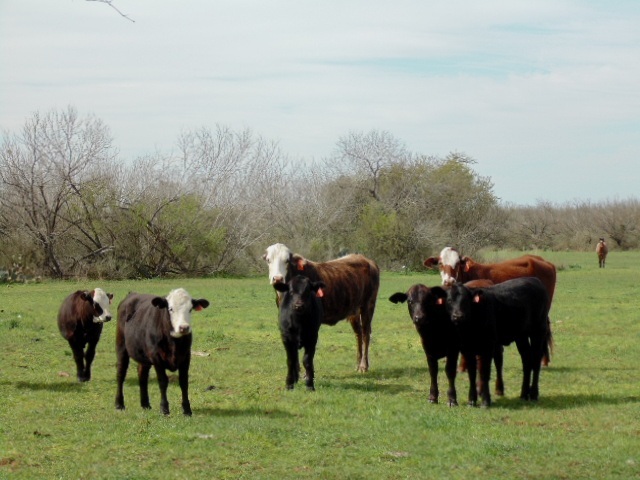 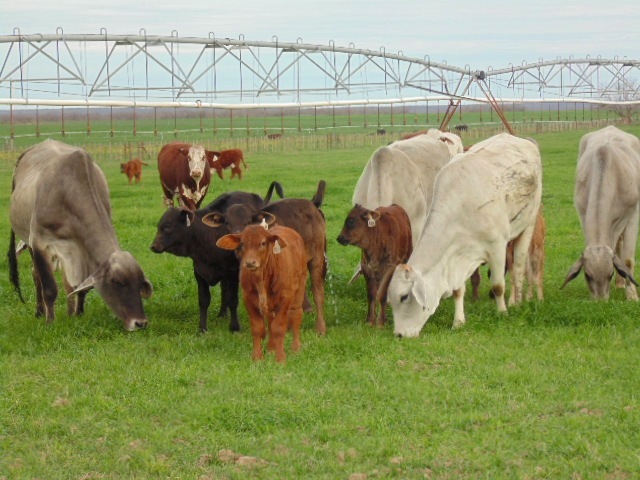 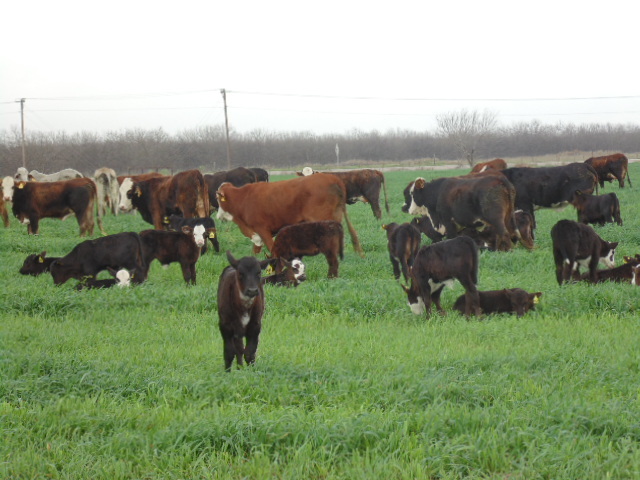 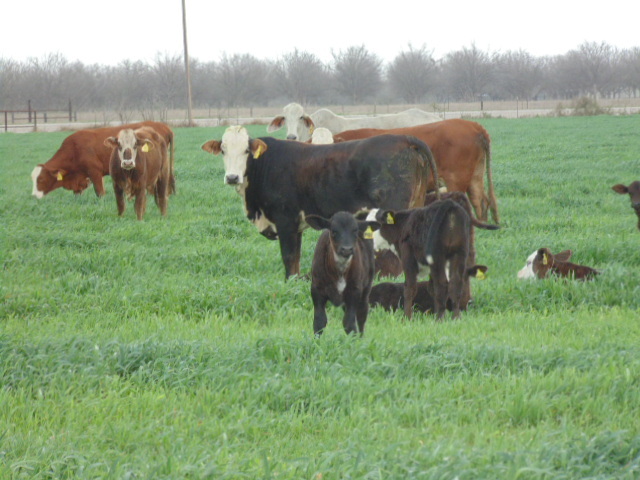 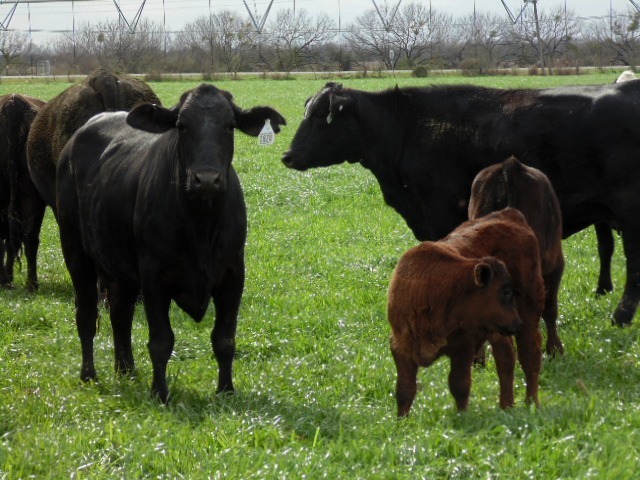 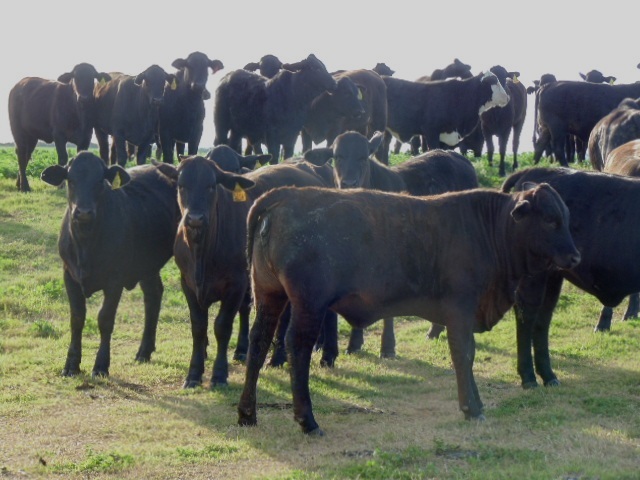 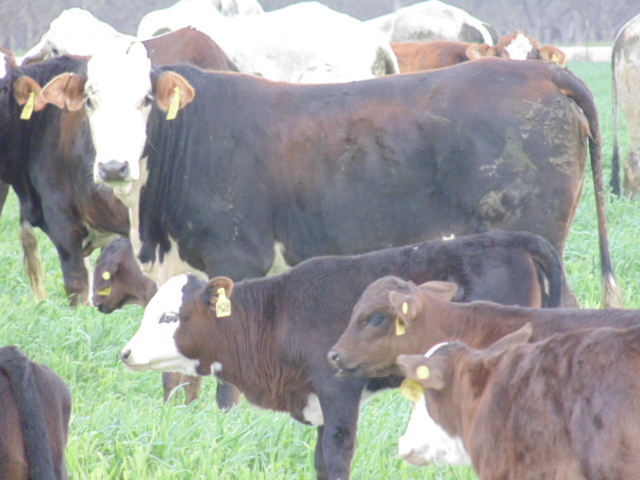 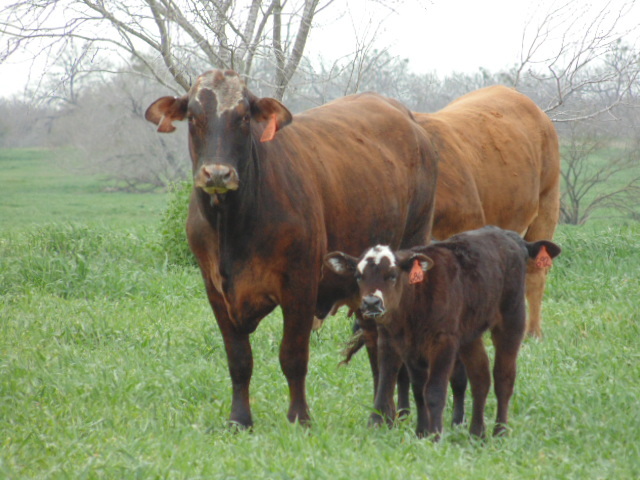 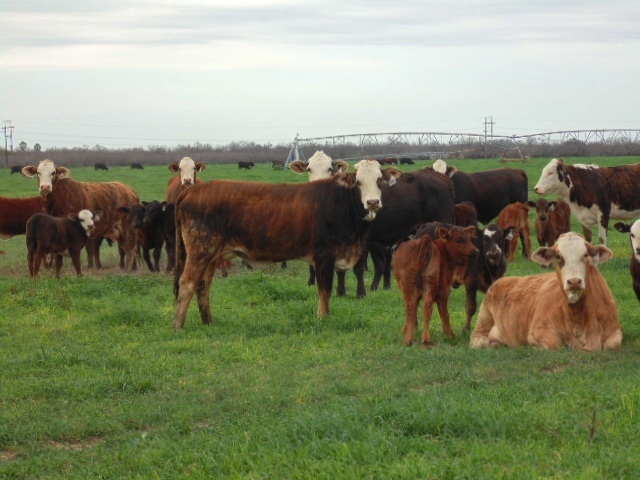 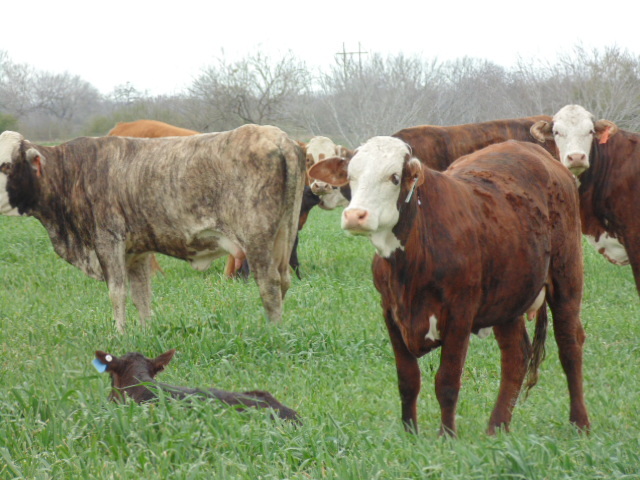 These heifers are all out of McCahan Ranch bred cows and Kallion Farms Brahman bulls. 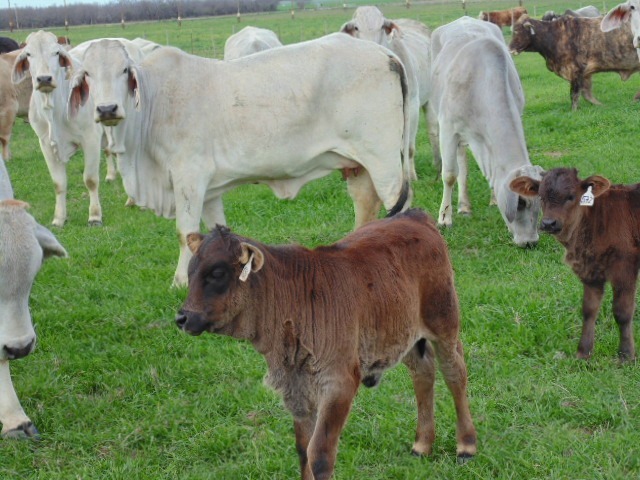 10 hd. 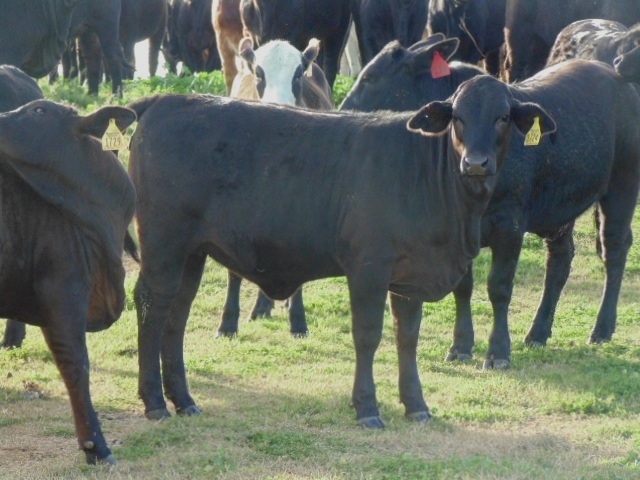 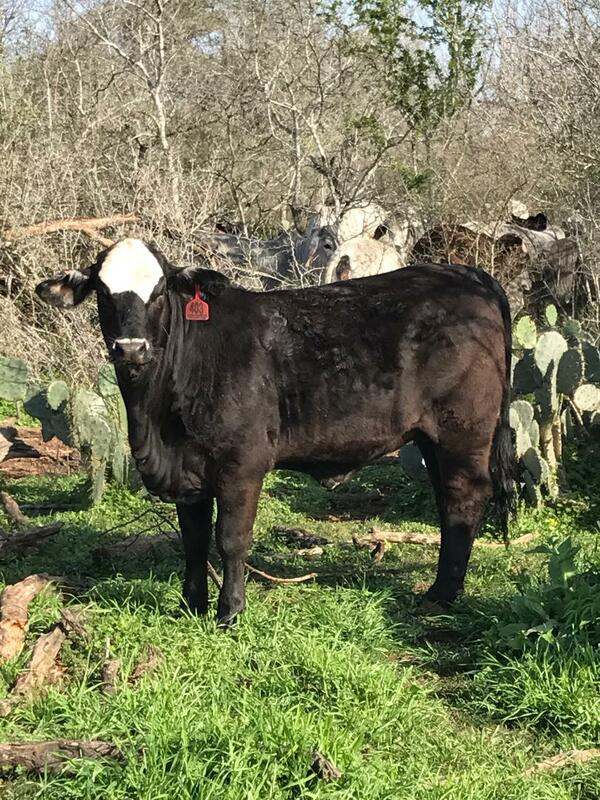 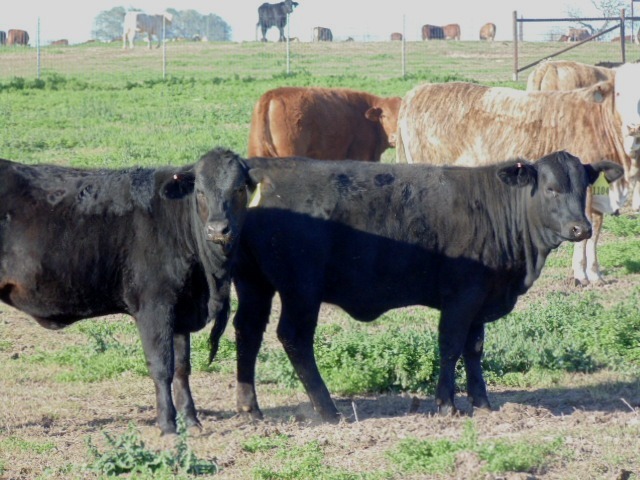 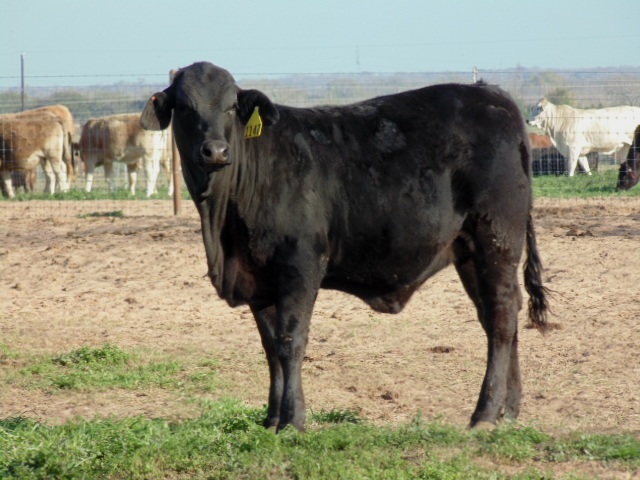 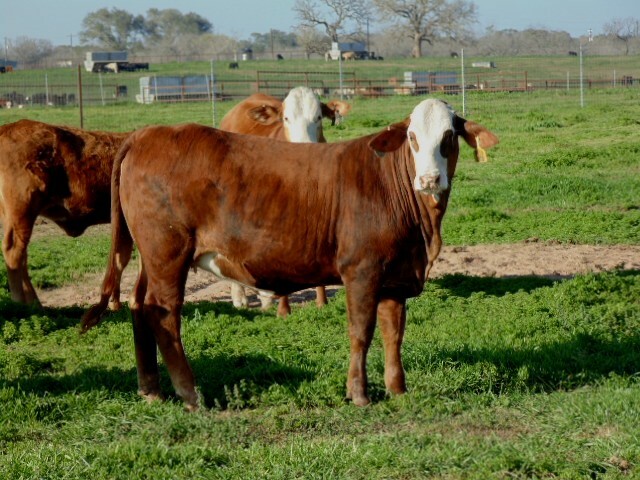 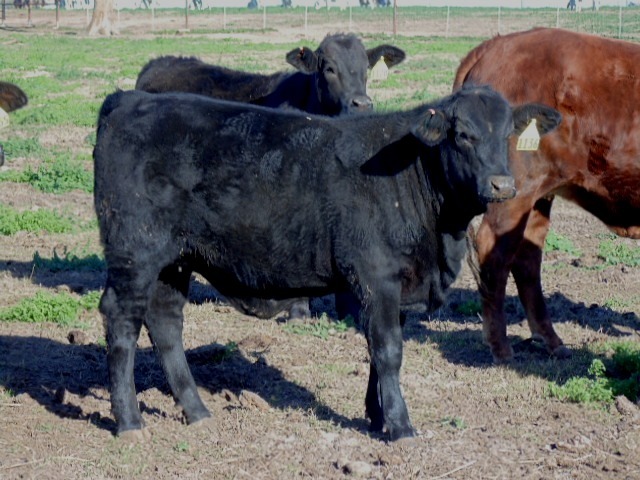 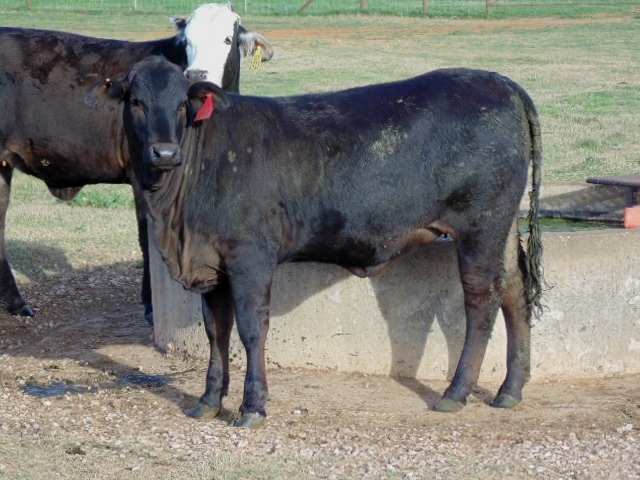 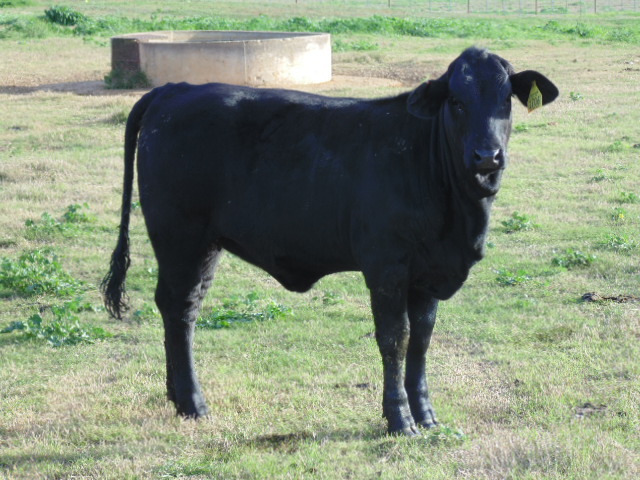 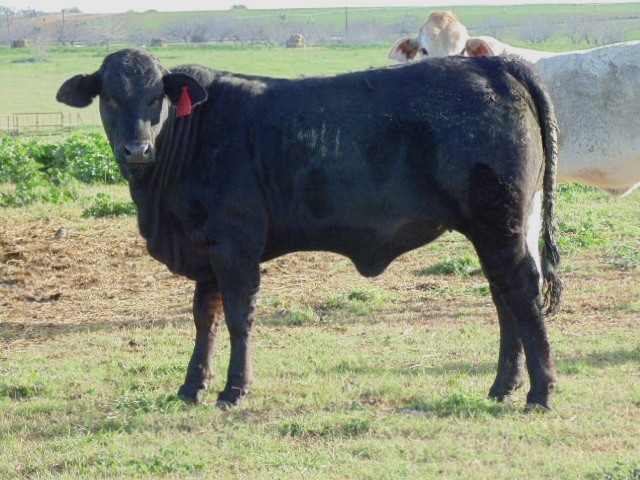 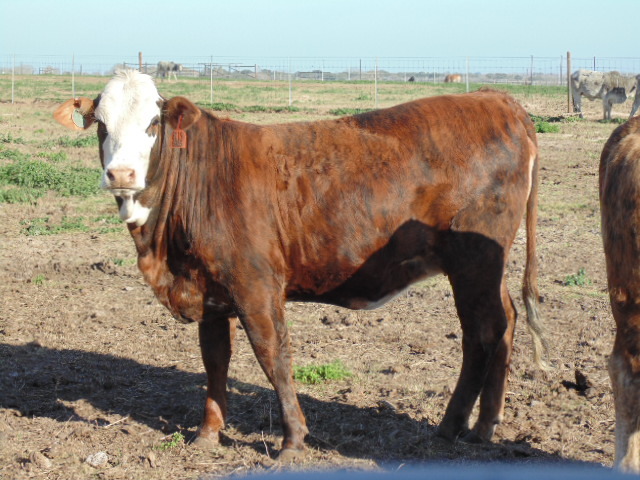 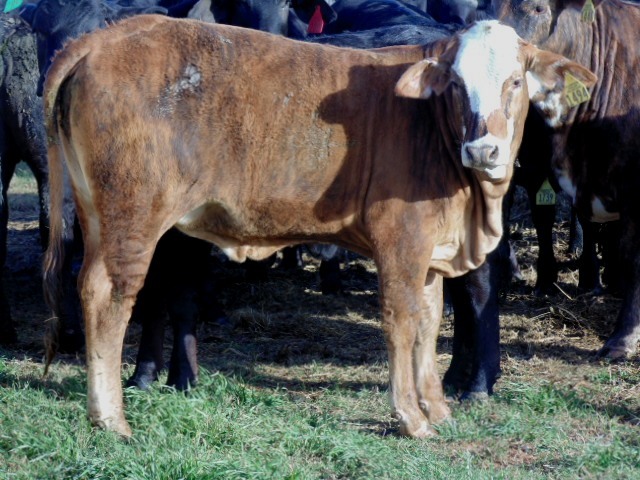 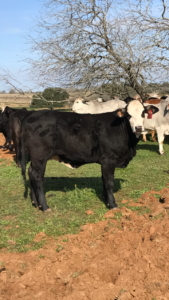 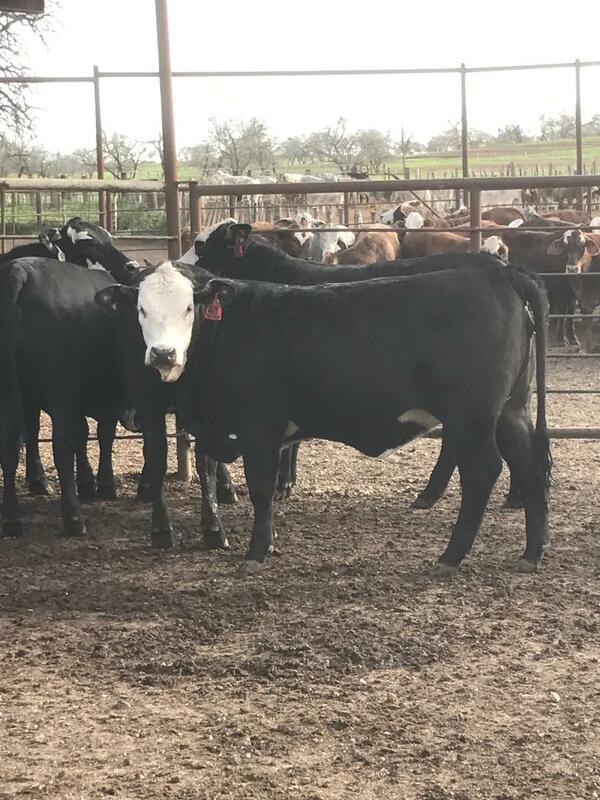 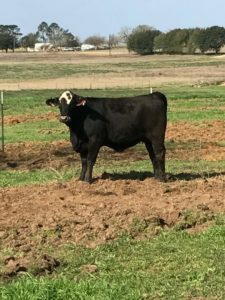 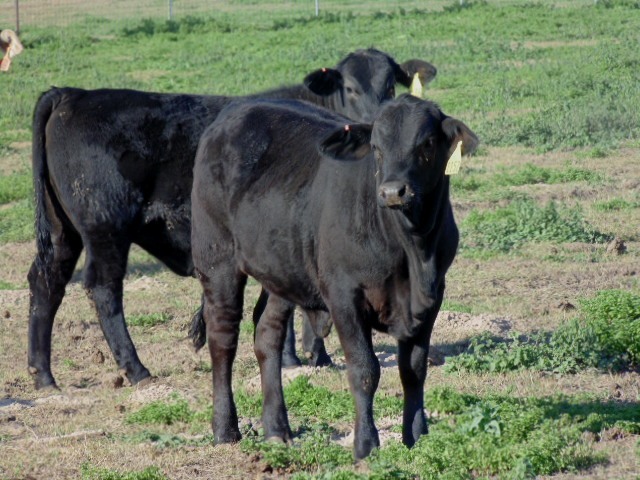 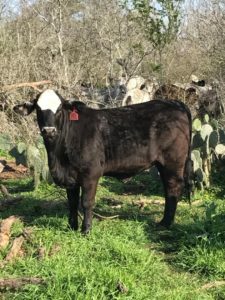 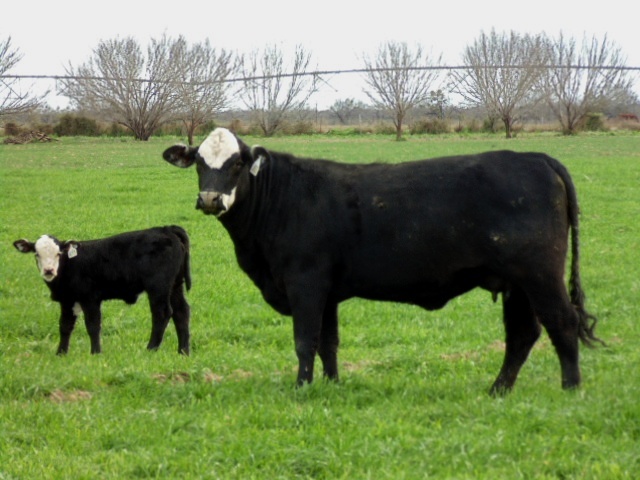 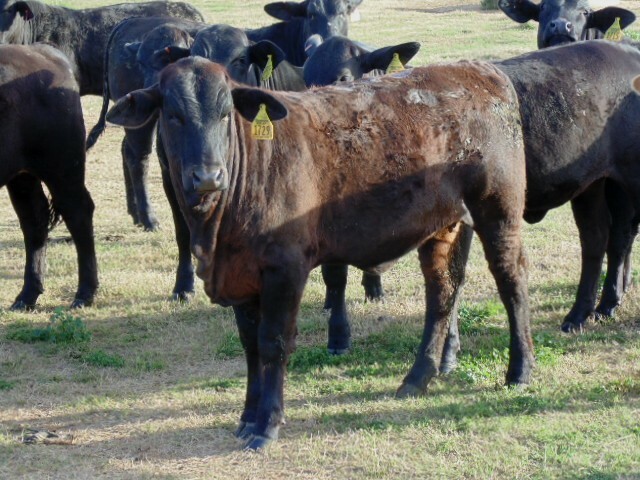 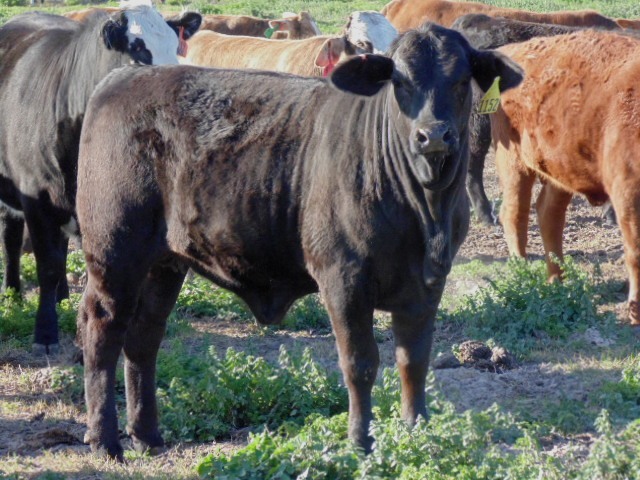 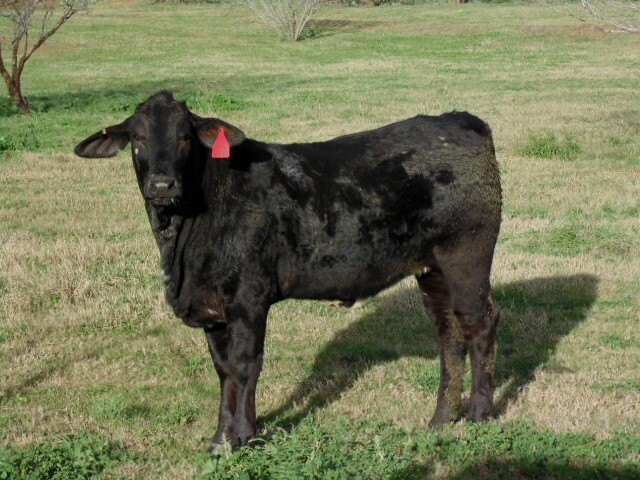 True F1 Brangus heifers, selling open and coming from a repeat consignor. 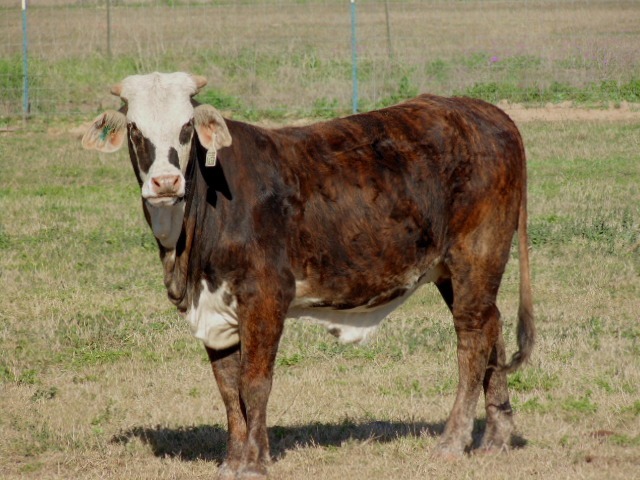 7 hd. 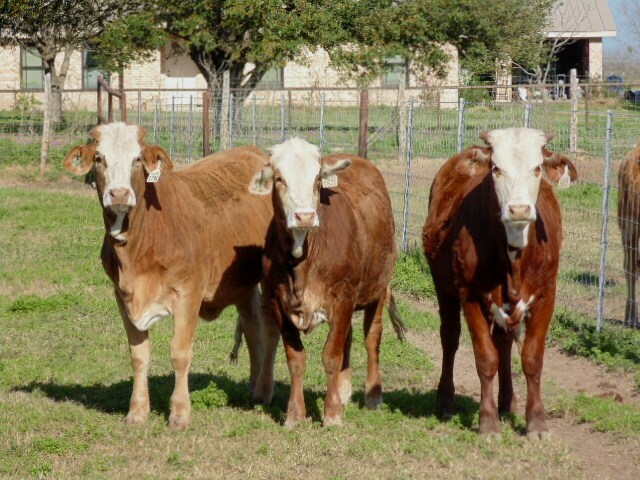 F1 Braunbray heifers, medium and long bred to Brangus or Hereford bulls. 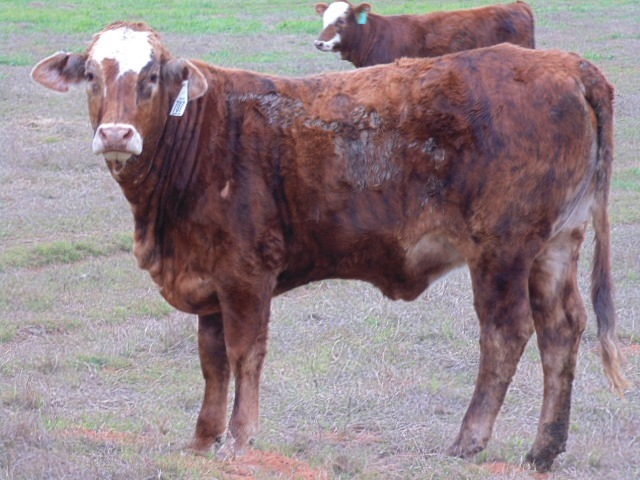 20 hd. 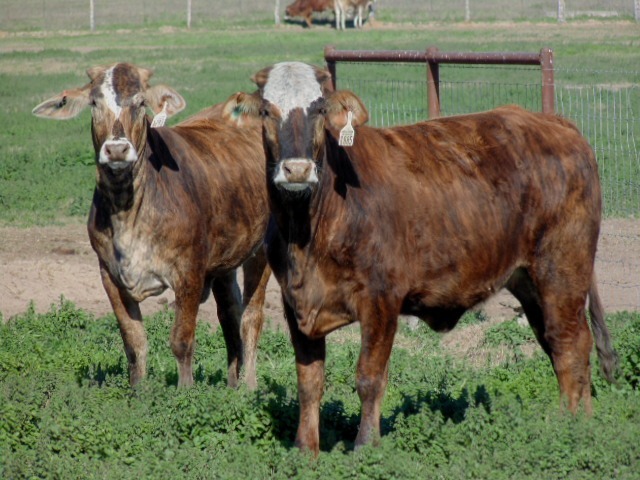 True F1 Tiger- Stripe heifers, weighing 700-850 lbs. 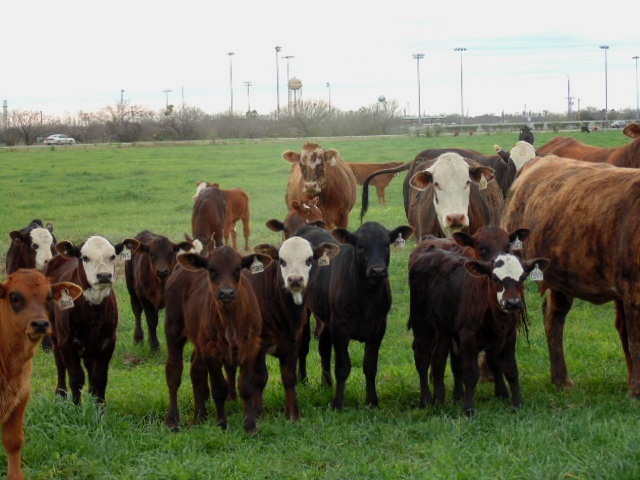 Will be divided into small uniform groups. 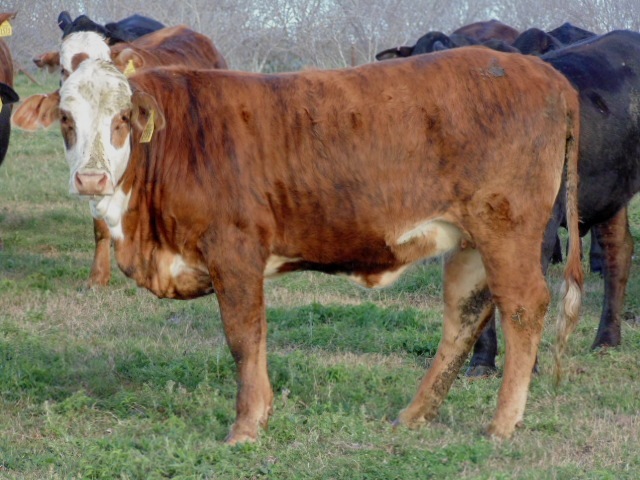 8 hd. 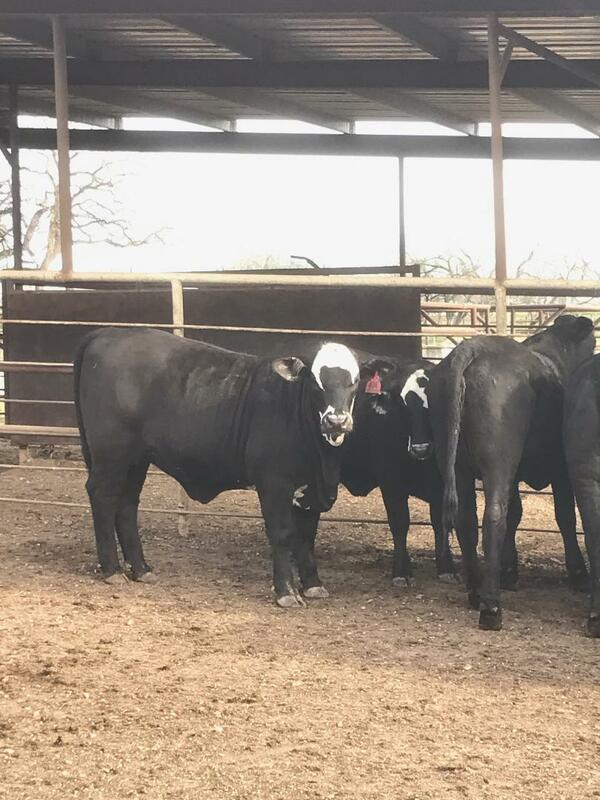 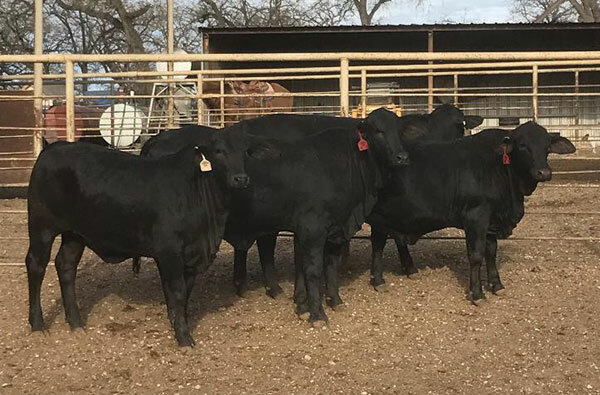 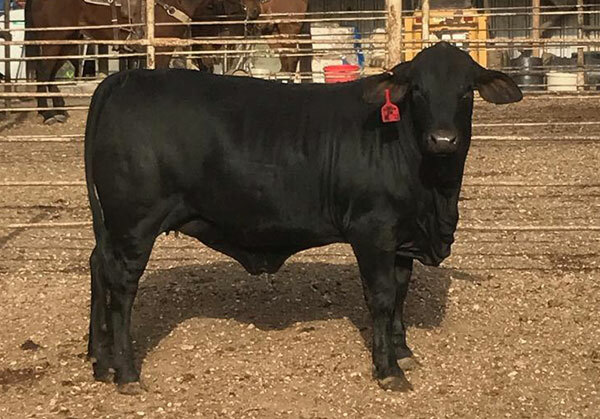 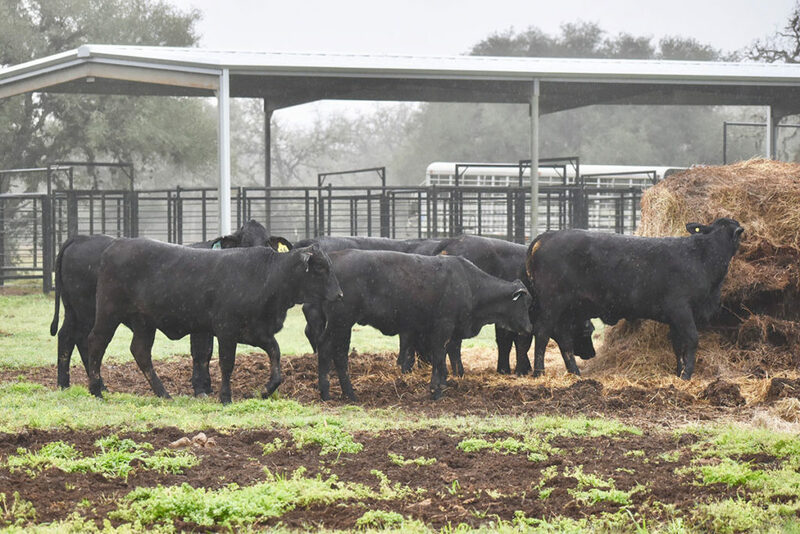 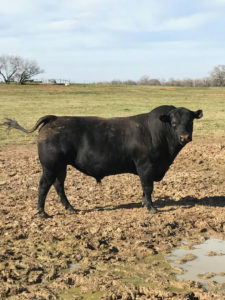 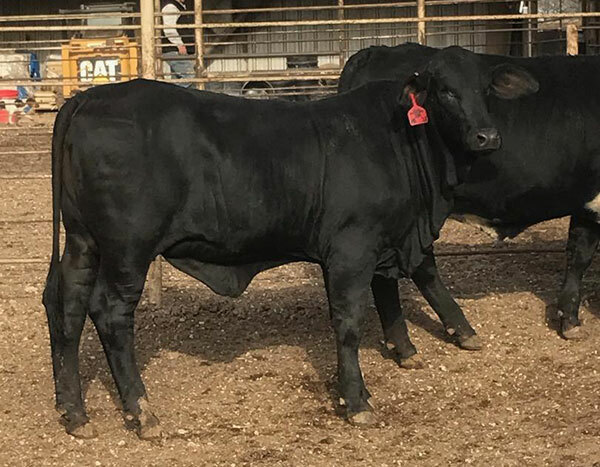 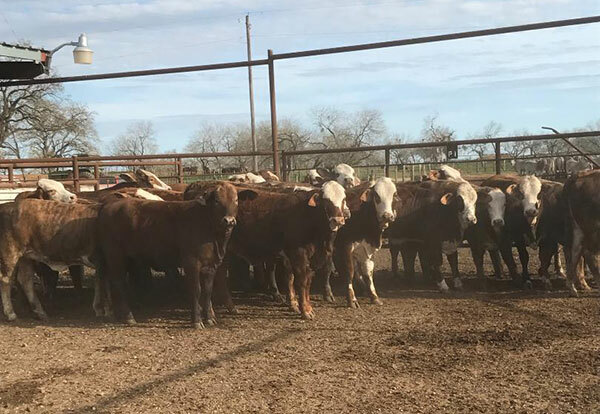 Open Brangus baldies, 650-750 lbs. 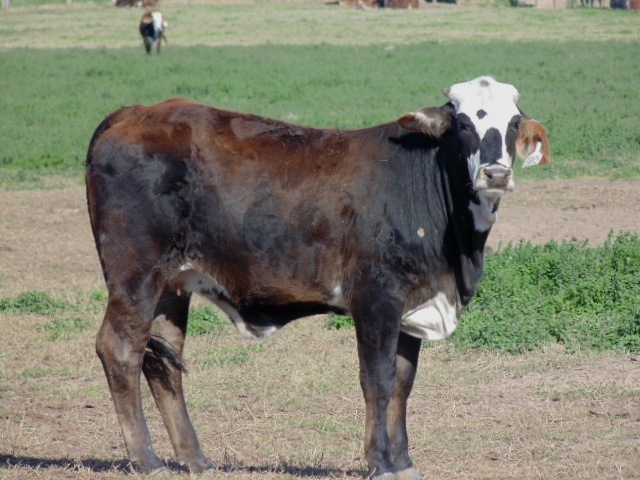 Fancy and showing lots of leather. 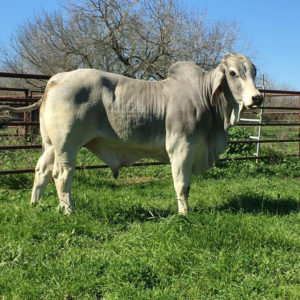 10 hd. 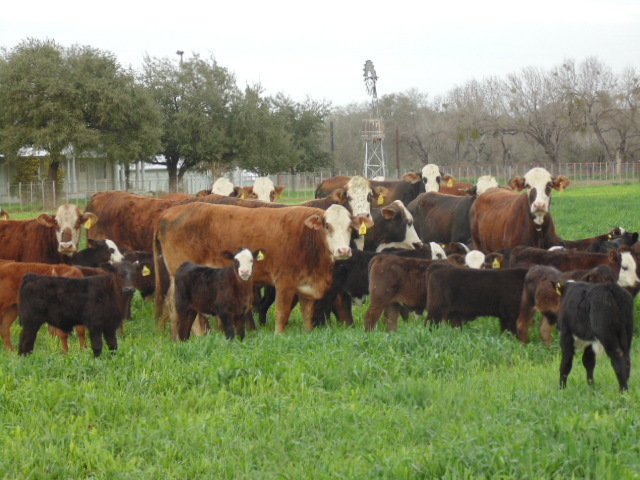 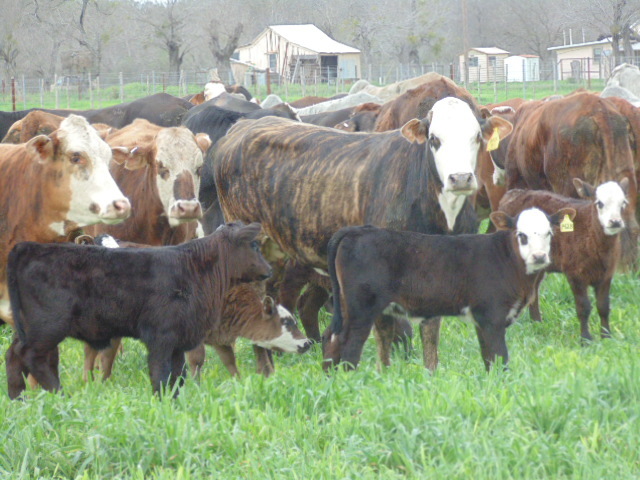 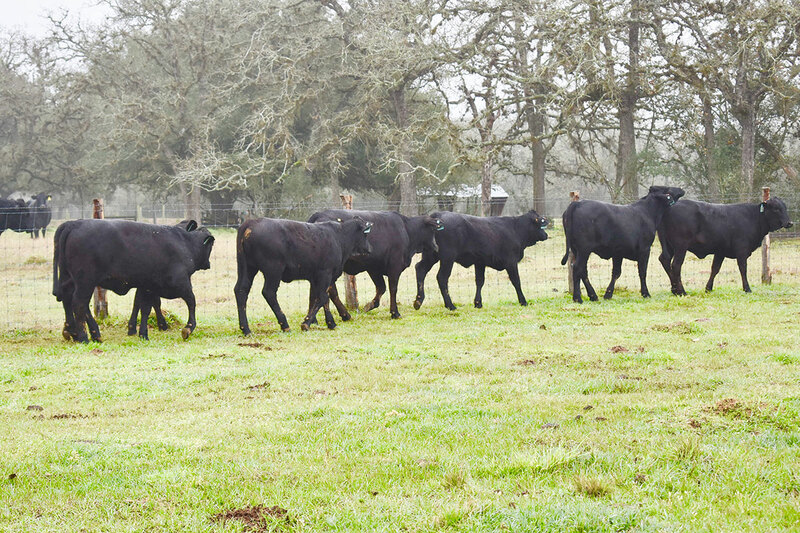 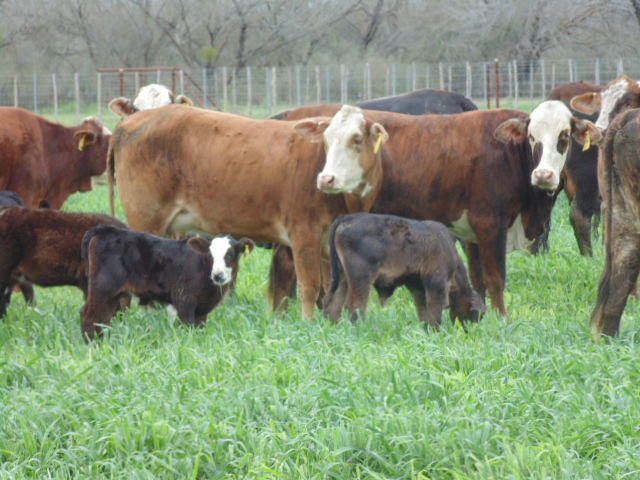 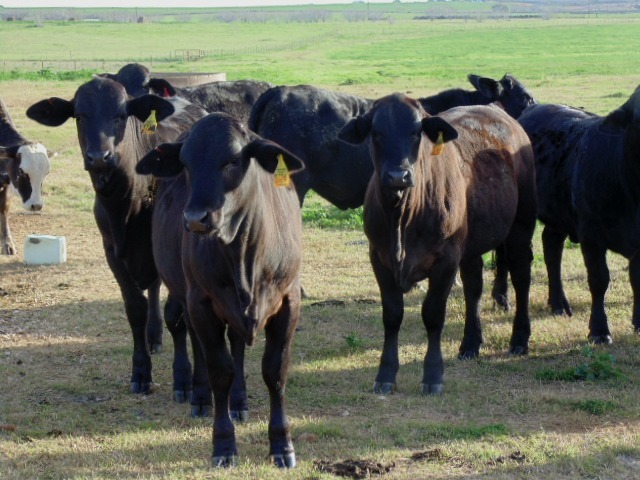 Open Brangus heifers. 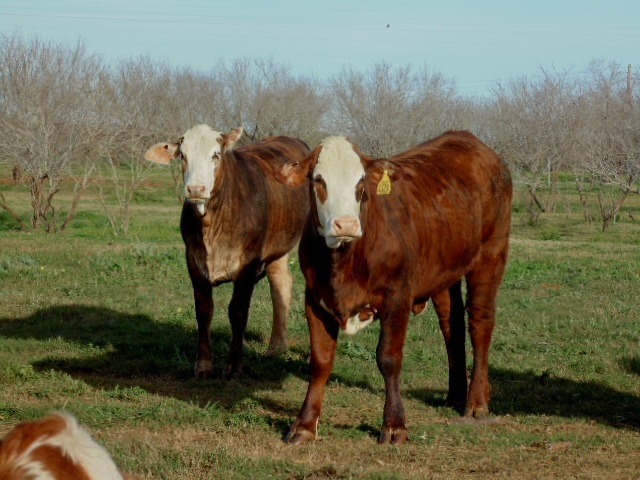 These heifers are coming from a repeat consignor, heifers weigh 650-750 lbs.